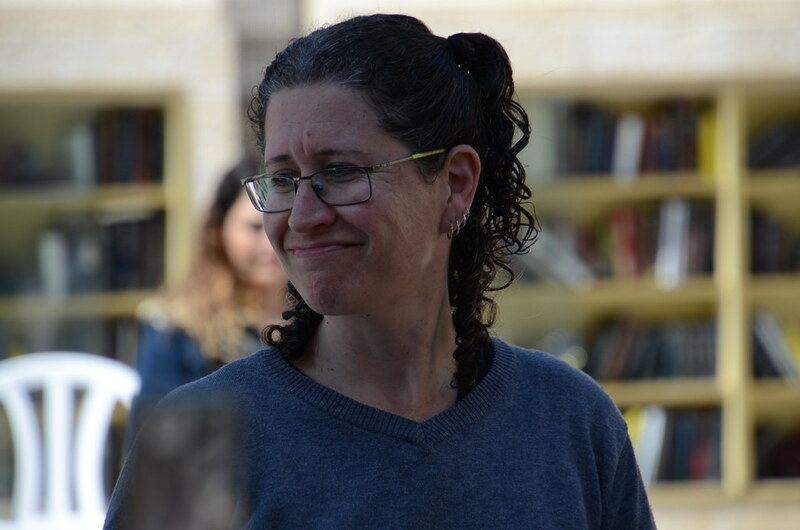 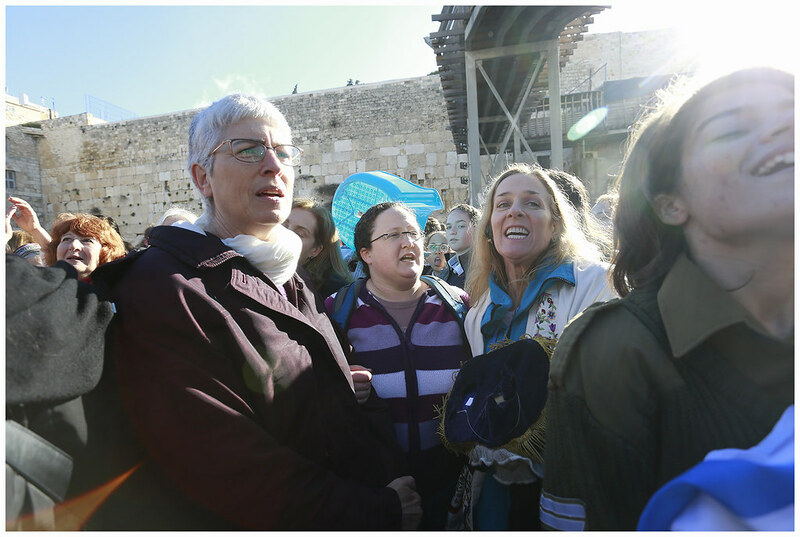 In approving this plan, the state acknowledges women’s full equality and autonomy at the Kotel and the imperative of freedom of choice in Judaism in Israel. 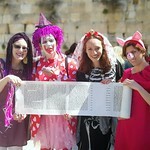 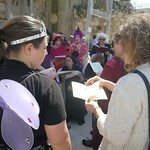 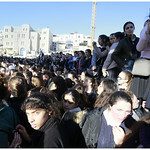 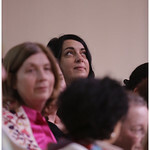 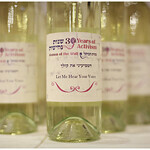 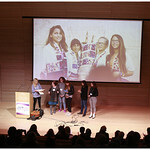 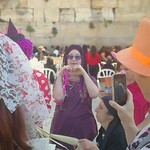 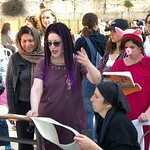 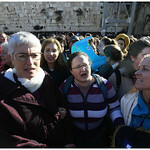 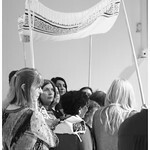 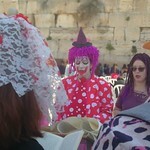 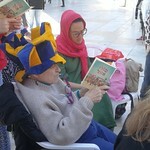 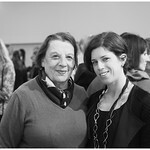 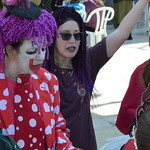 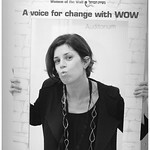 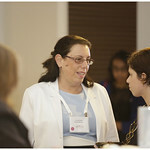 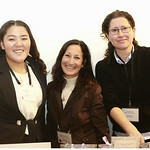 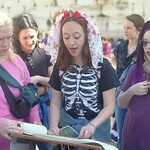 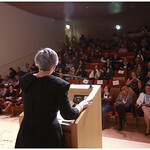 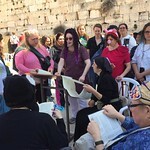 Women of the Wall endorse a future plan for the creation of a new section of the Western Wall. 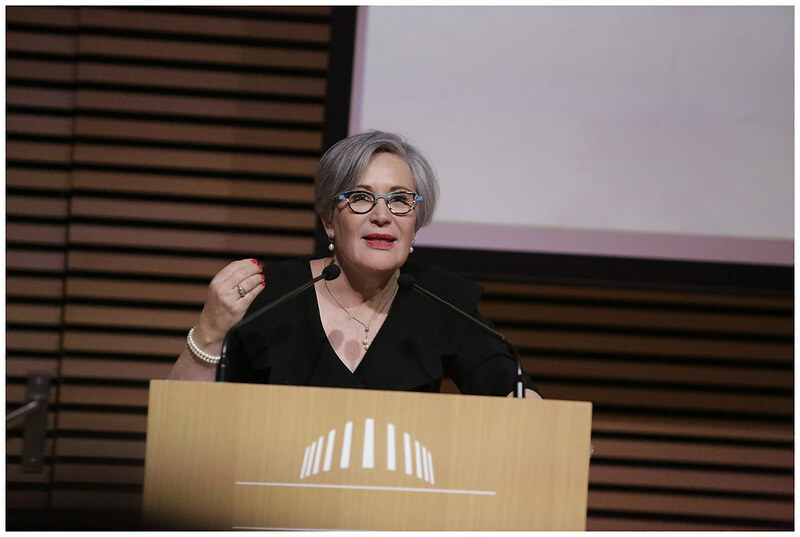 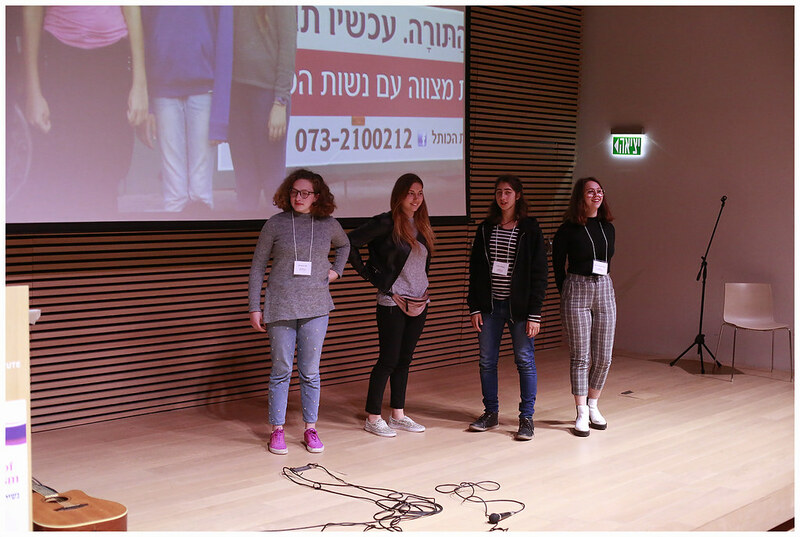 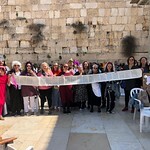 The women’s prayer group is being credited as the catalyst and force behind the historical agreement backed by Prime Minister Netanyahu. 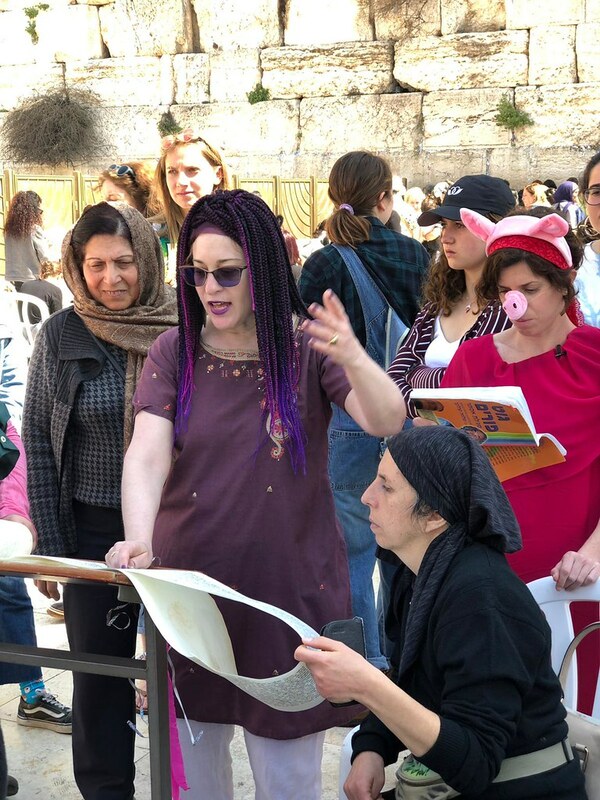 The approval of the Mendelblit Plan is the first step to women’s full equality and empowerment at the Western Wall, the holiest site for Jews and a public space in Israel. 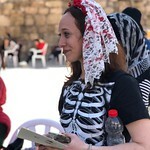 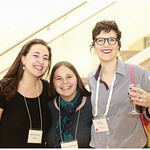 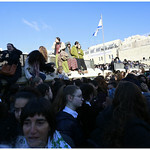 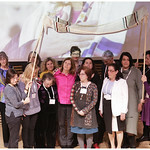 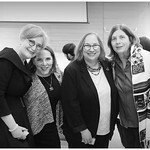 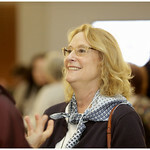 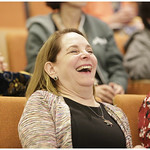 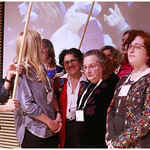 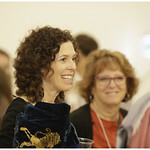 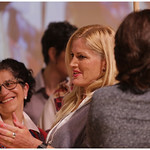 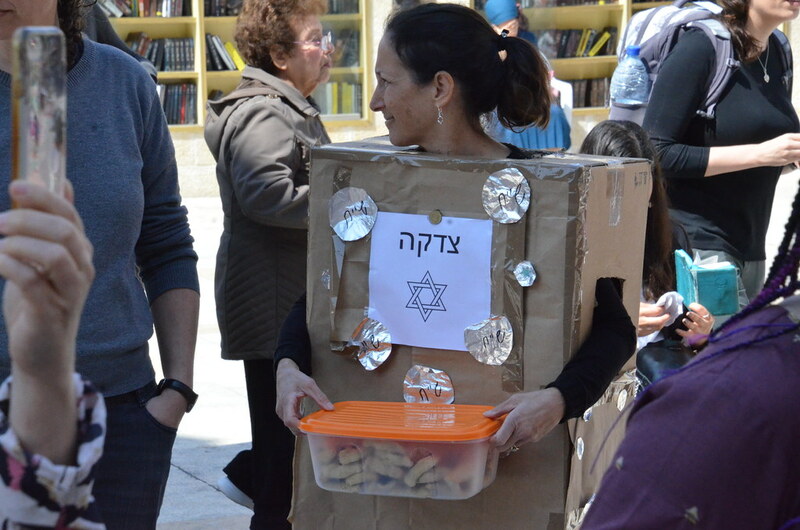 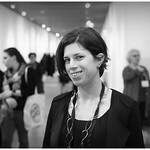 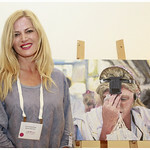 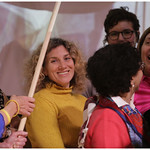 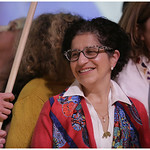 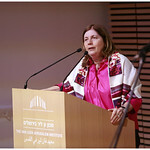 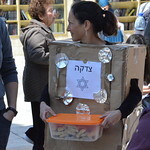 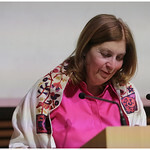 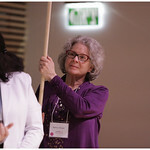 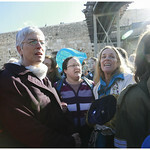 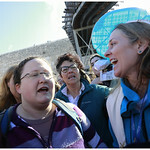 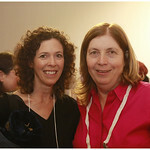 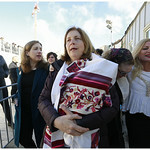 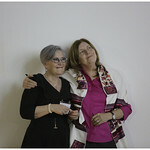 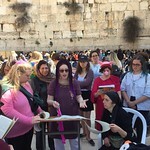 For Women of the Wall, representing religious women from across the Jewish denominational spectrum, the creation of a third section of the Kotel sets a strong precedent in women’s status in Israel: women as administrators of a holy site, women as leaders, women as influential force not to be ignored or silenced. 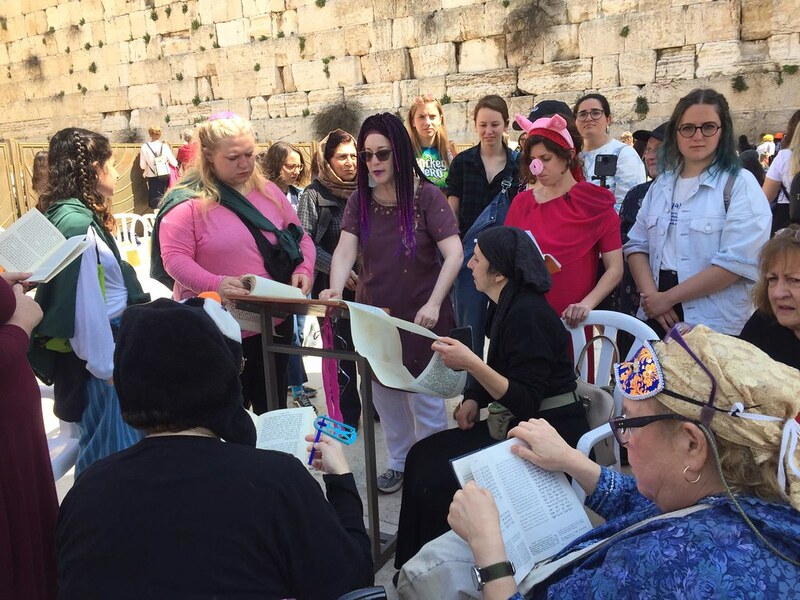 If and when the Mendelblit plan is fully implemented and the third section has been constructed as a prayer space in accordance with this agreement, Women of the Wall will relocate monthly Rosh Hodesh prayers to the new space. 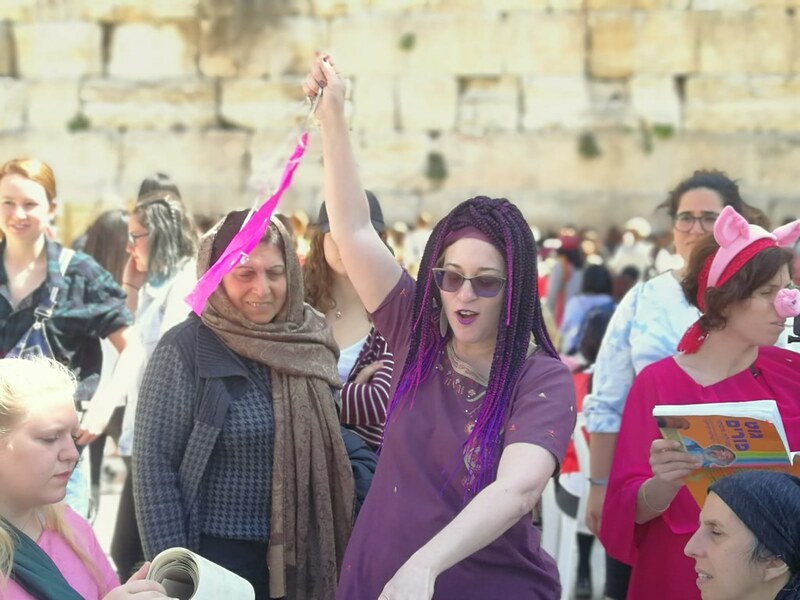 If and when this transition is complete, the new section will make way for great change: women will pray at the Kotel as equals, as active participants and leaders in rituals, ceremonies and of course in reading from the Torah. 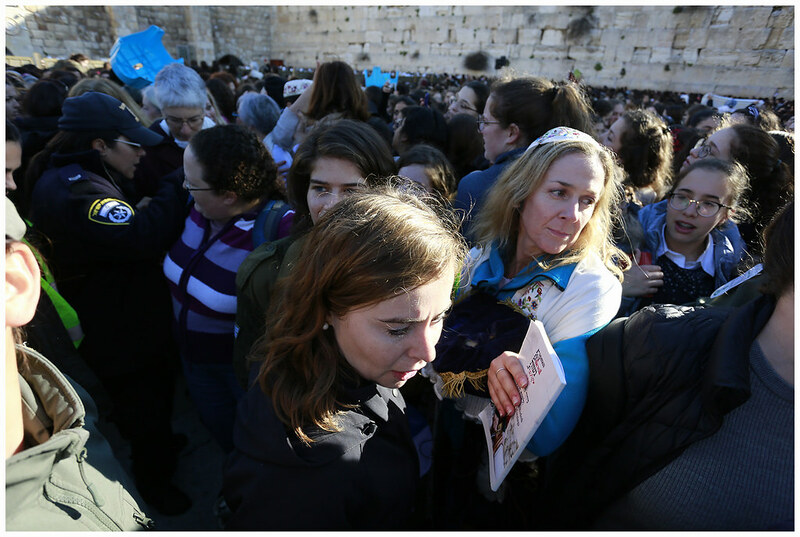 When one enters the Kotel’s upper plaza, from any entrance, the southern end of the Western Wall will be visible. 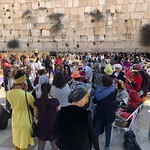 The new section at the southern end of the Kotel will be a large, open prayer space, similar in design aesthetic to the northern Kotel prayer spaces. 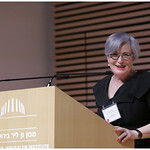 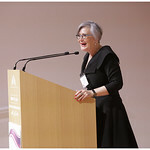 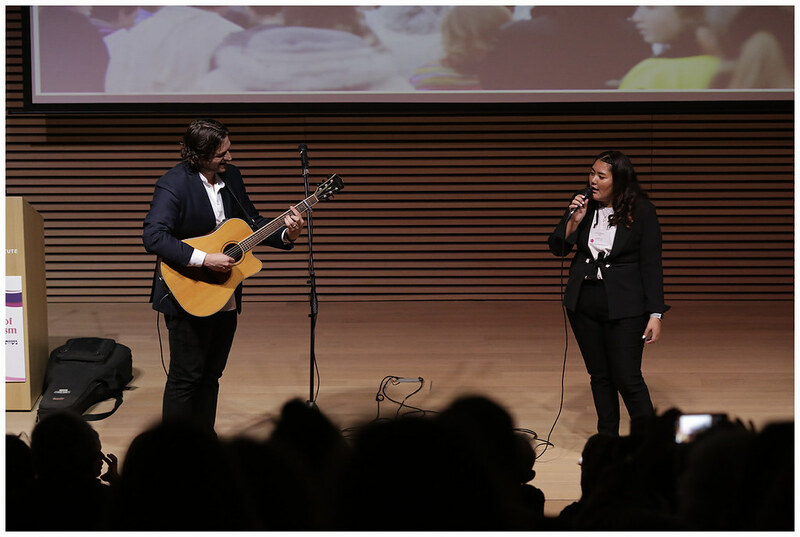 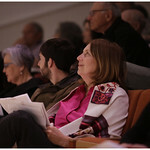 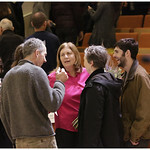 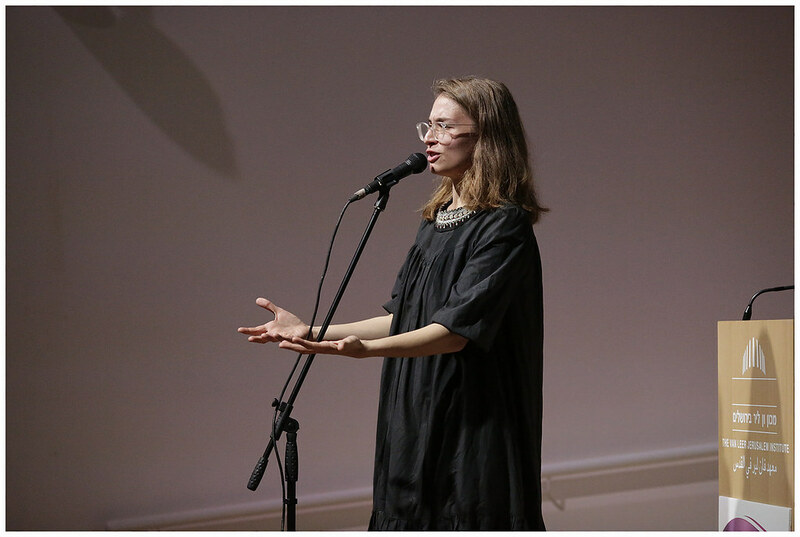 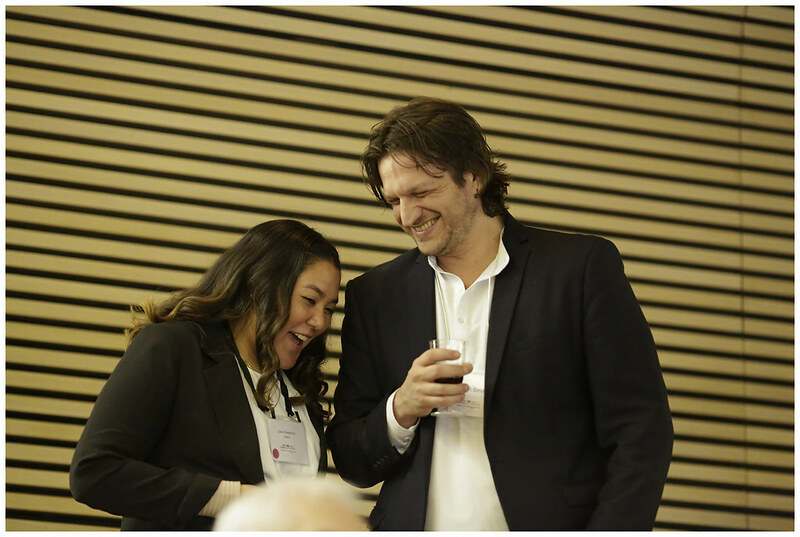 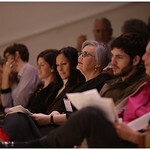 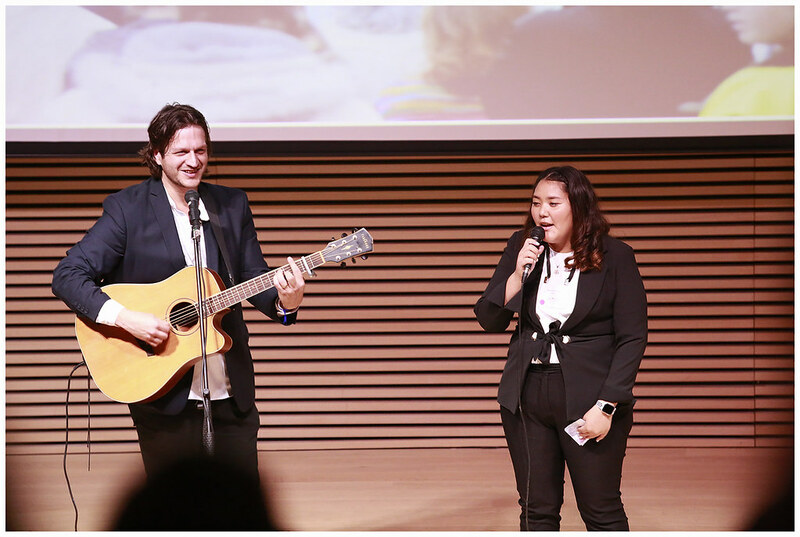 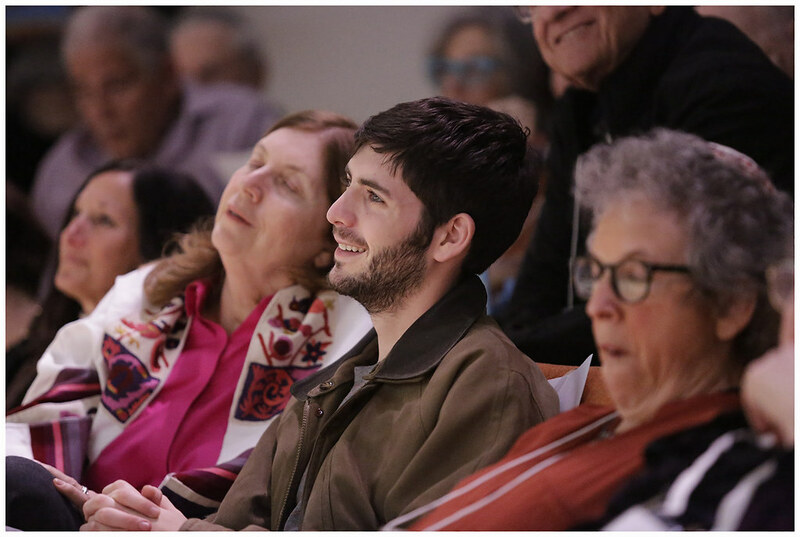 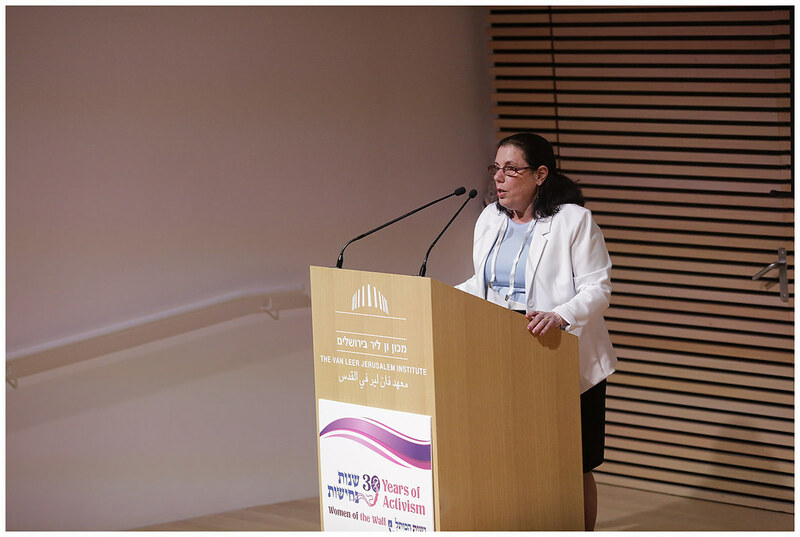 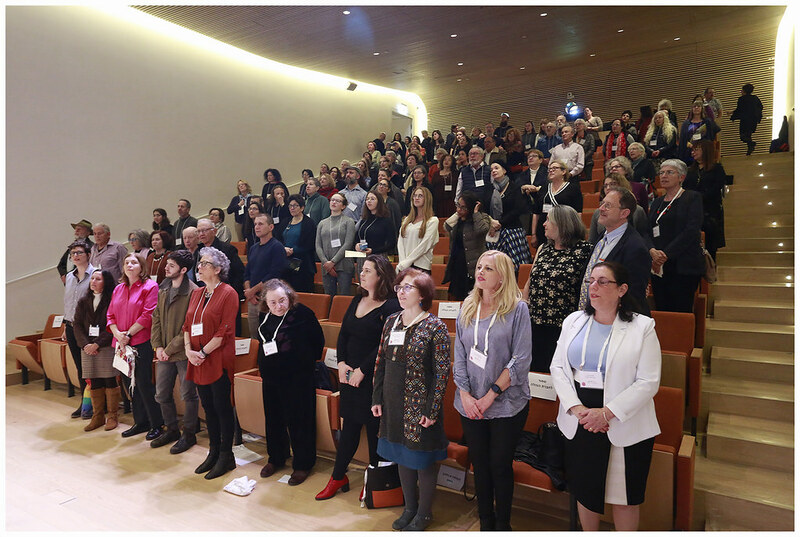 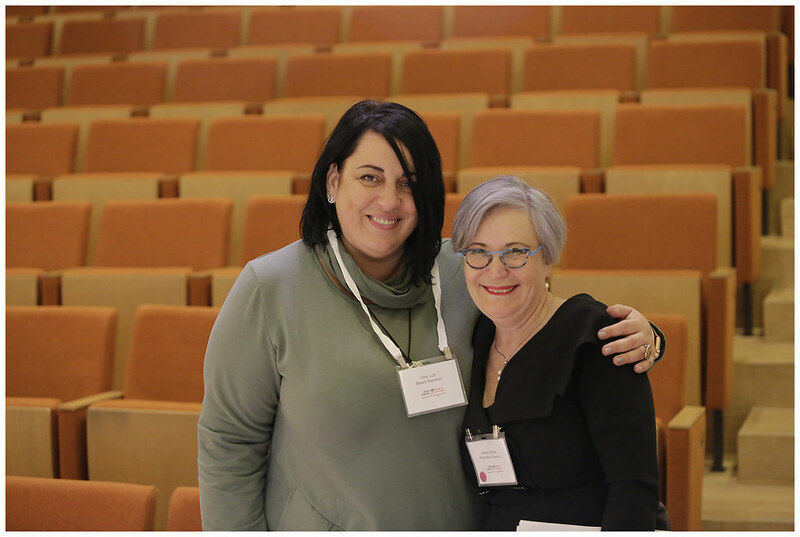 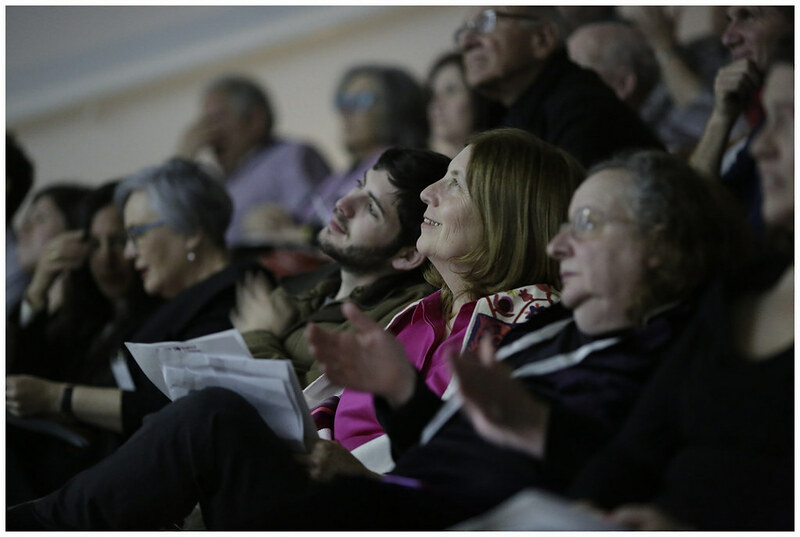 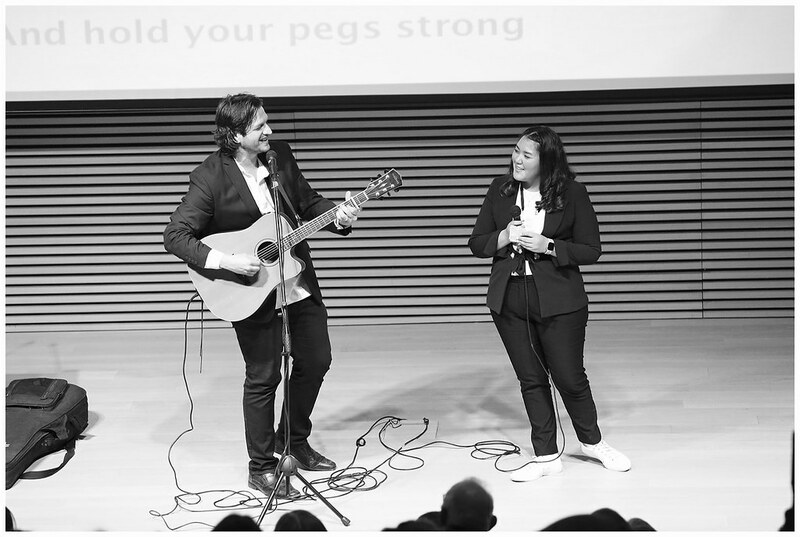 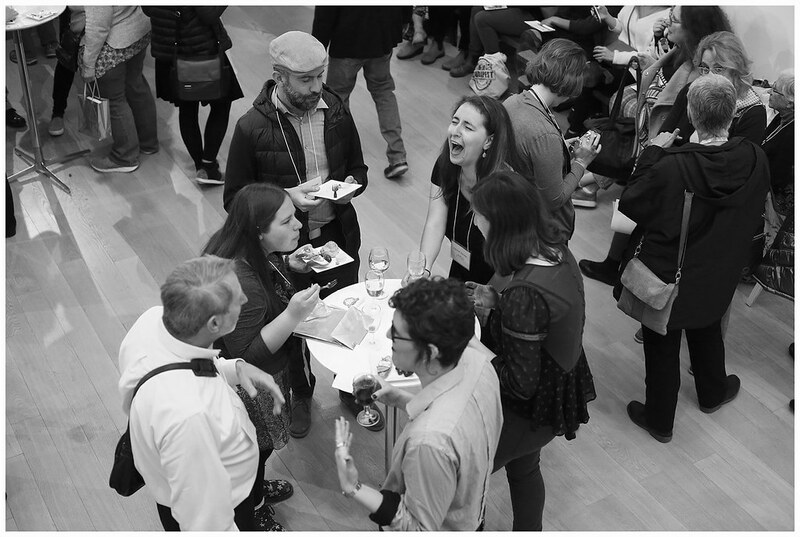 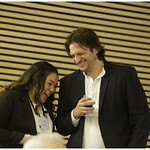 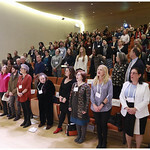 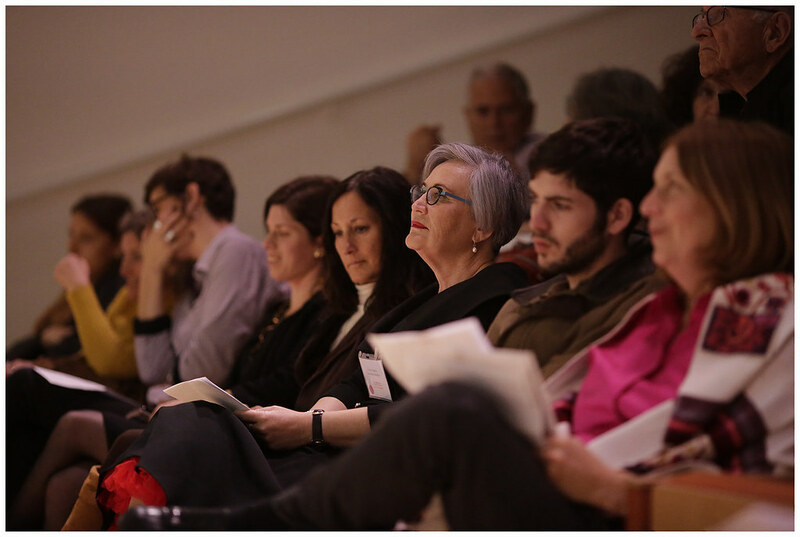 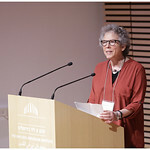 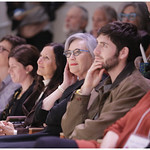 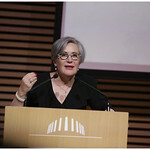 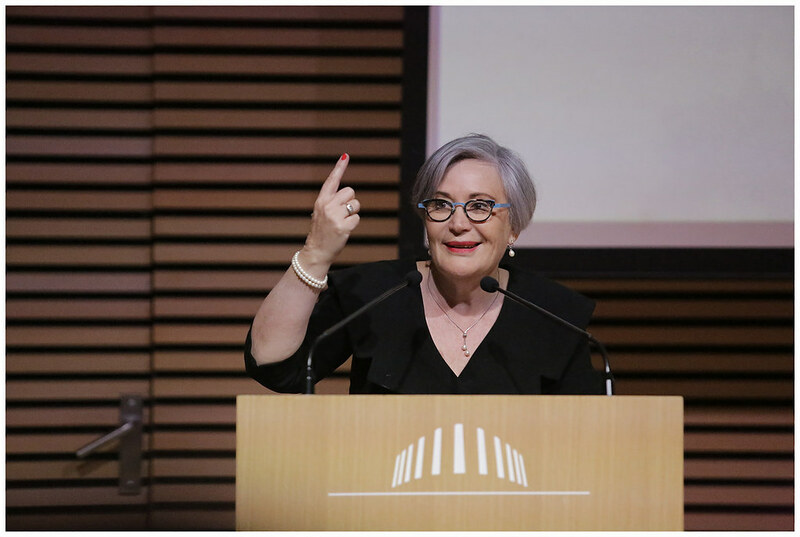 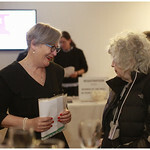 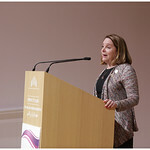 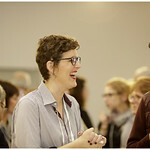 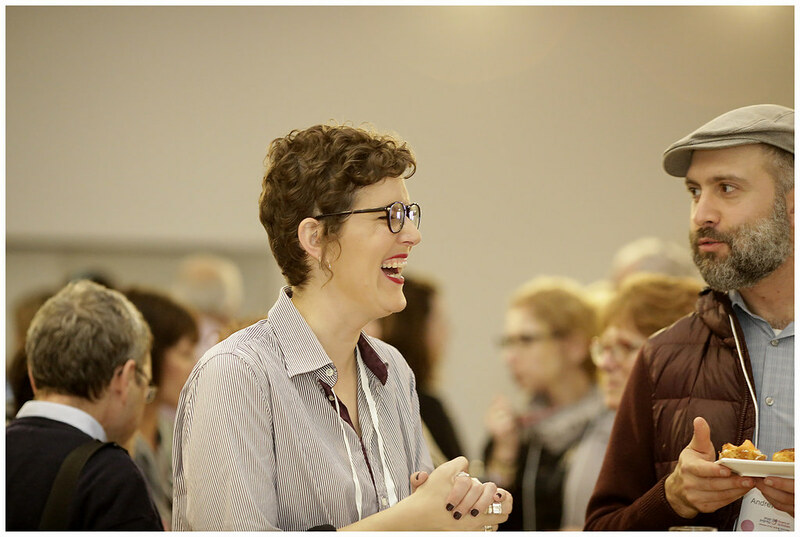 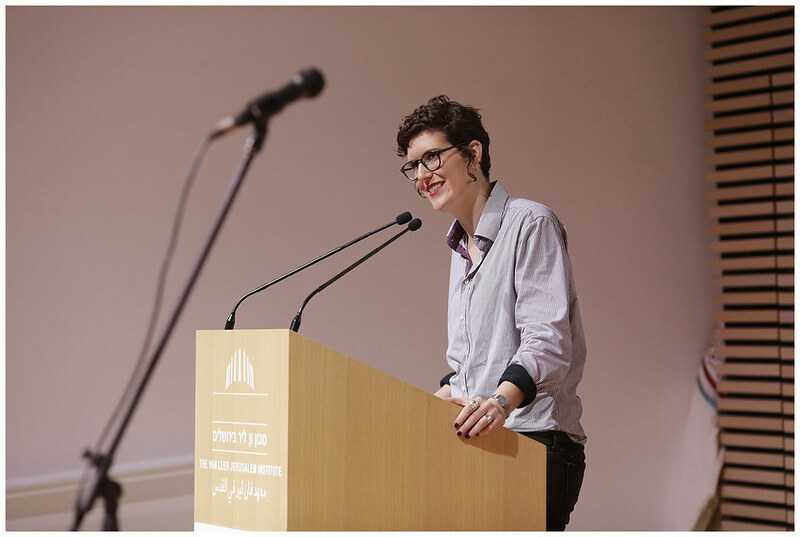 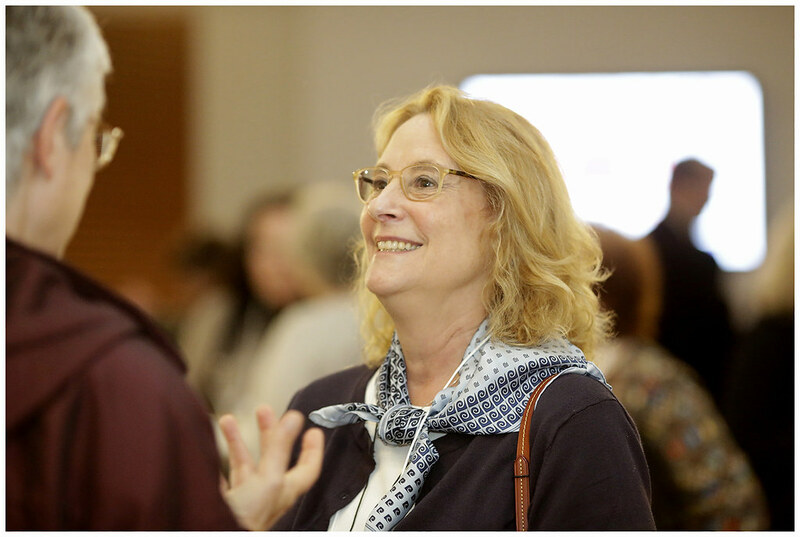 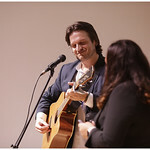 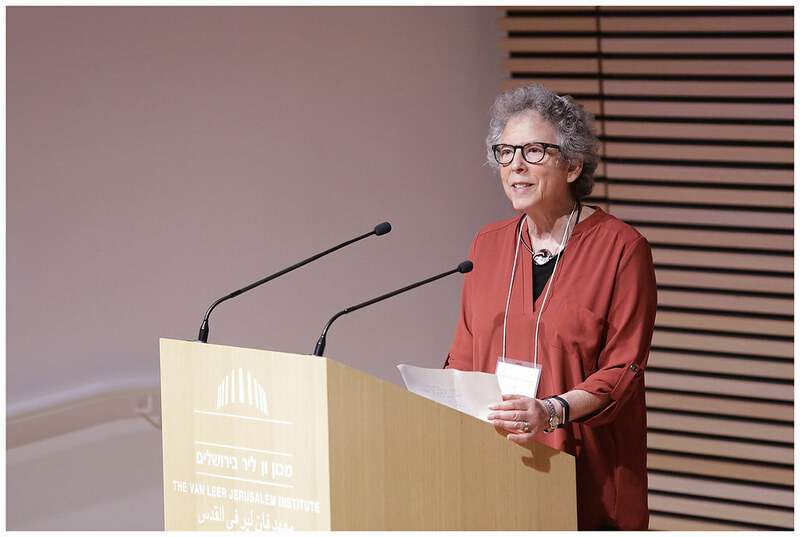 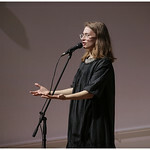 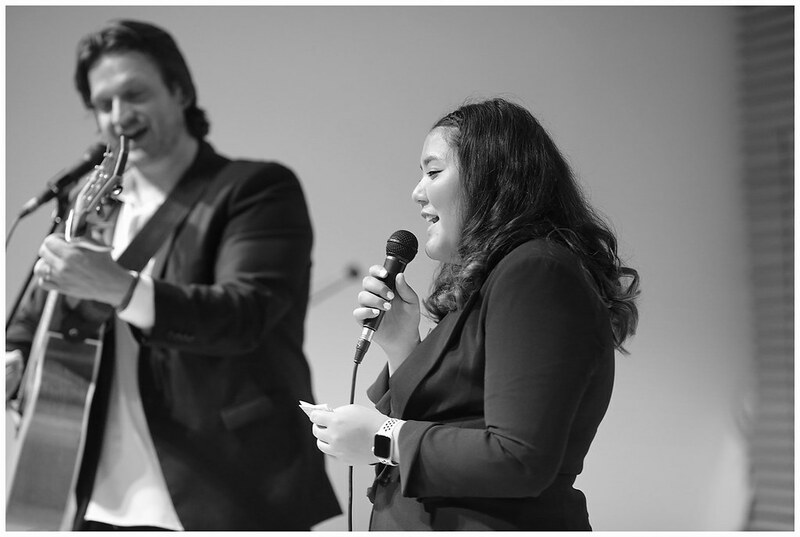 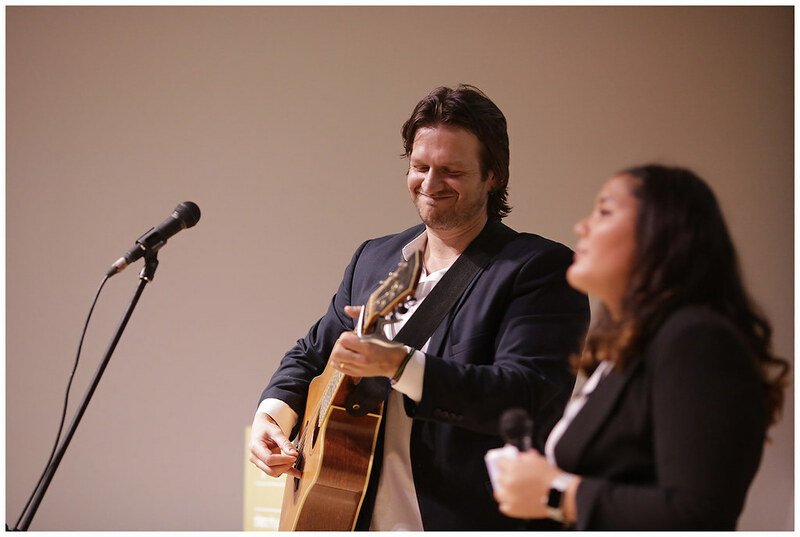 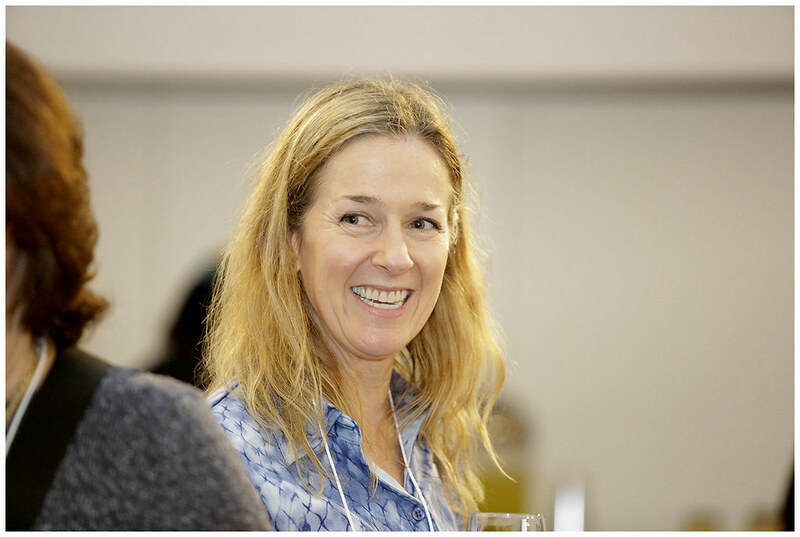 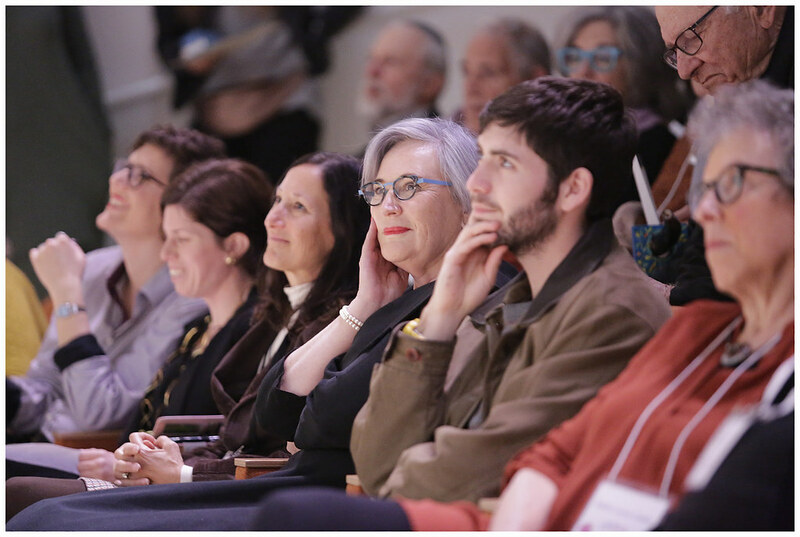 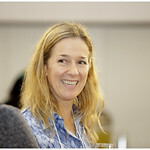 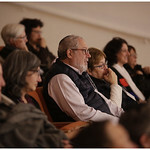 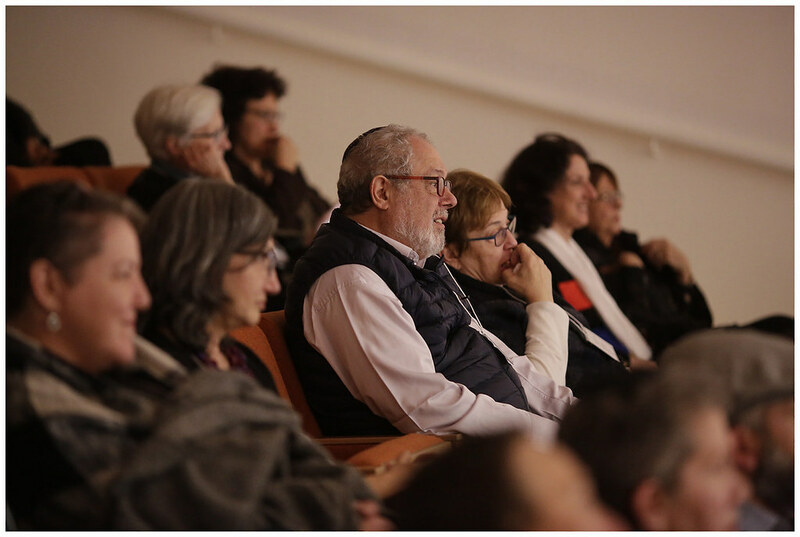 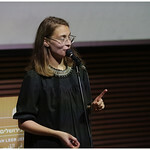 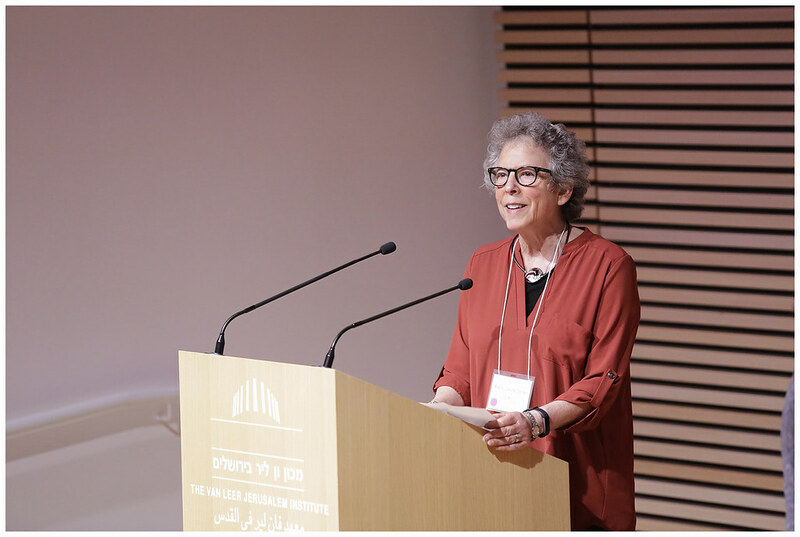 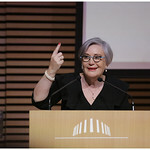 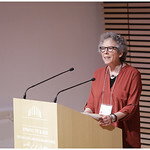 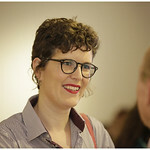 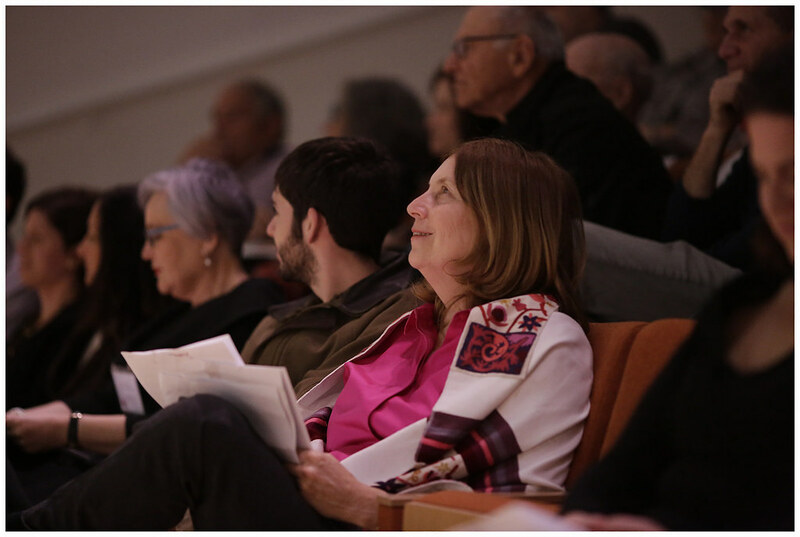 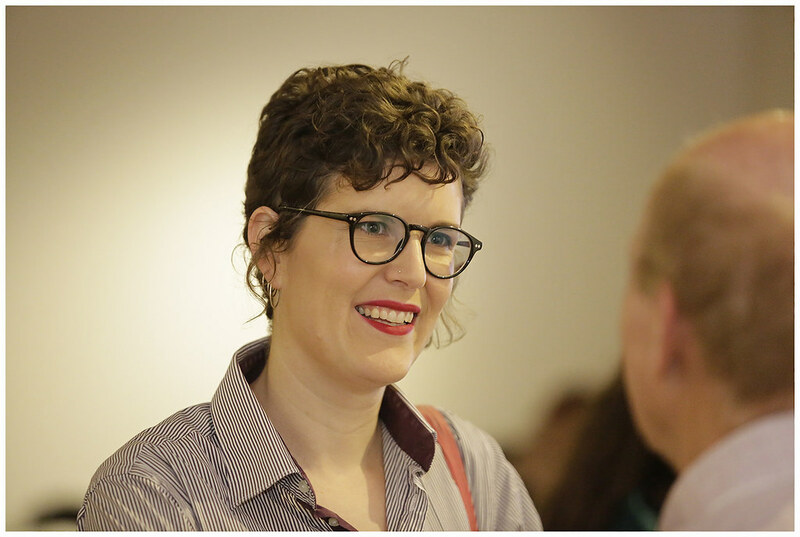 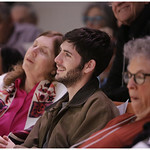 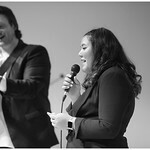 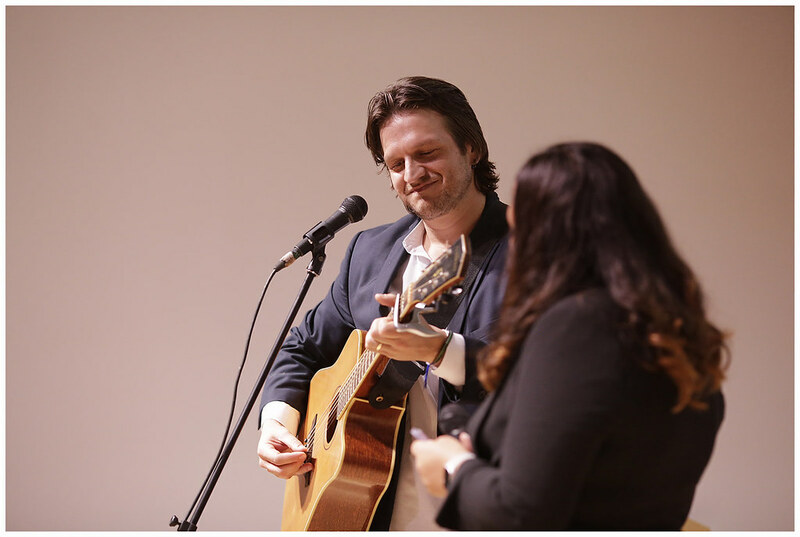 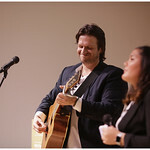 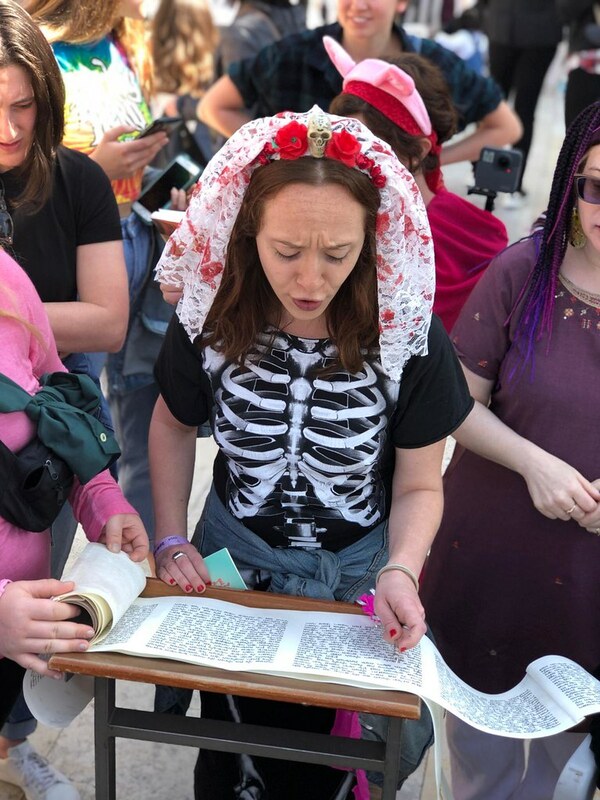 The pluralist section will provide matching religious services but with ideological diversity with Torah scrolls, a myriad of choices of prayer books and a strict policy of inclusion, tolerance and acceptance of all who worship there. 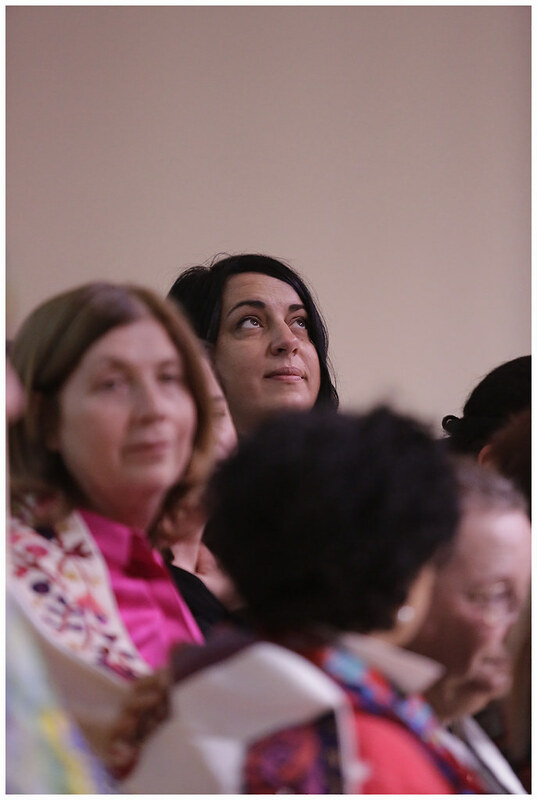 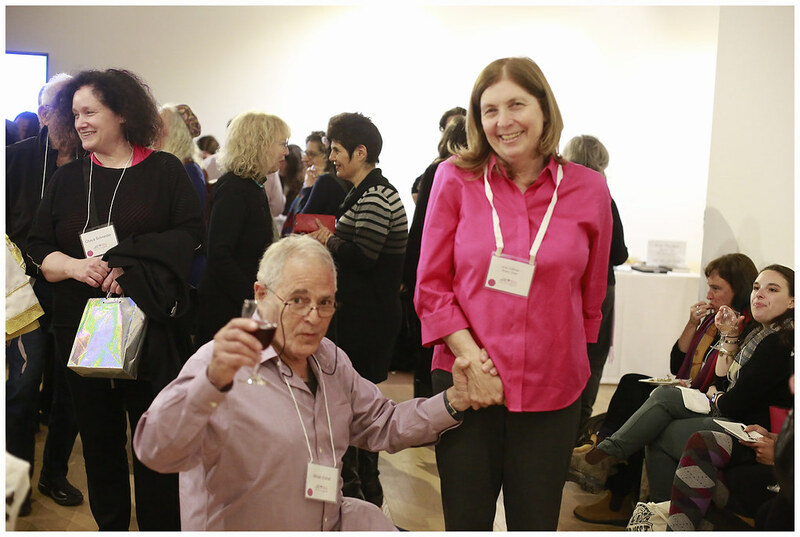 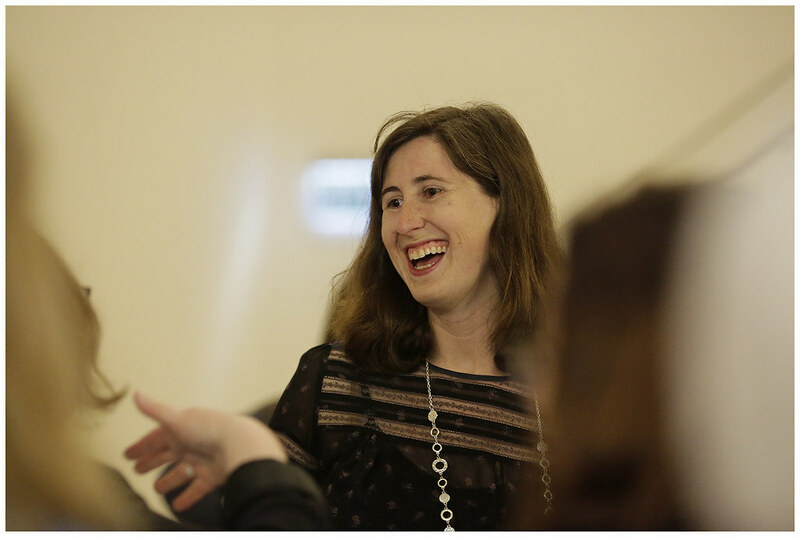 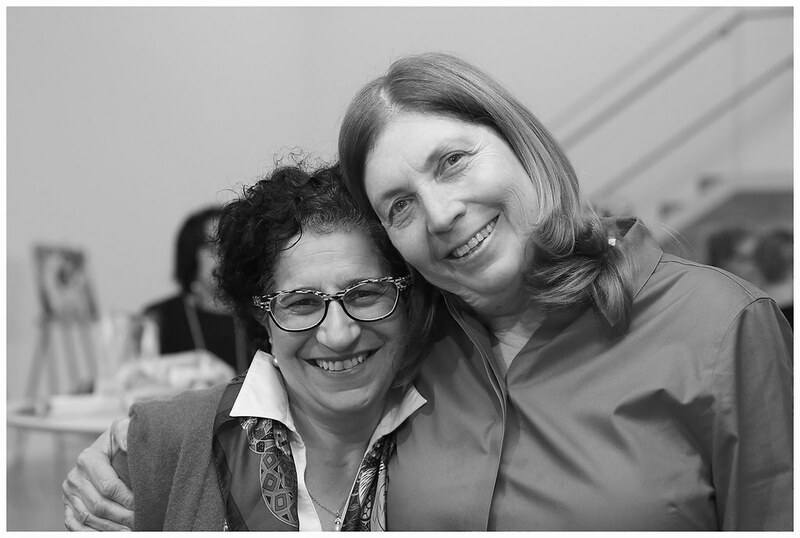 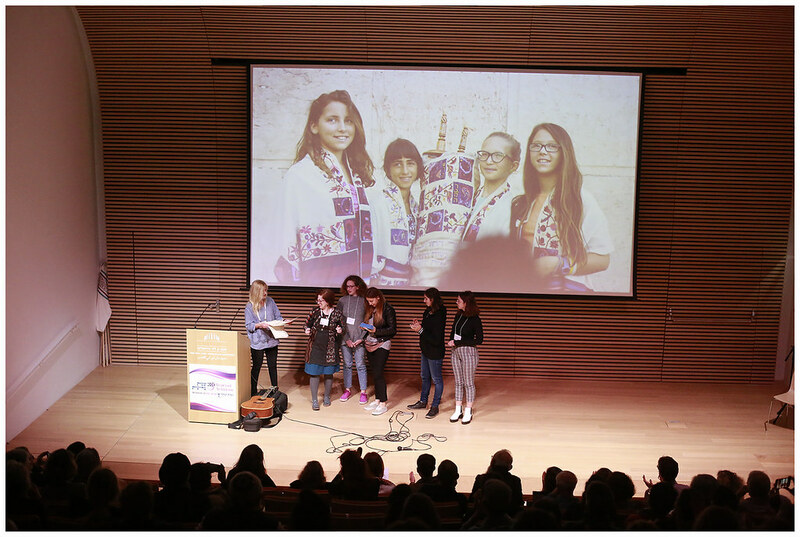 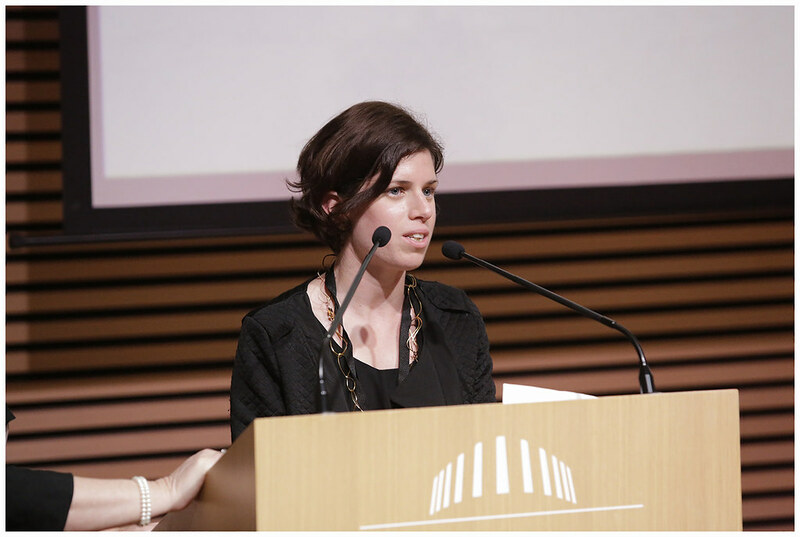 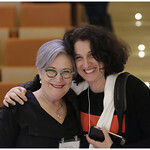 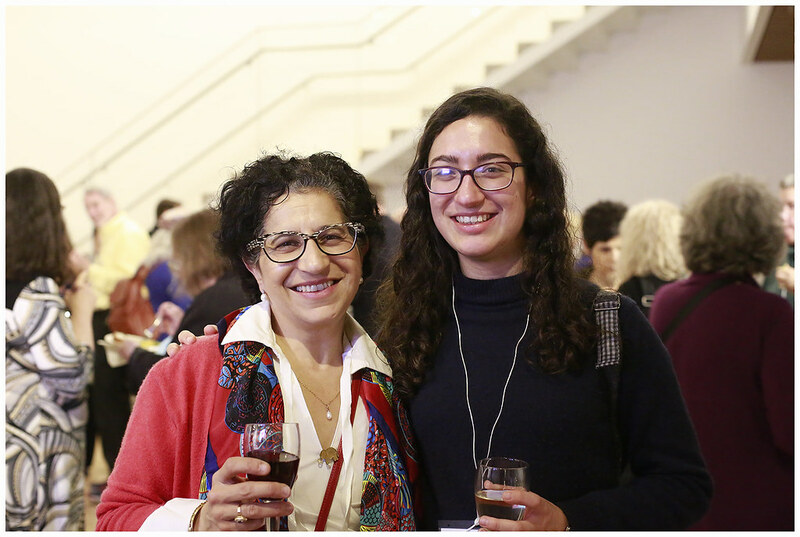 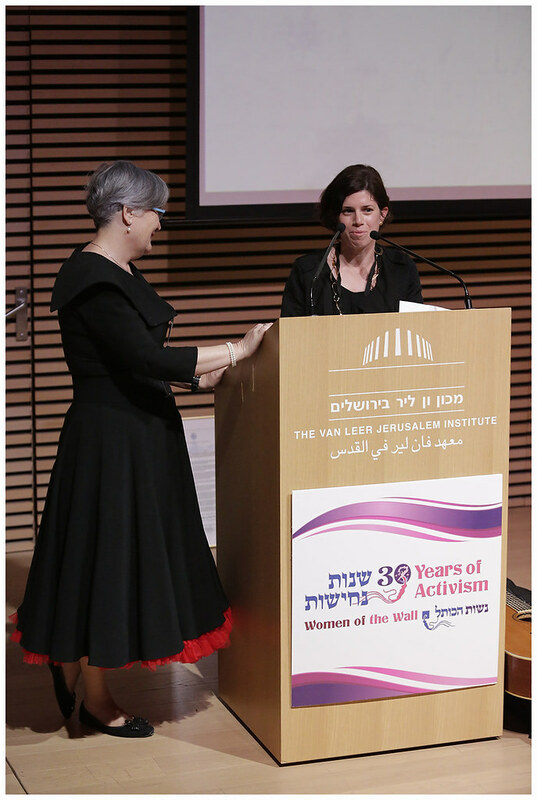 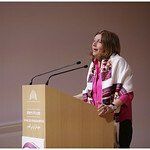 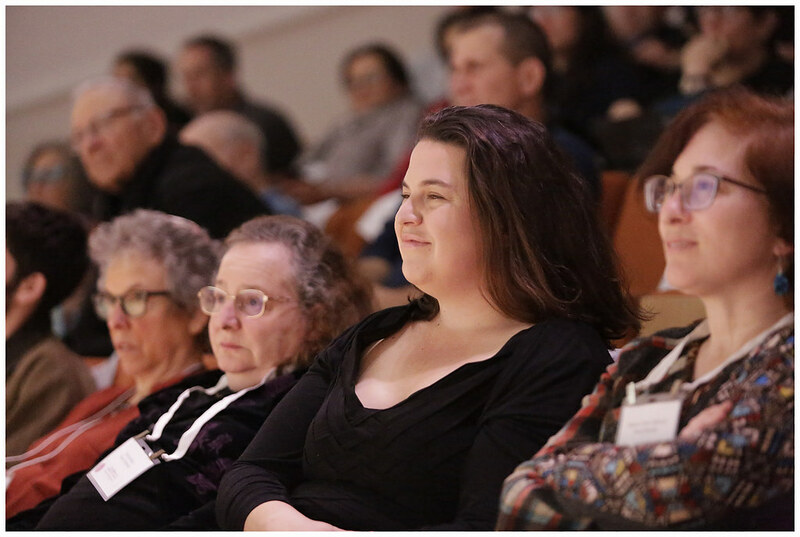 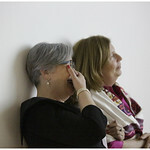 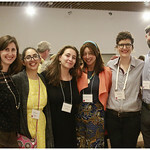 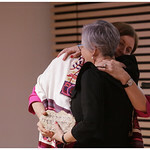 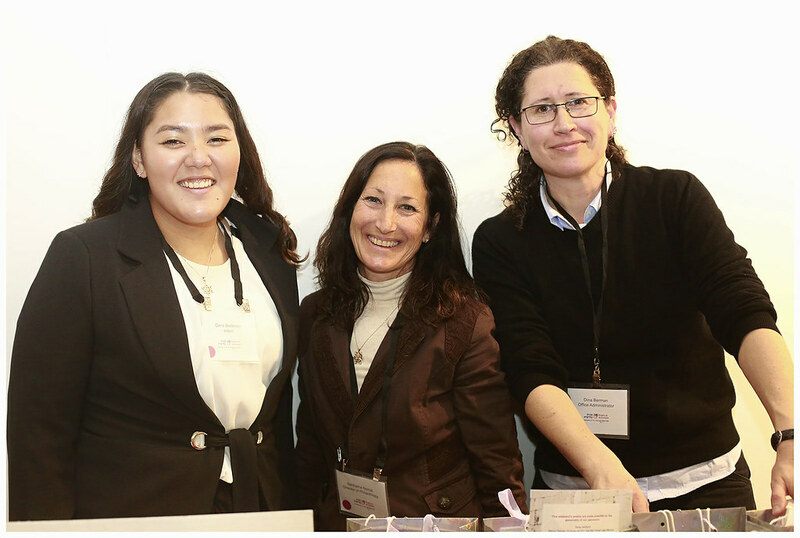 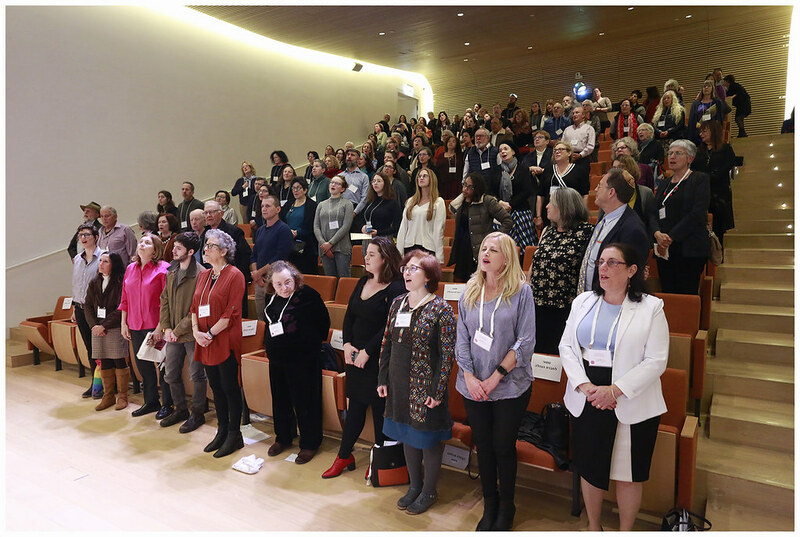 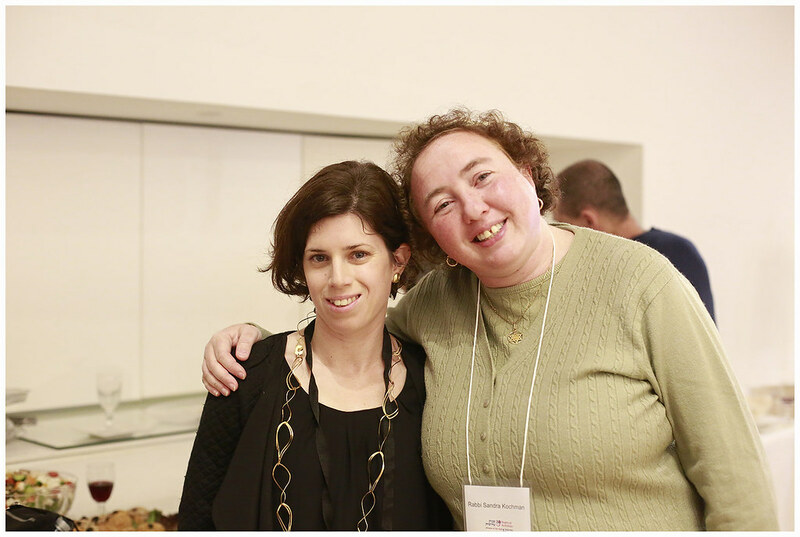 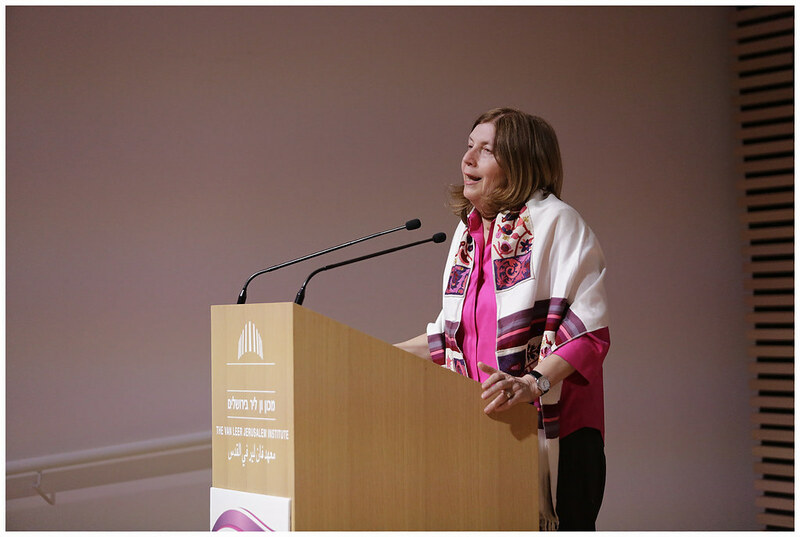 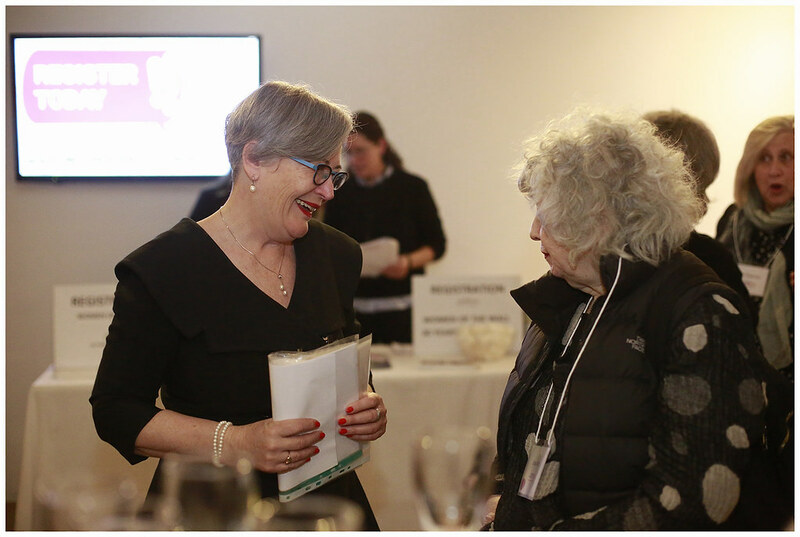 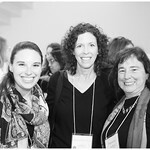 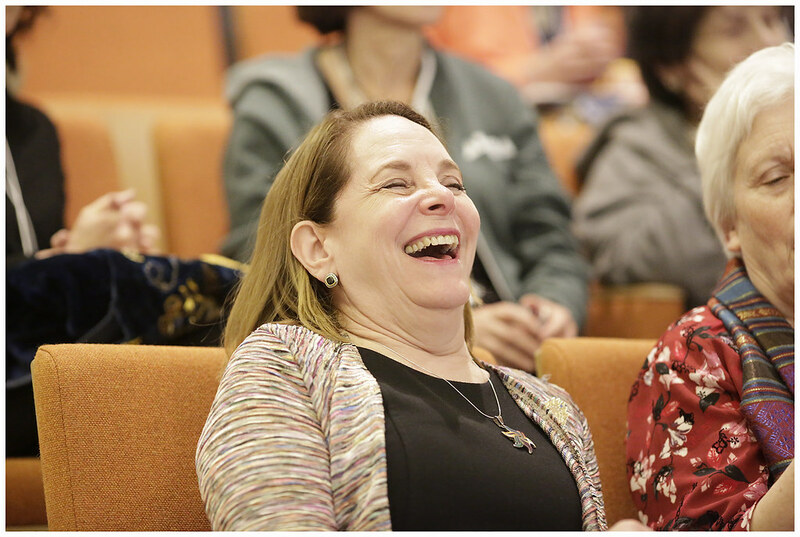 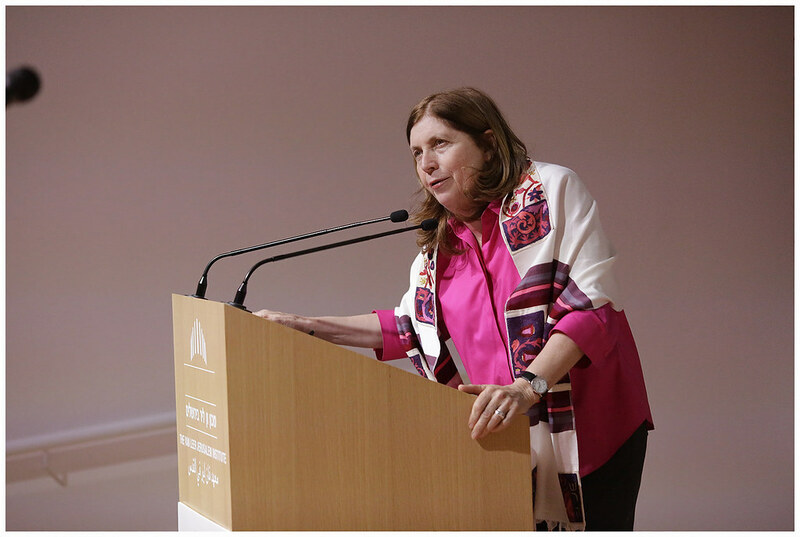 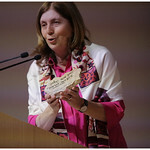 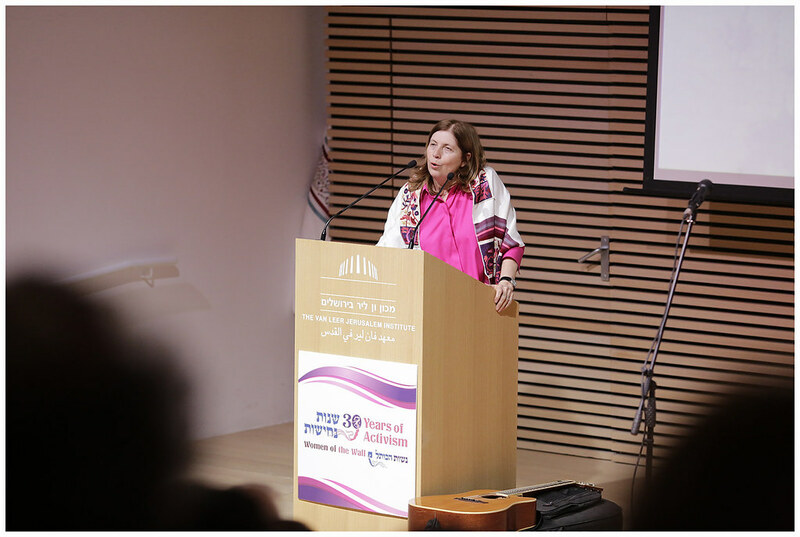 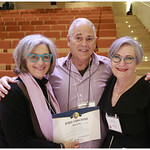 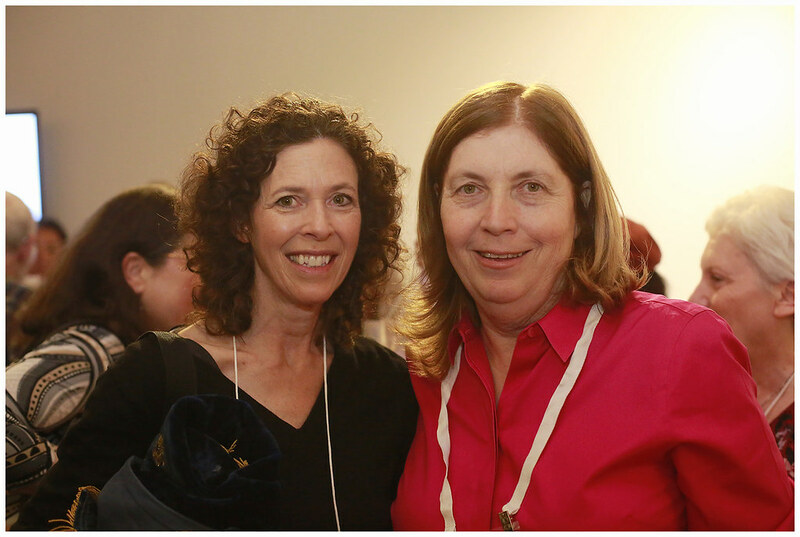 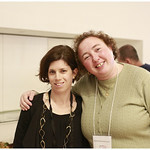 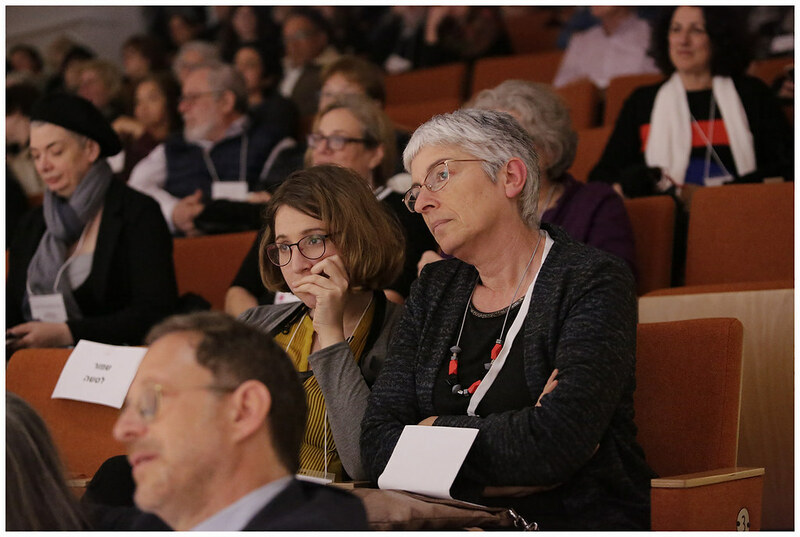 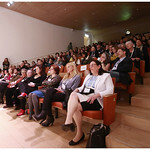 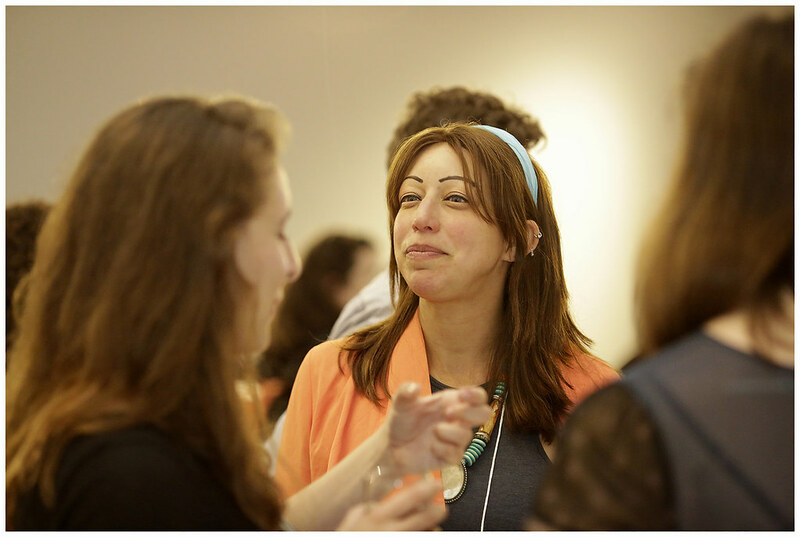 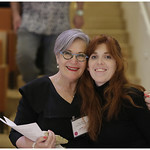 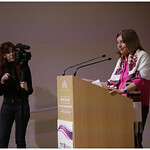 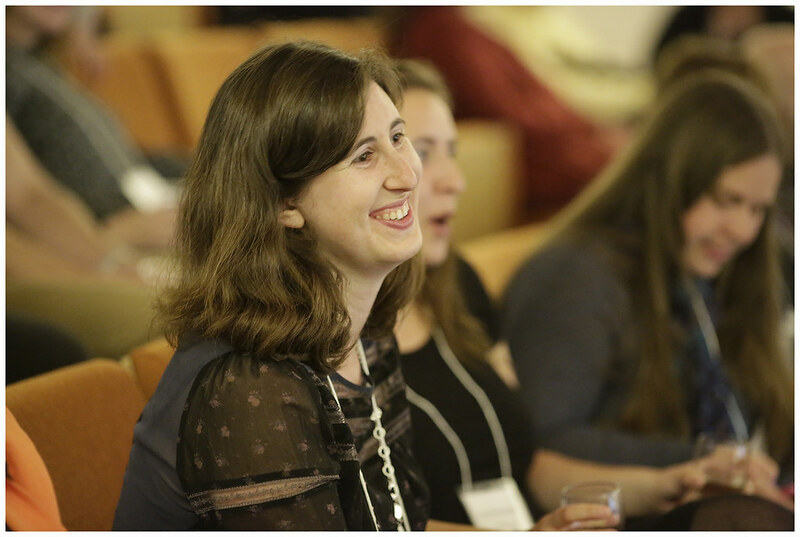 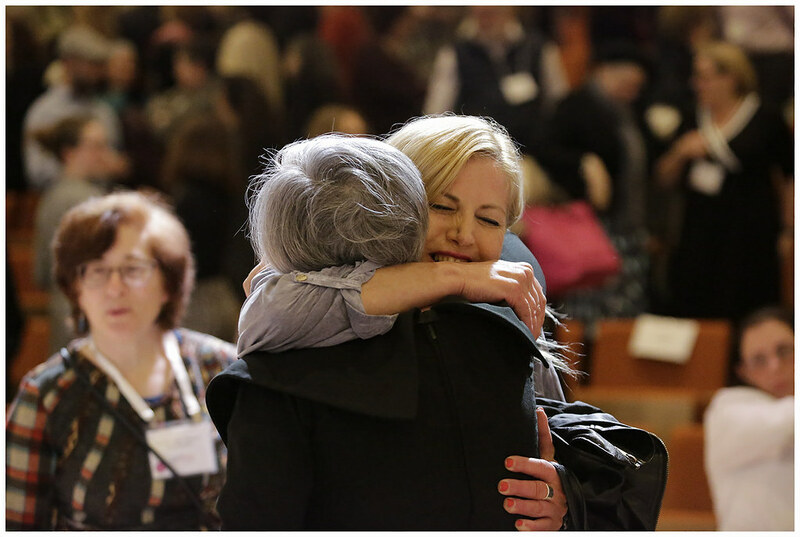 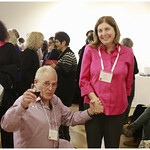 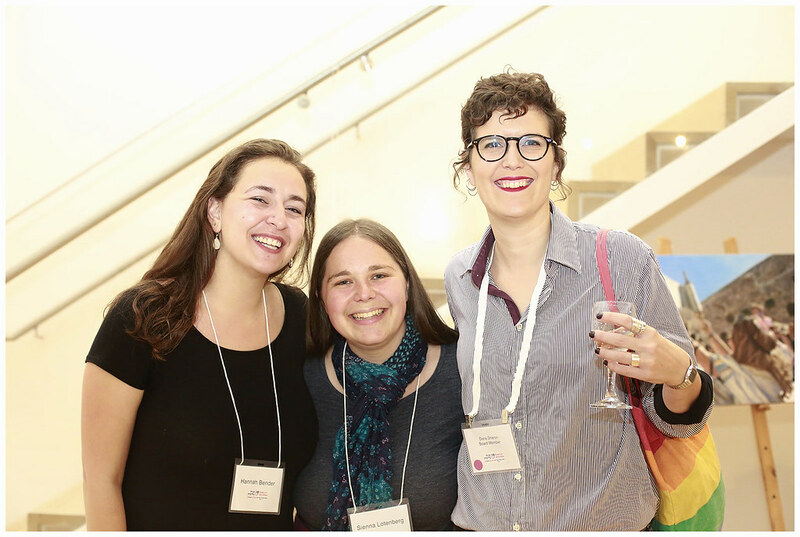 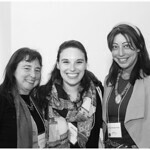 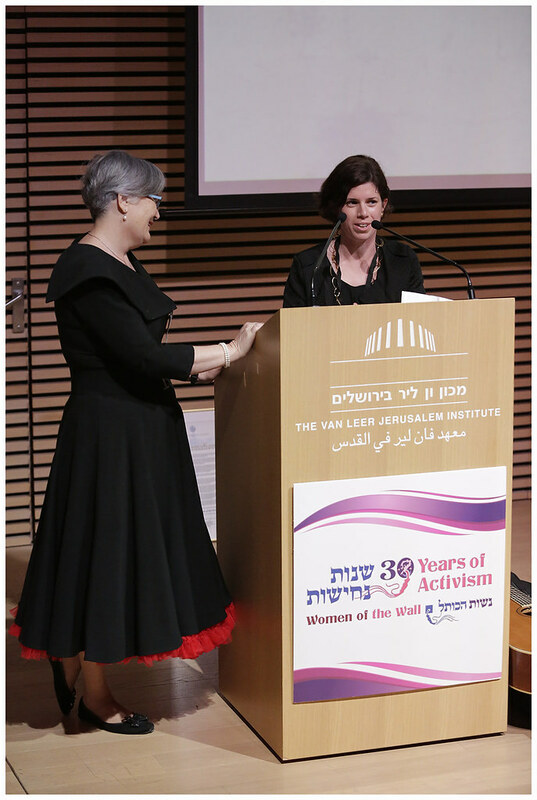 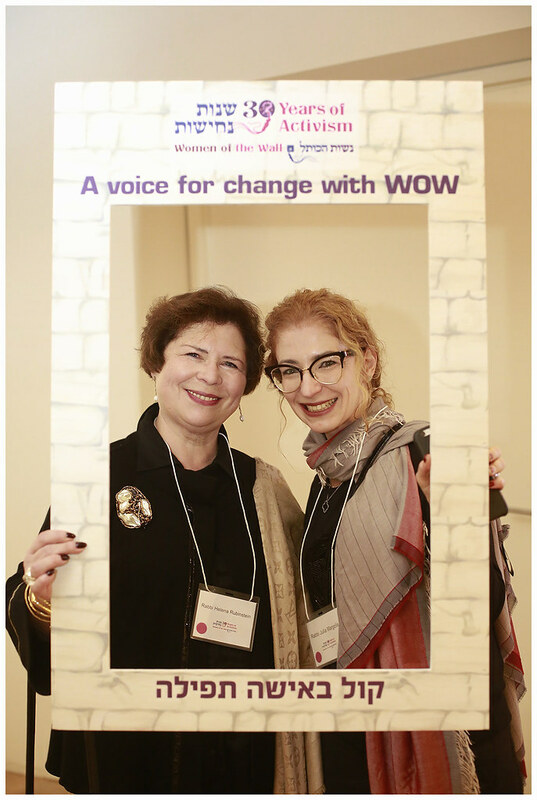 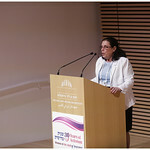 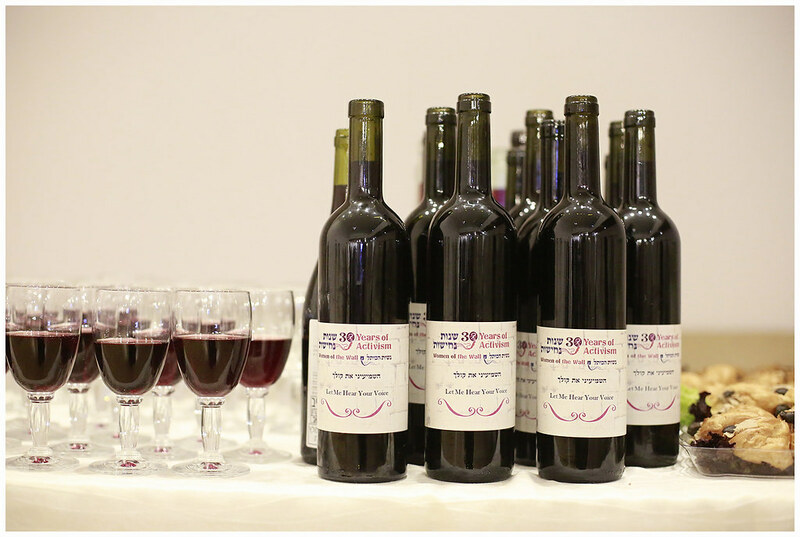 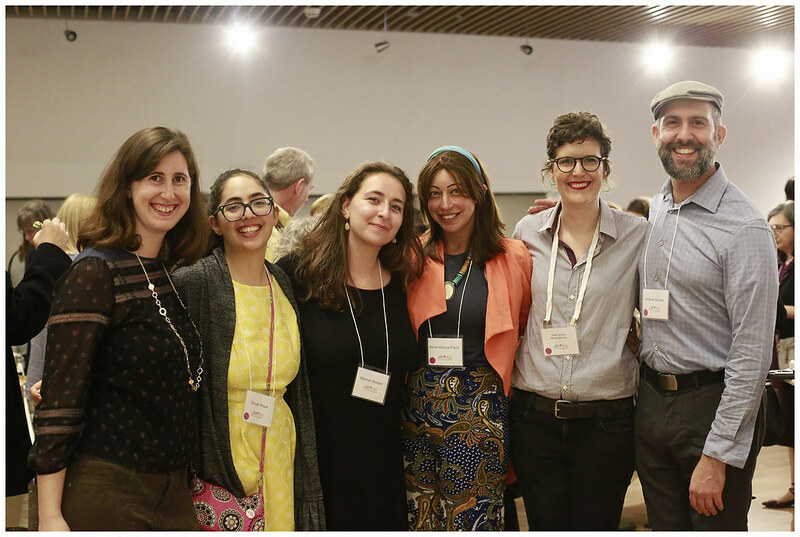 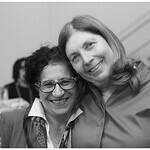 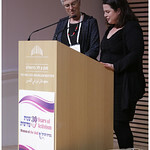 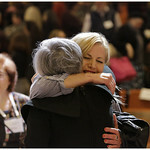 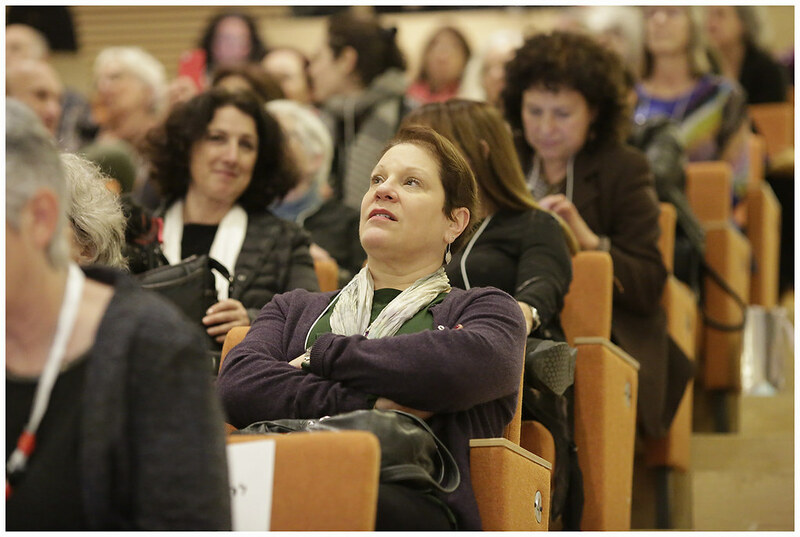 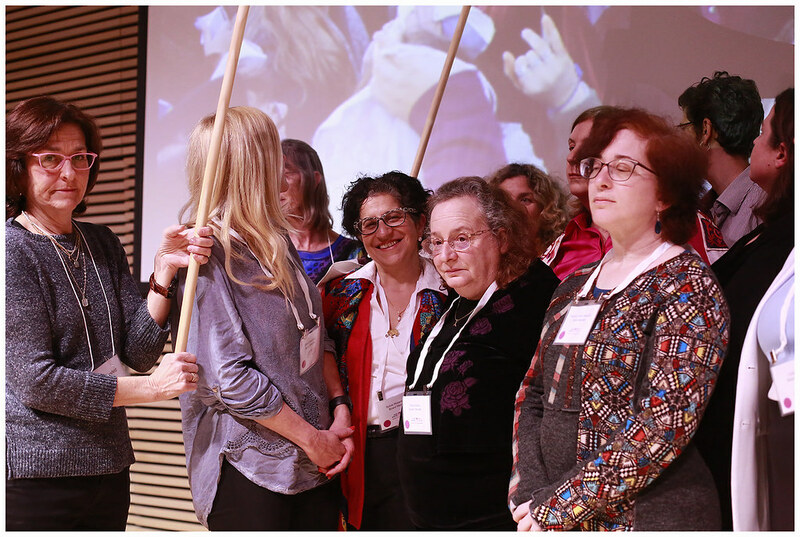 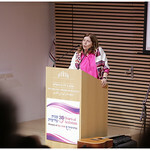 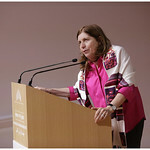 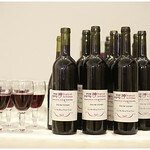 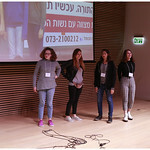 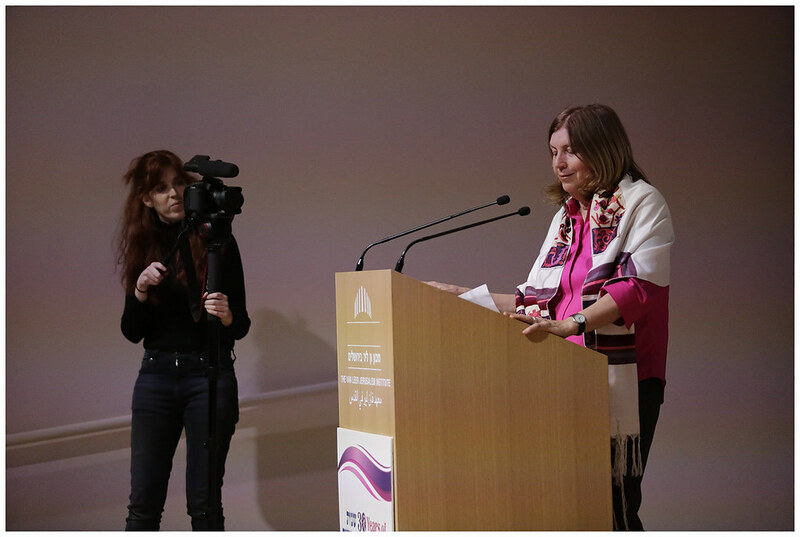 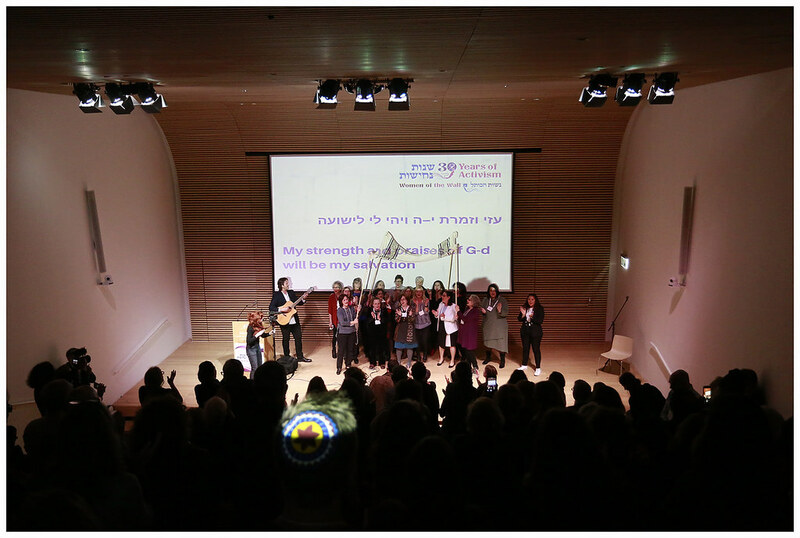 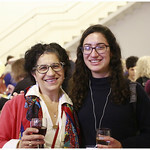 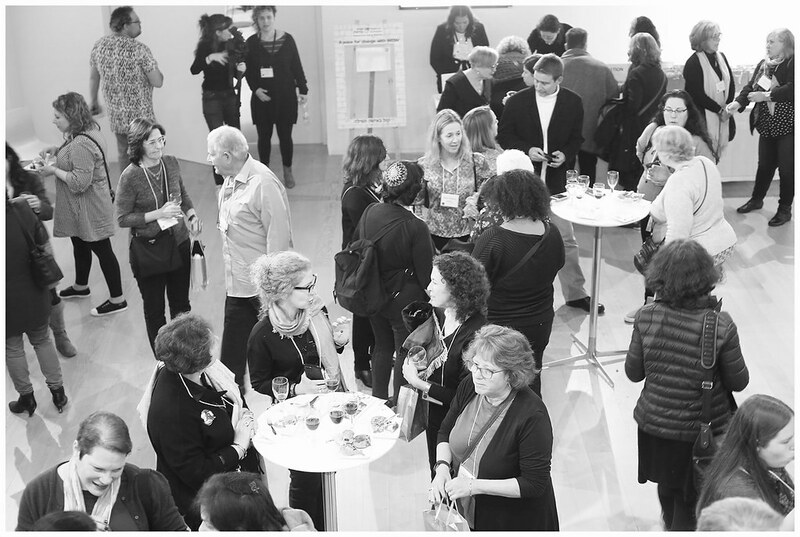 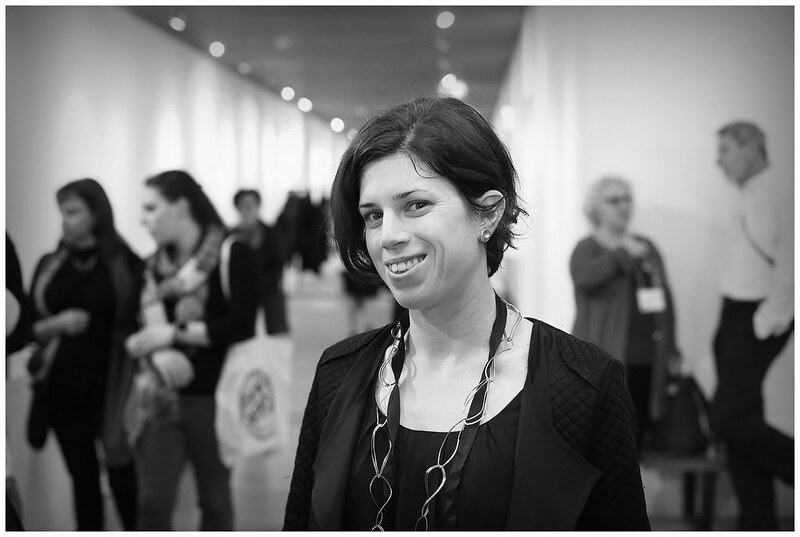 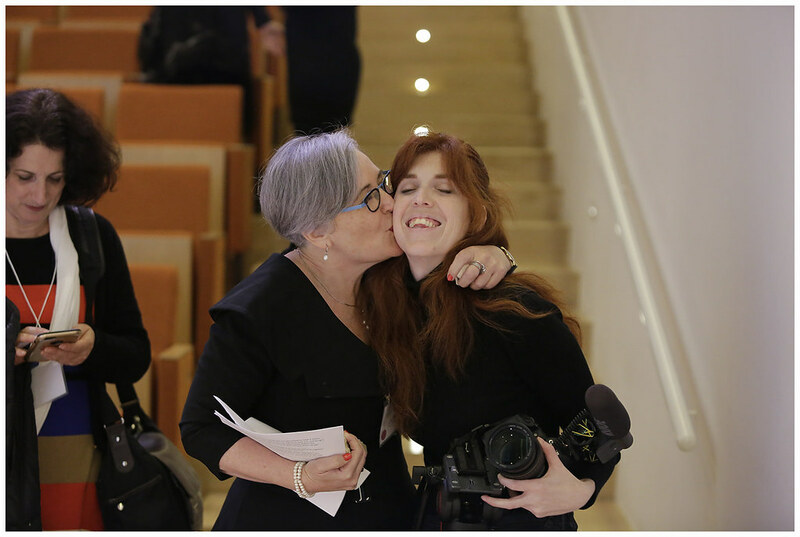 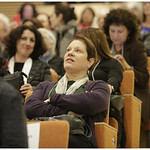 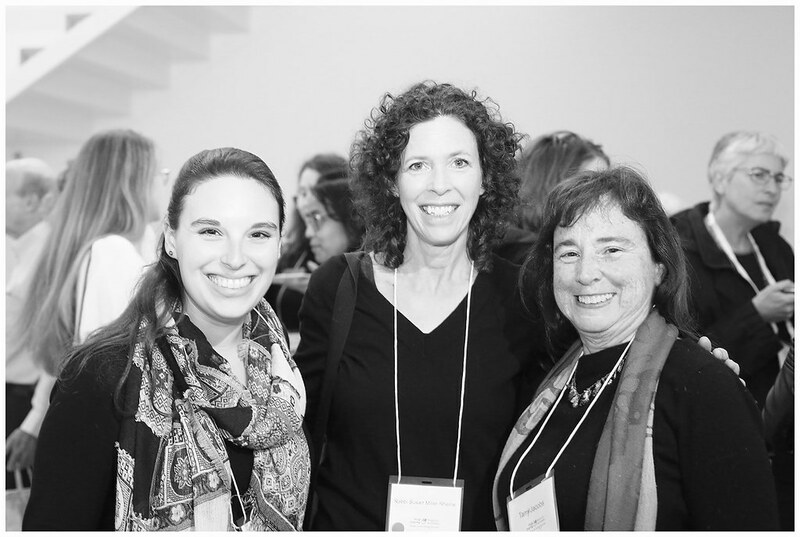 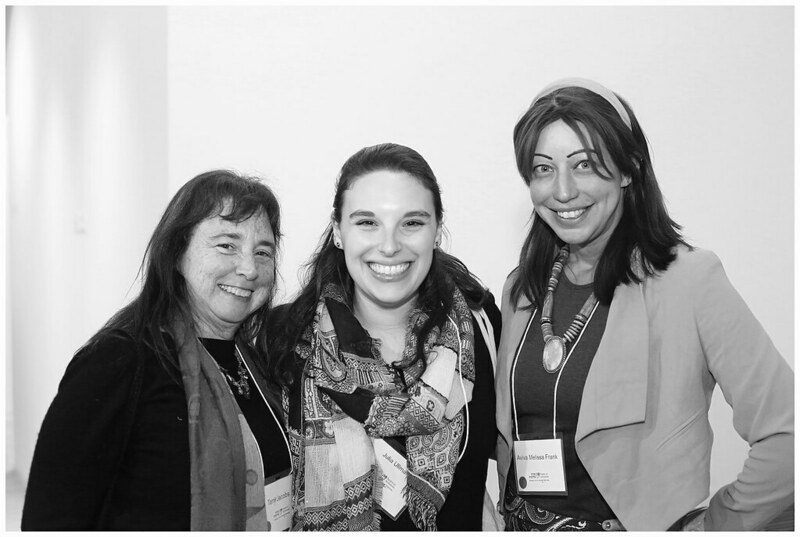 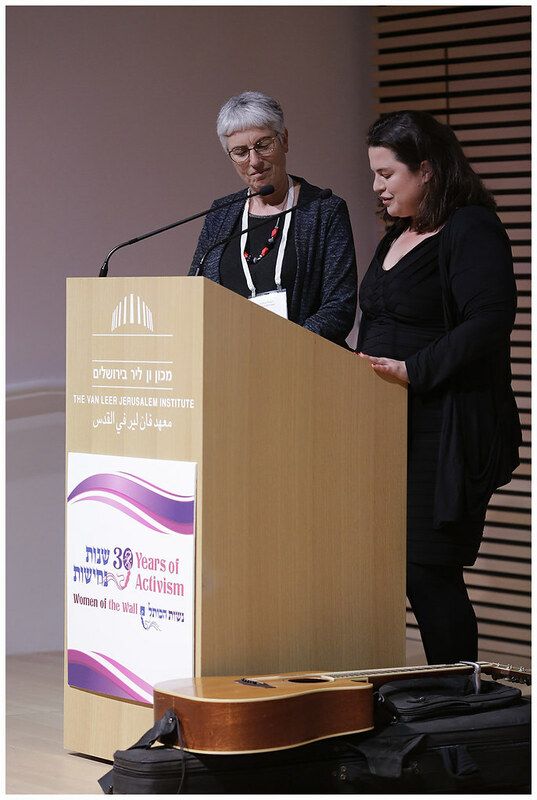 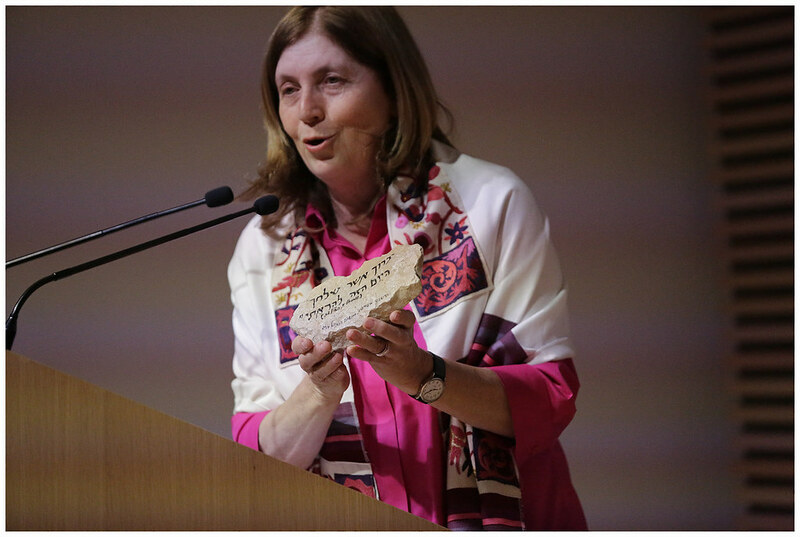 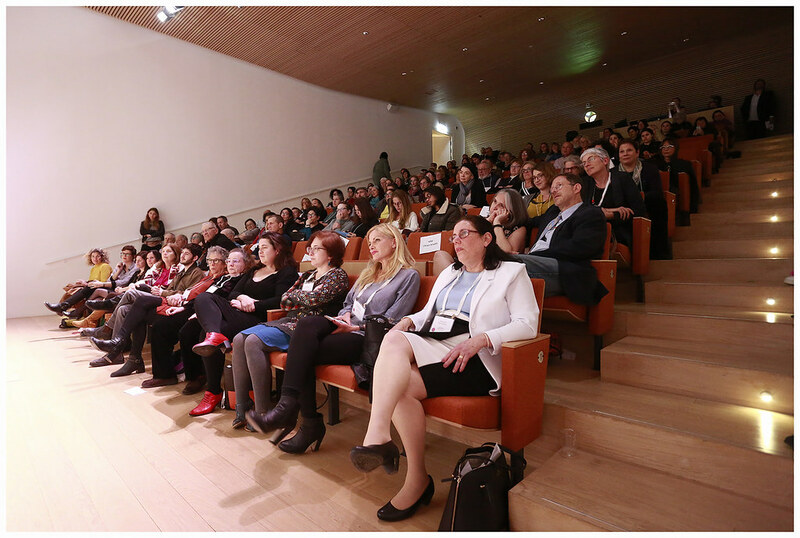 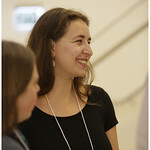 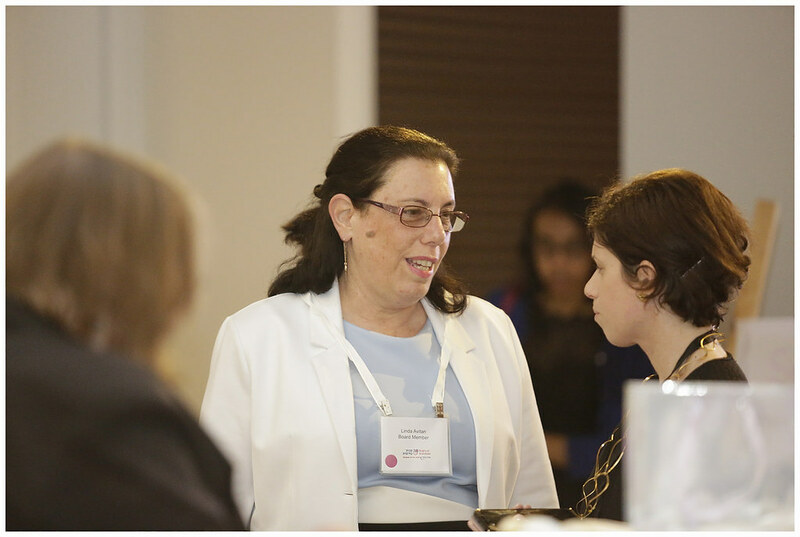 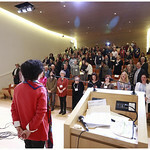 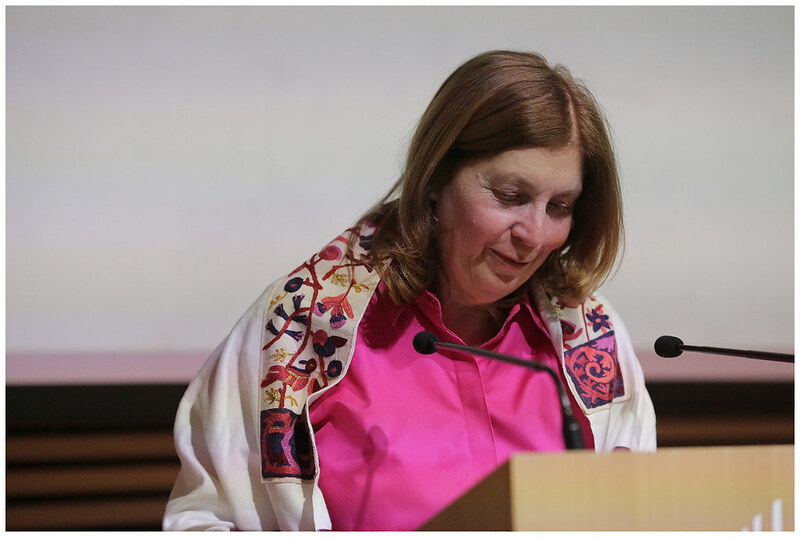 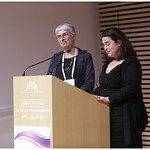 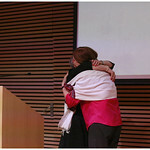 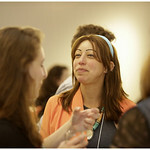 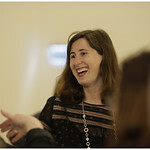 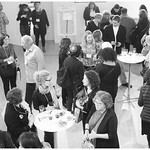 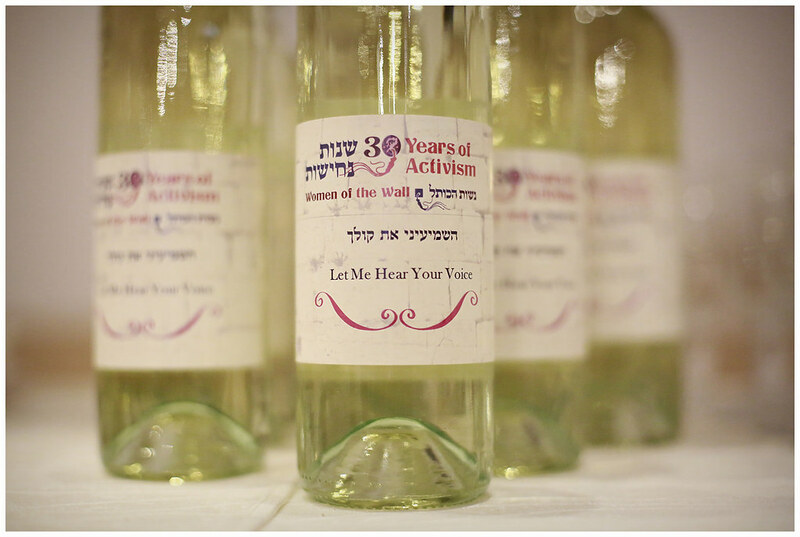 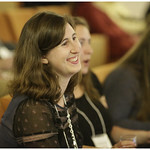 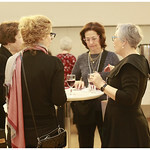 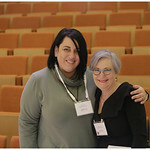 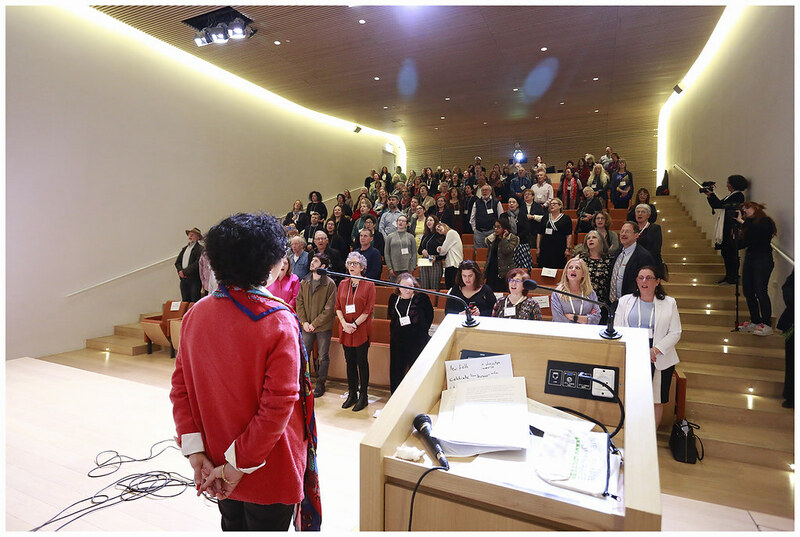 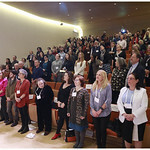 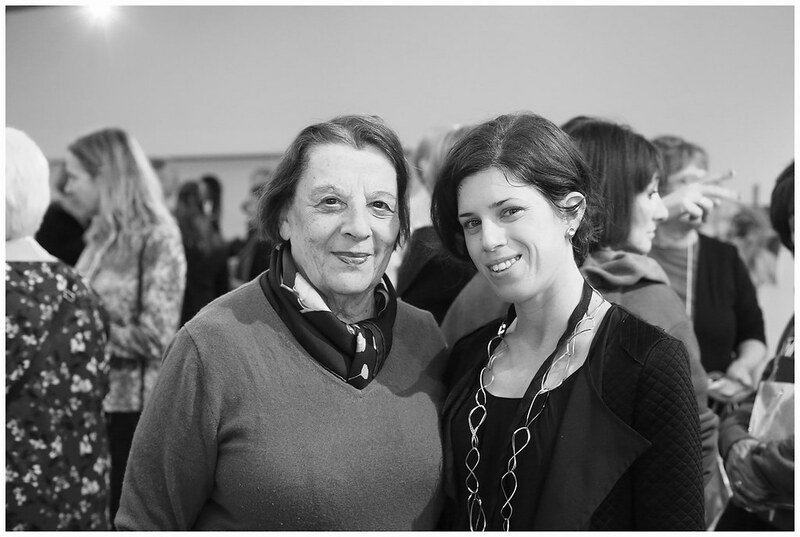 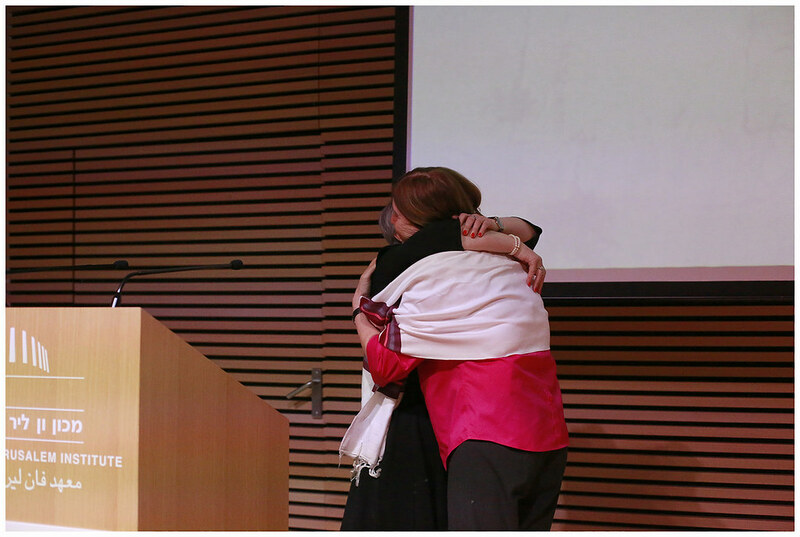 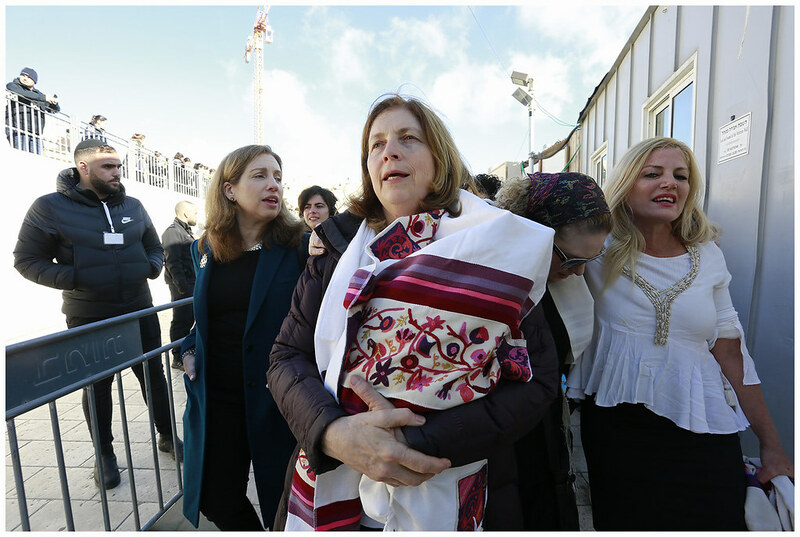 A strong coalition between Women of the Wall, the Reform Movement, the Conservative/Masorti Movement, the Jewish Federations of North America, and the Jewish Agency headed by Natan Sharansky. 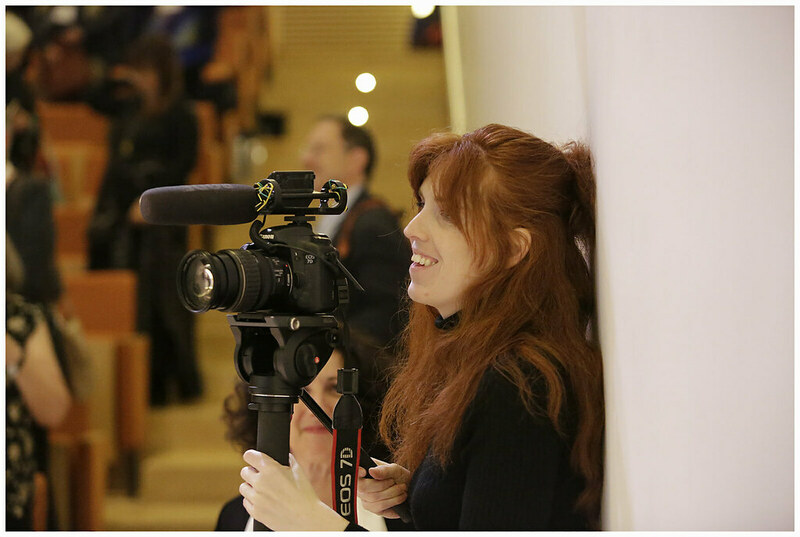 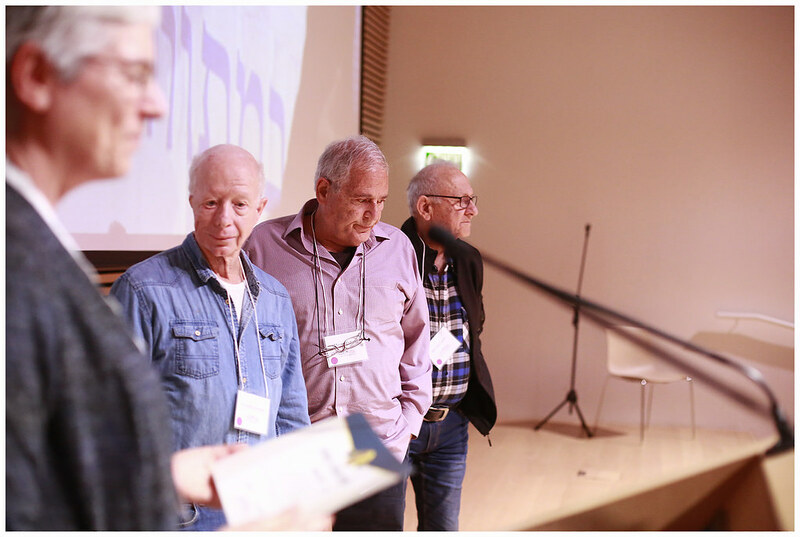 This coalition has given voice to those who have been silenced and ignored in Israel until now. 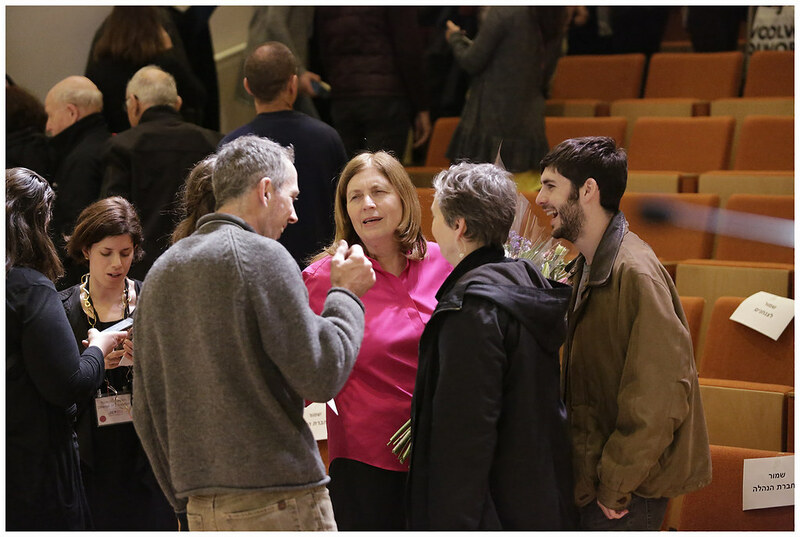 There will be one main entrance, the Shoken entrance, is going to be transformed to allow full visibility of the third section and a point of choice for all prayer sections. 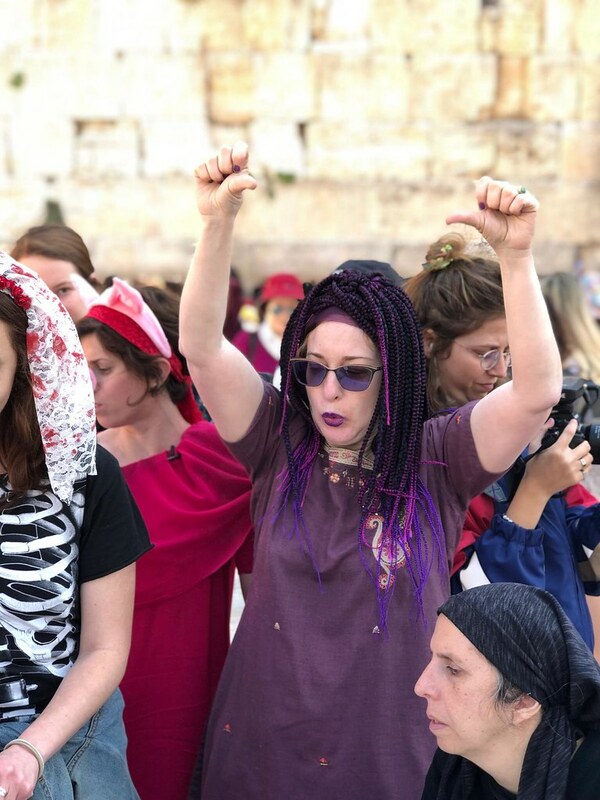 The de-criminalization of women’s prayer at the Kotel, including the women’s section even after the finalization of the third section. 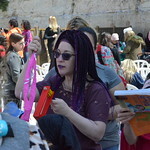 Removing criminal sanctions for non-compliance with Kotel “local custom” as defined by ultra-Orthodox rabbinic authority. 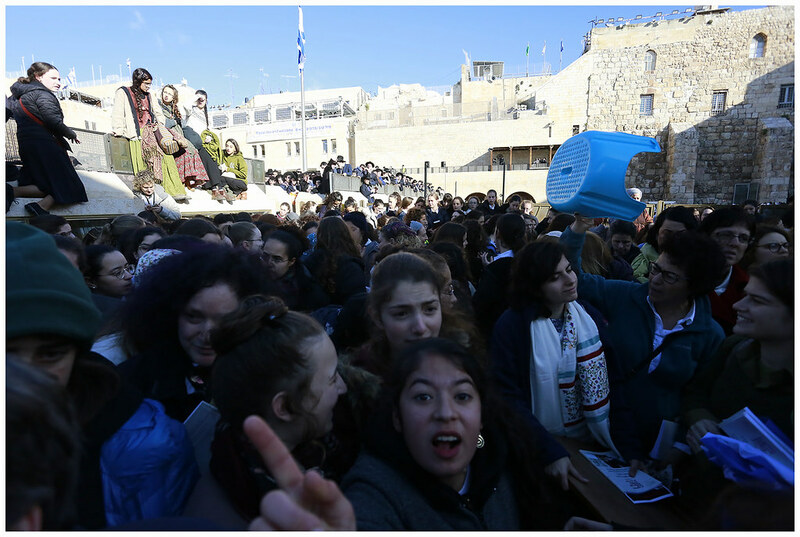 The liberation of the Western Wall upper plaza. 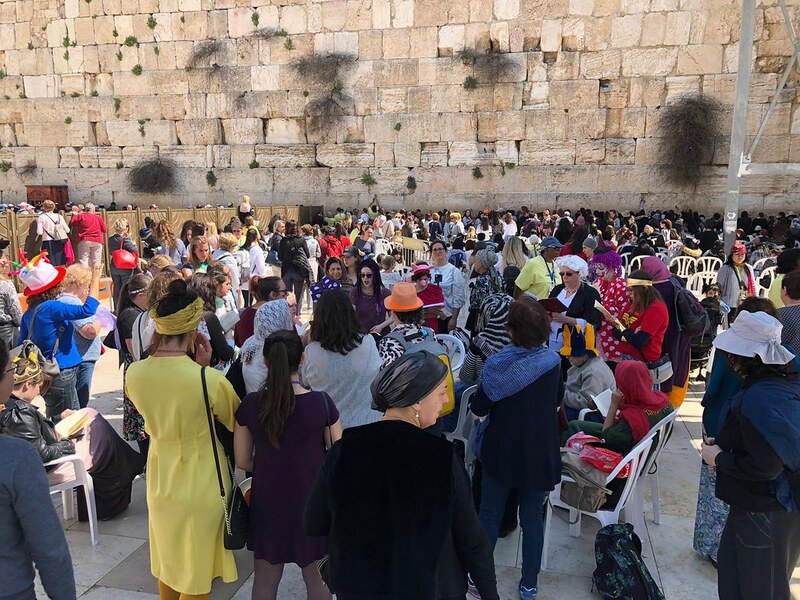 The plaza of the Western Wall, the shared space above the three prayer sections, will be established as a national plaza for state ceremonies, free of discrimination based on gender and denomination. 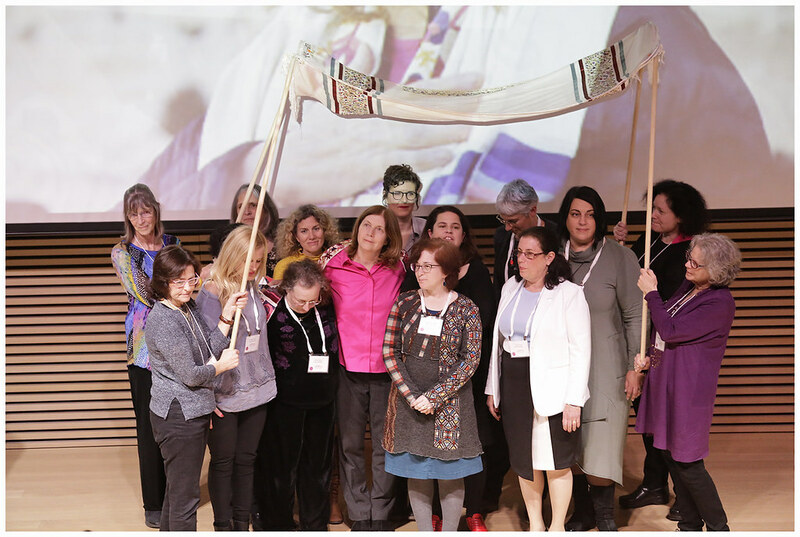 The allocation of holy space in Israel and state budget to women and non-Orthodox Jewish factions is groundbreaking. 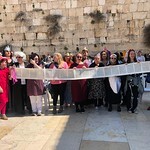 In this agreement the state and the office of the Administrator of the Western Wall and Holy places formally recognize and accept pluralist Jewish denominations and movements for the very first time. 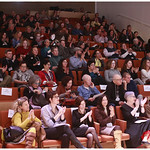 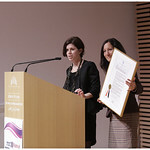 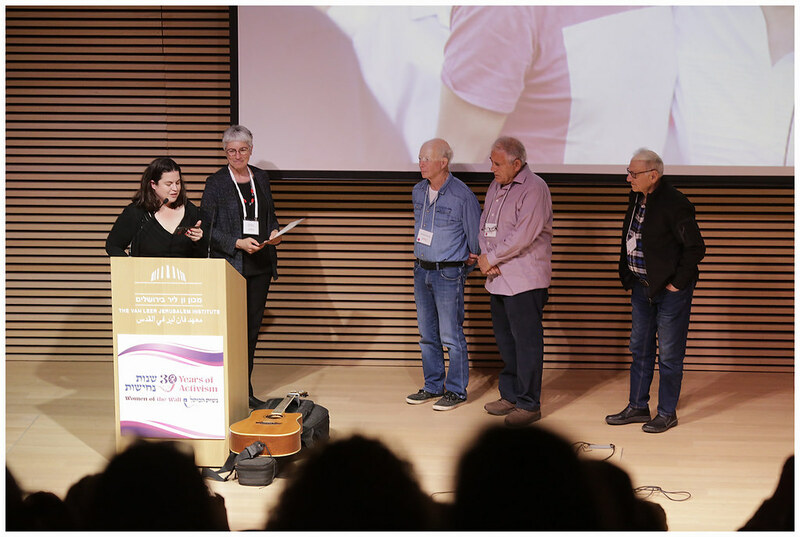 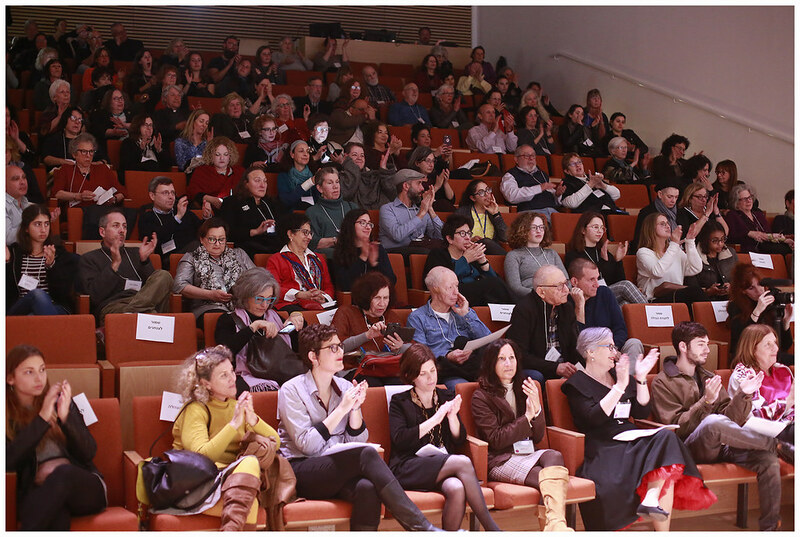 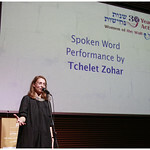 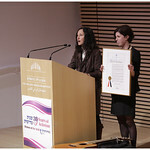 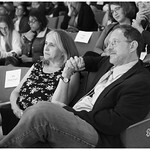 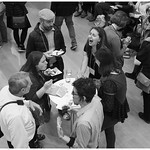 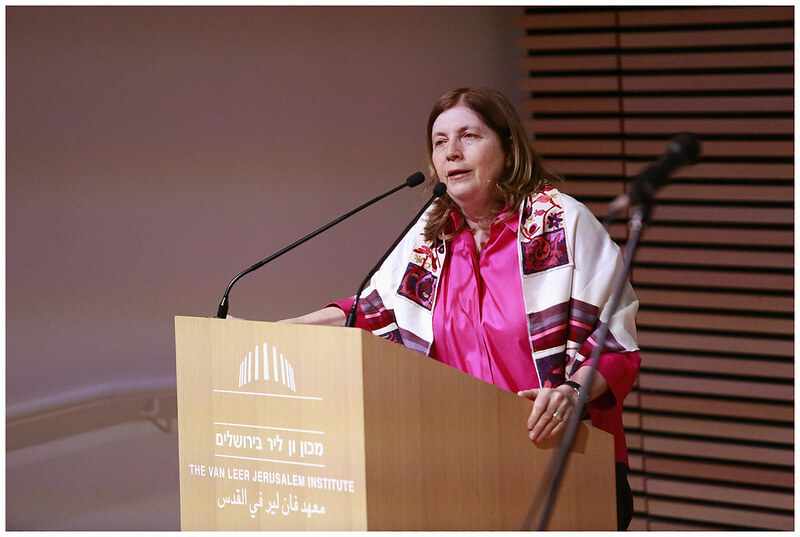 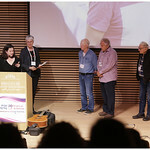 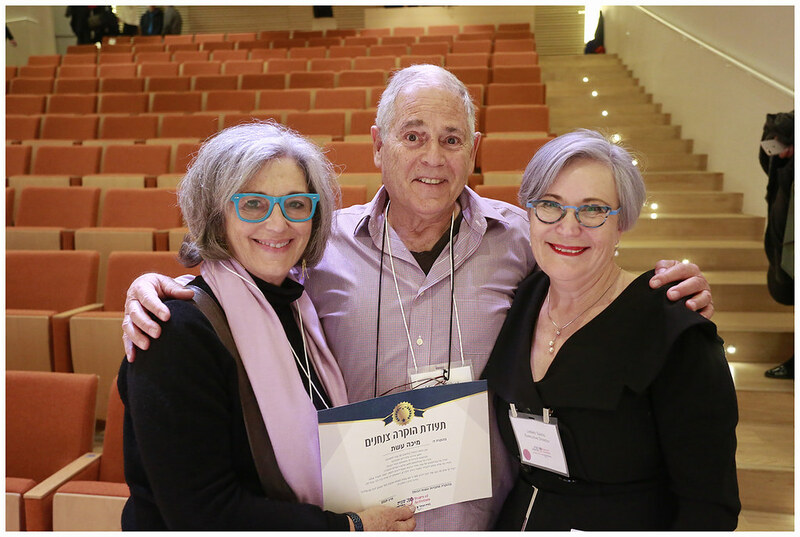 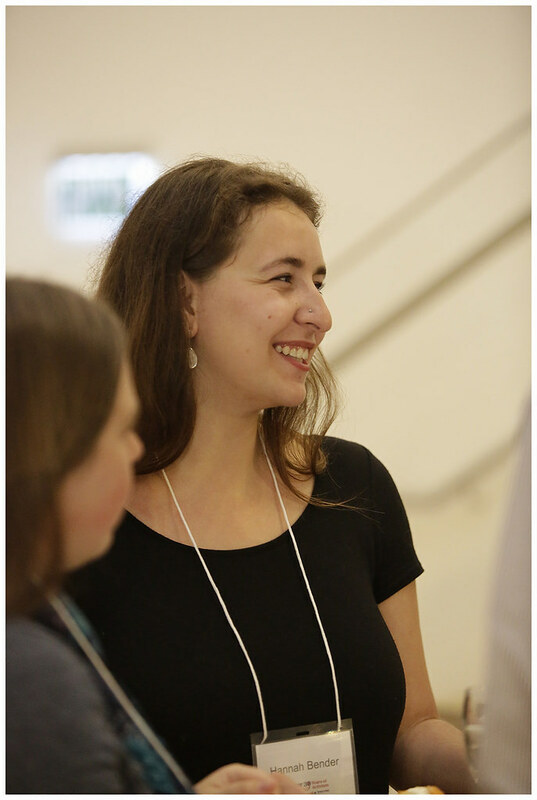 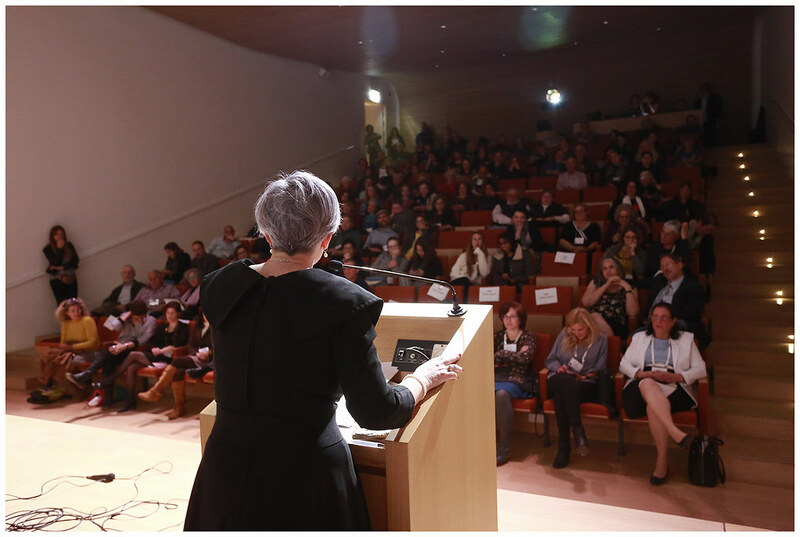 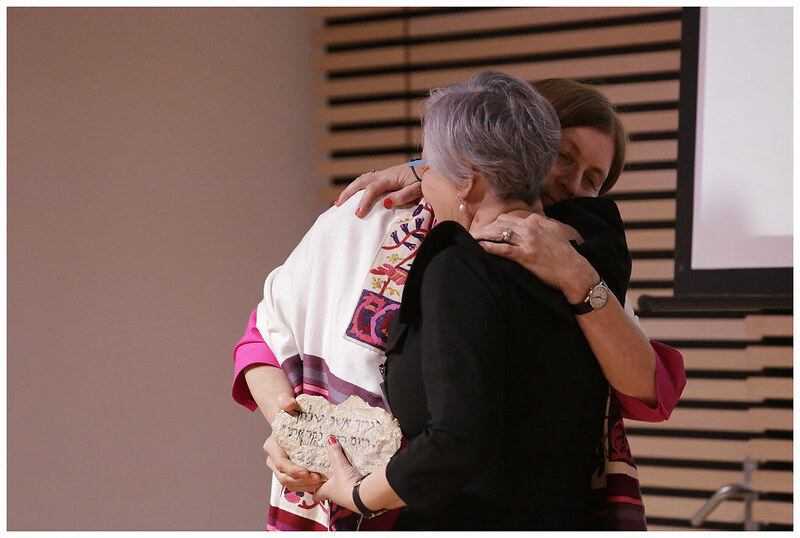 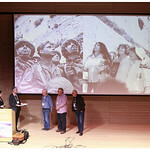 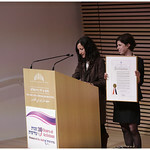 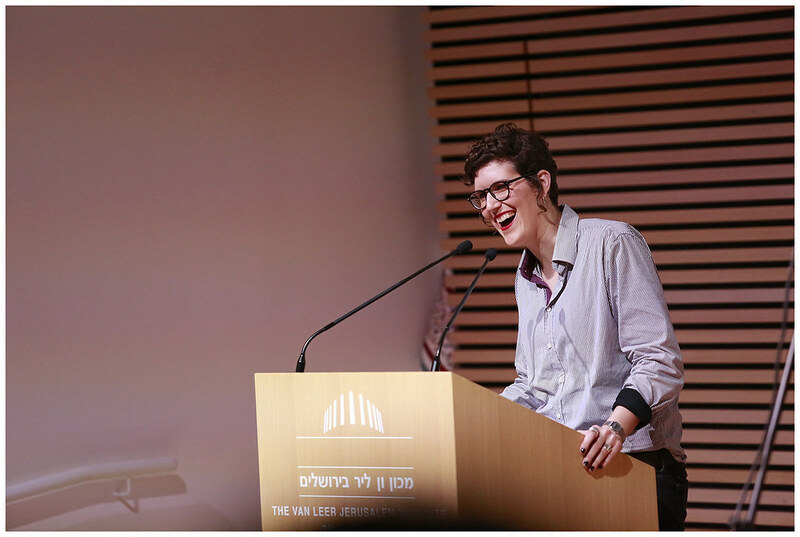 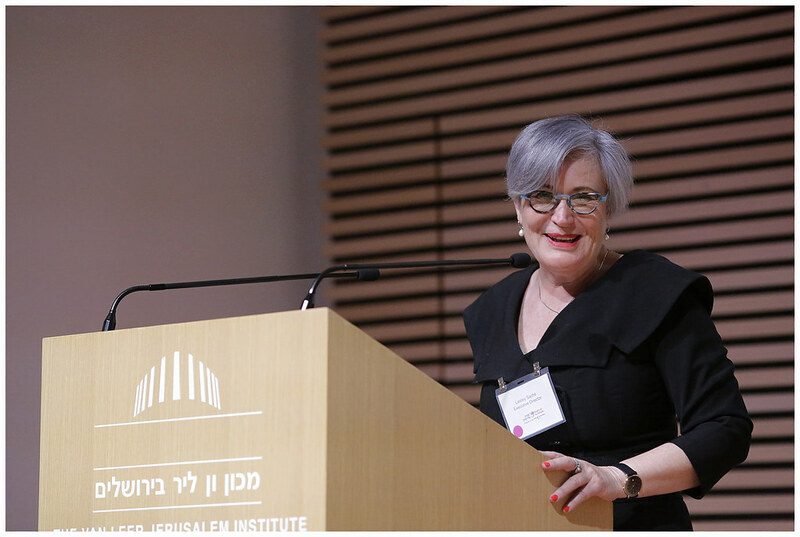 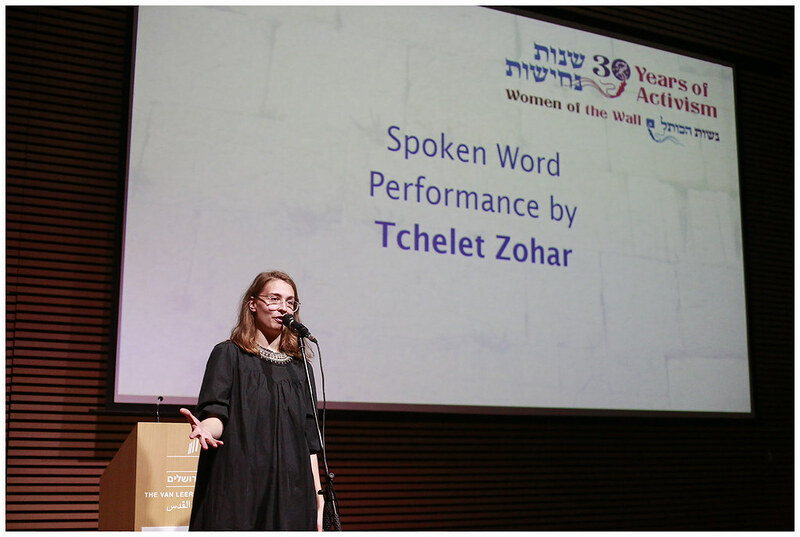 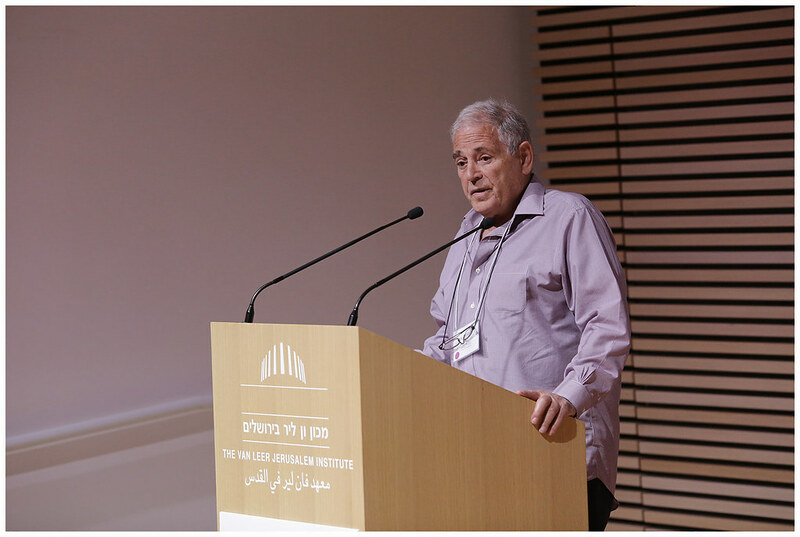 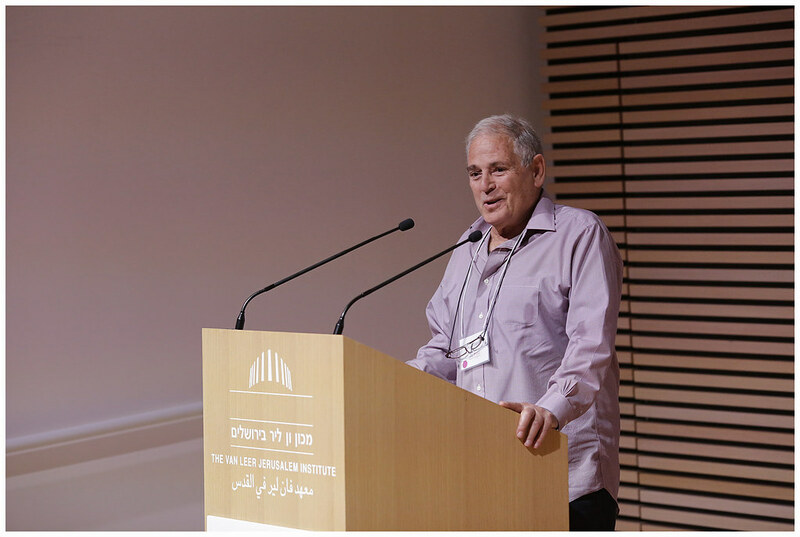 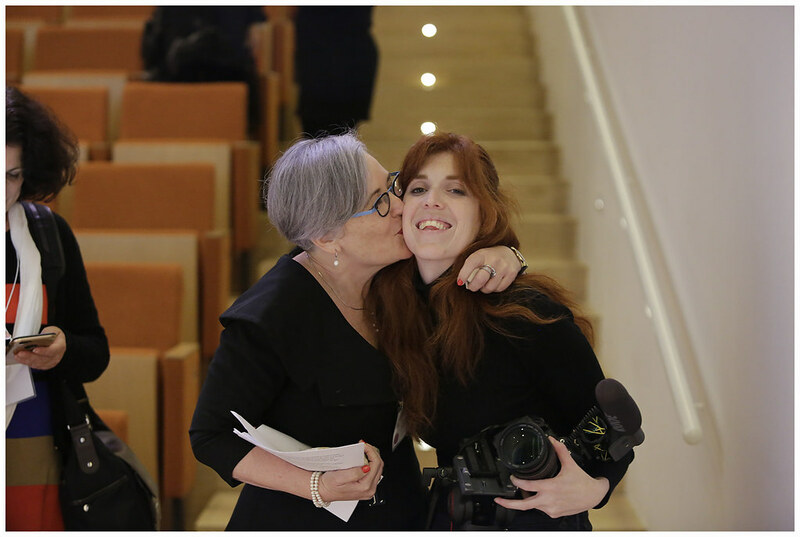 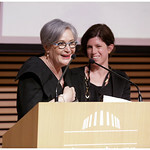 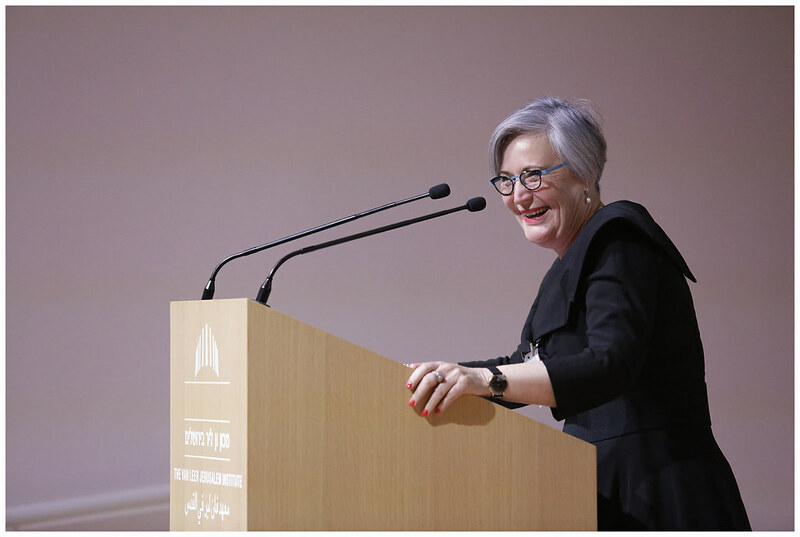 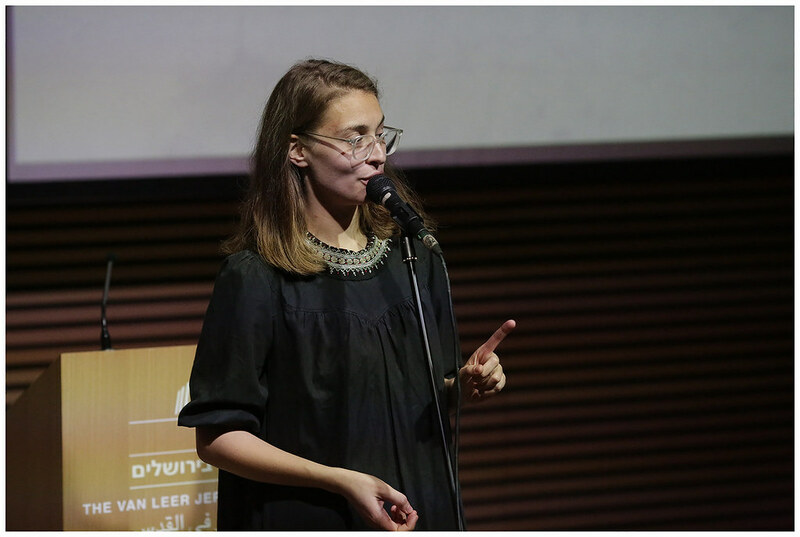 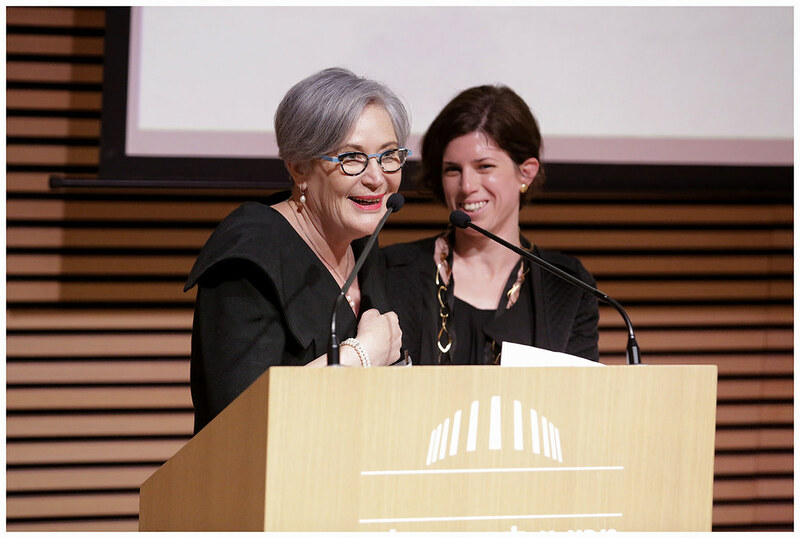 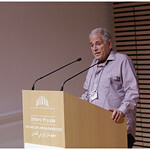 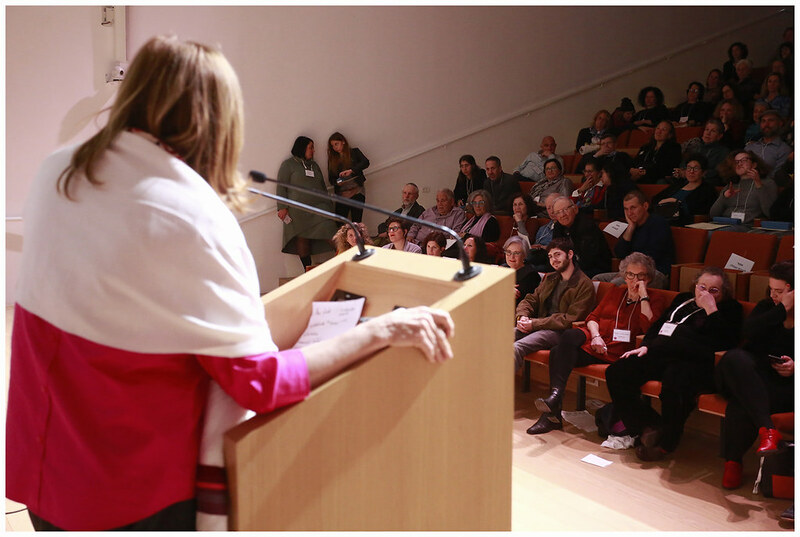 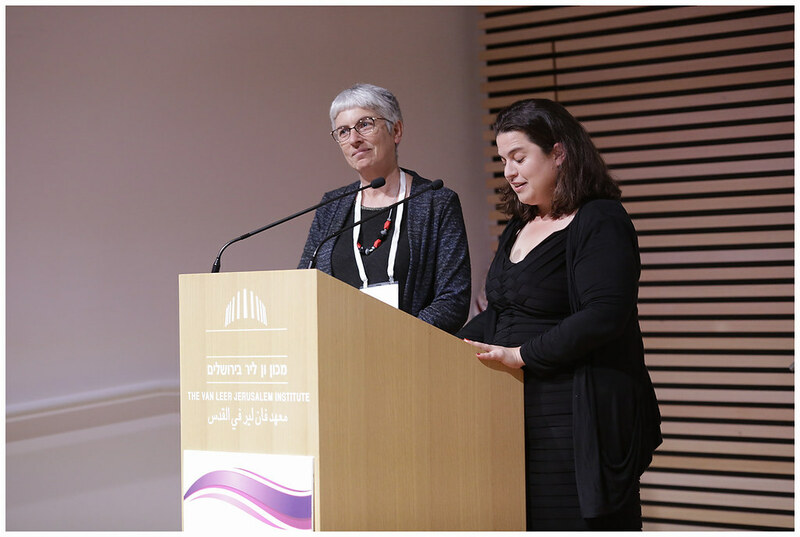 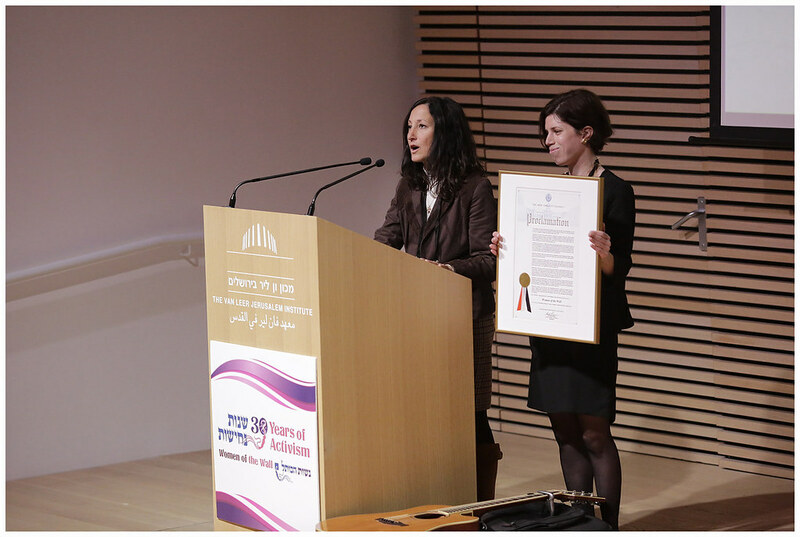 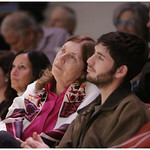 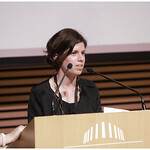 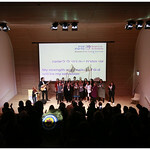 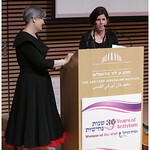 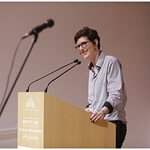 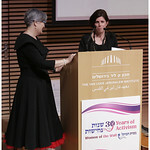 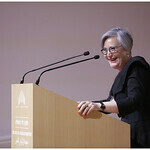 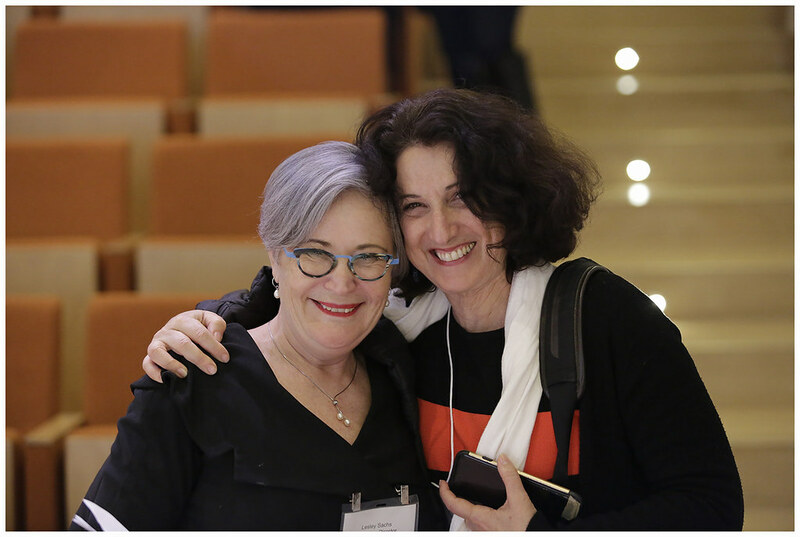 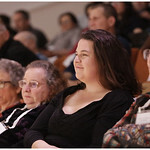 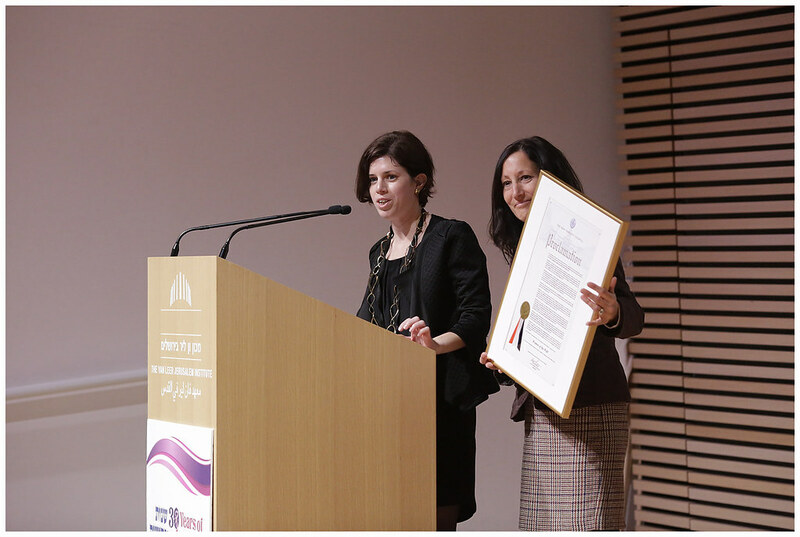 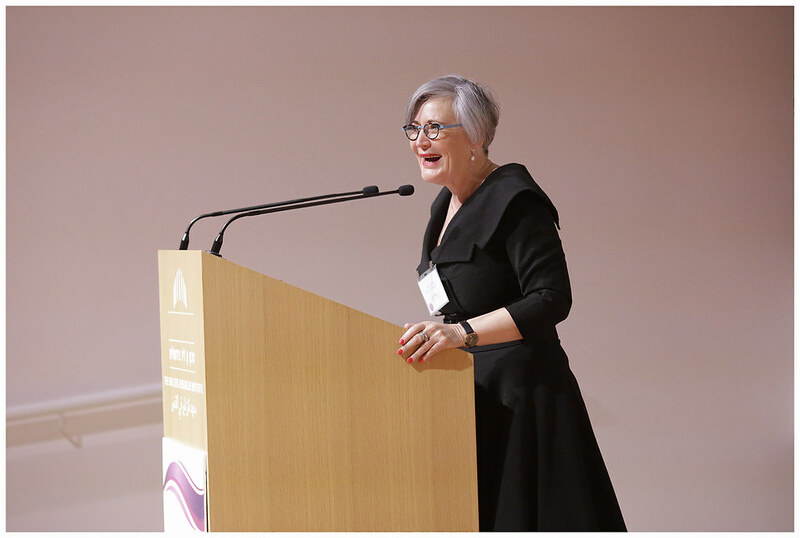 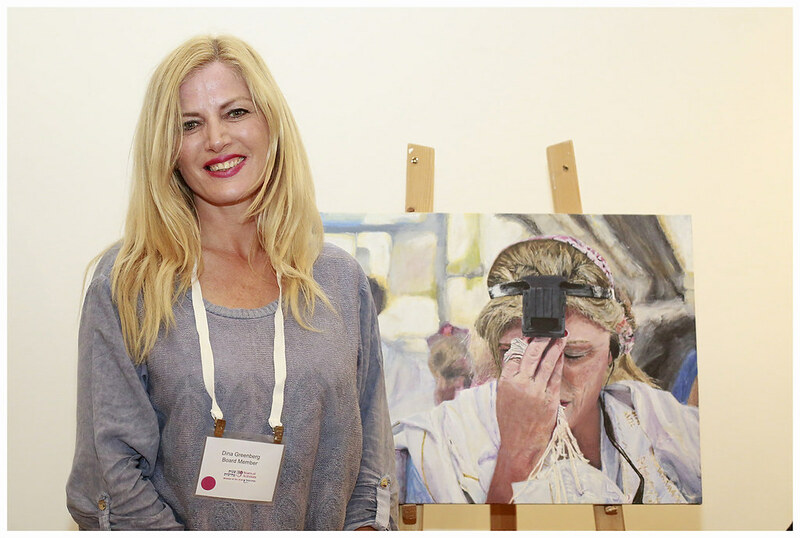 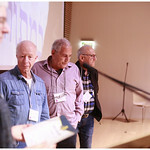 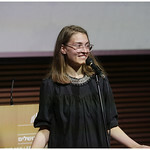 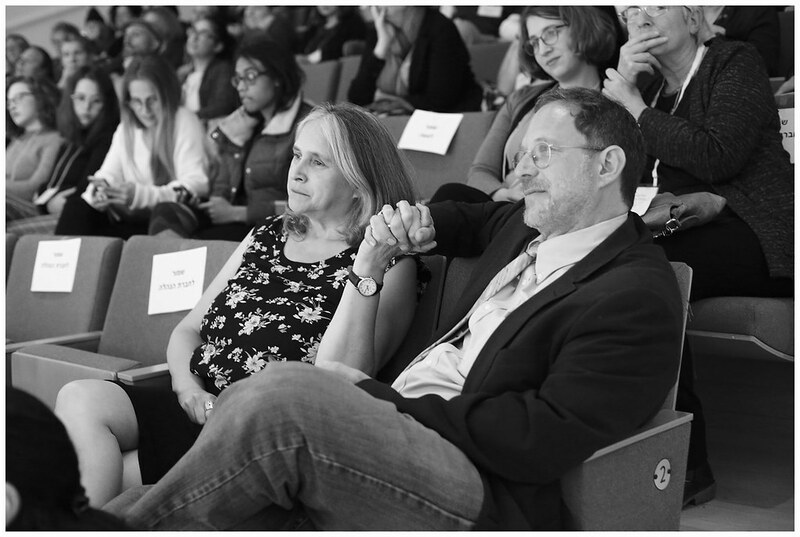 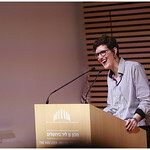 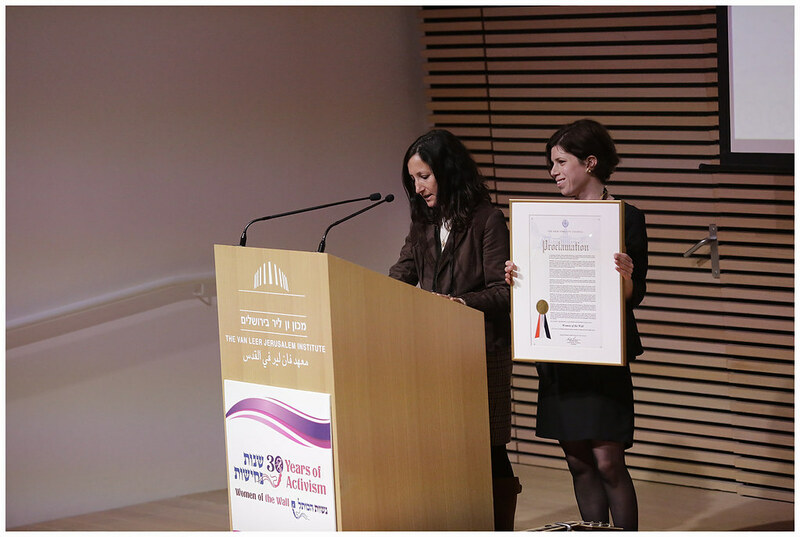 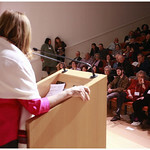 This achievement in and of itself will open the floodgates to Jewish pluralism in Israel. 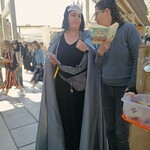 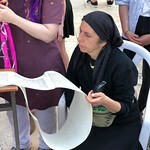 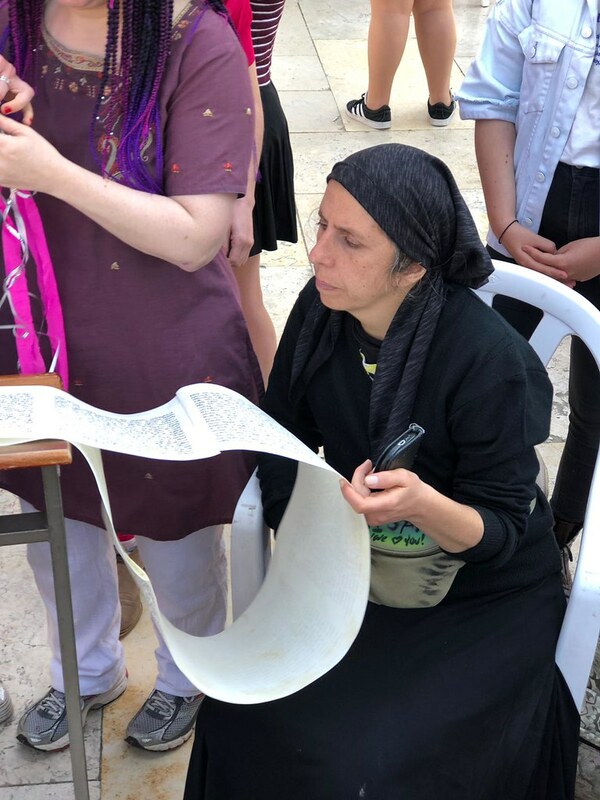 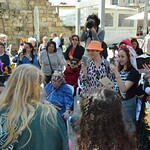 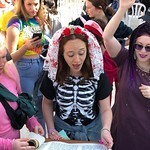 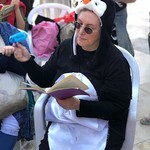 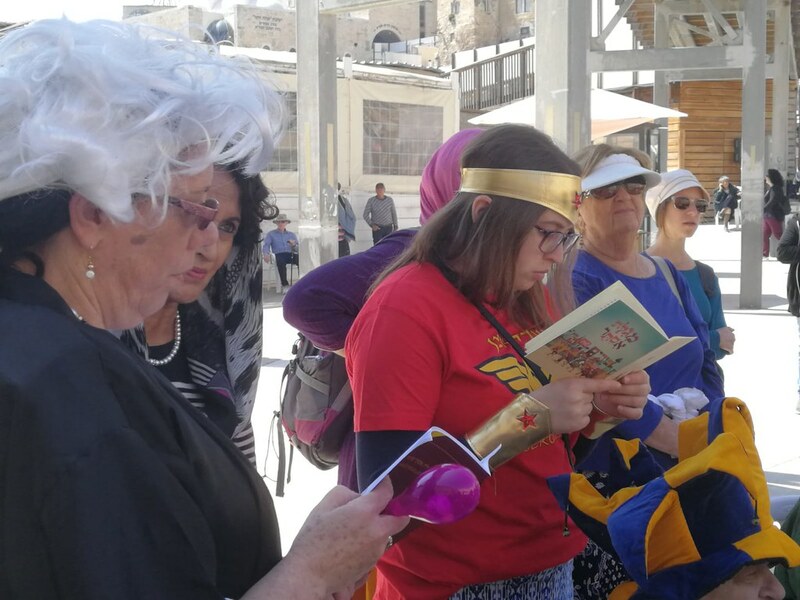 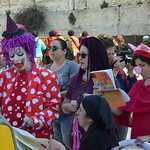 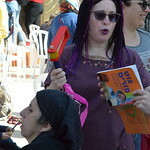 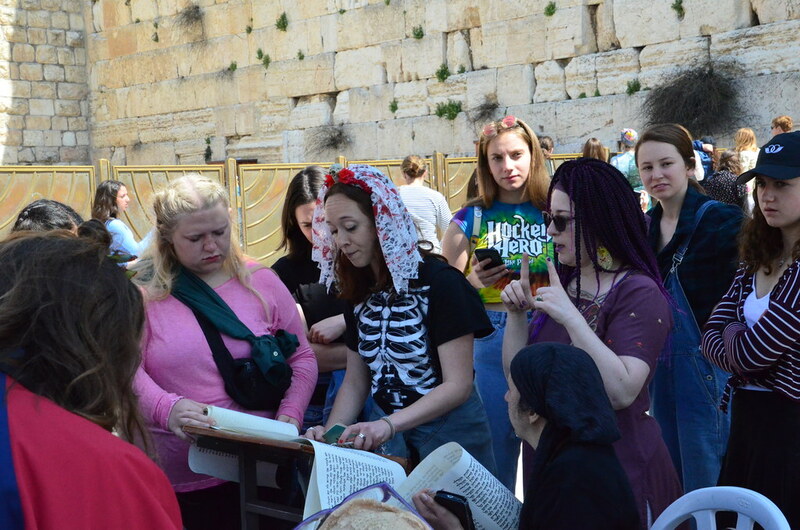 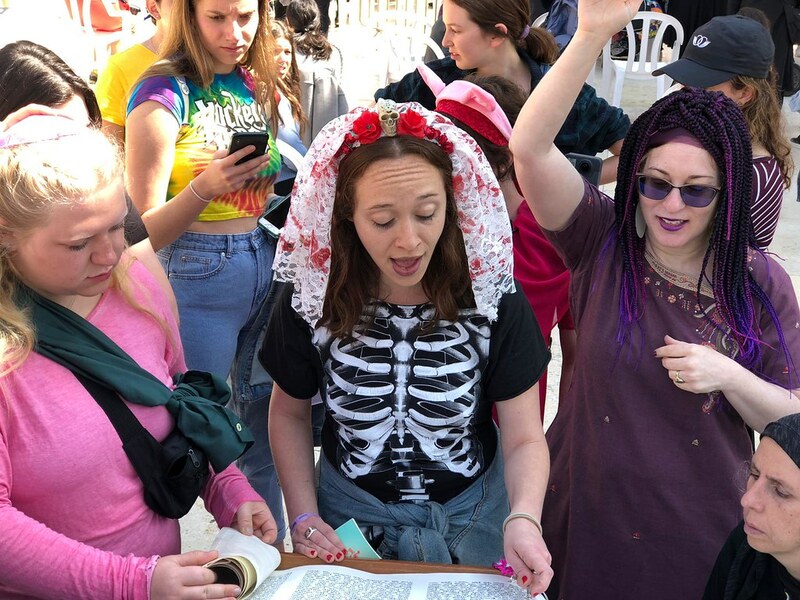 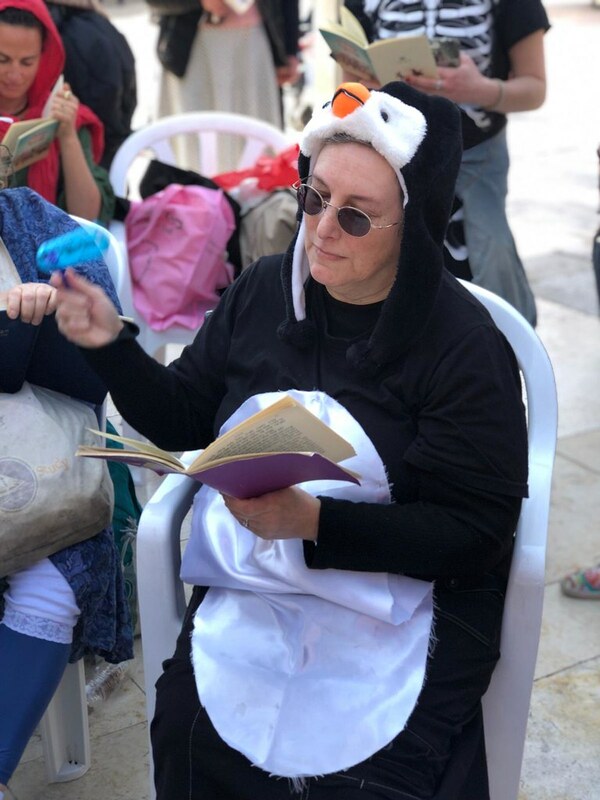 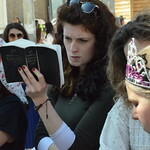 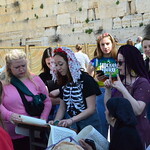 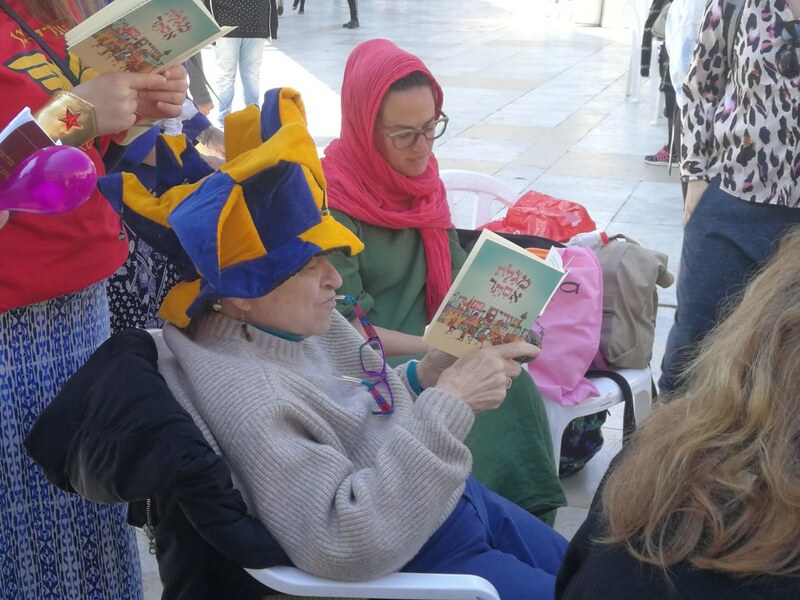 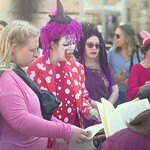 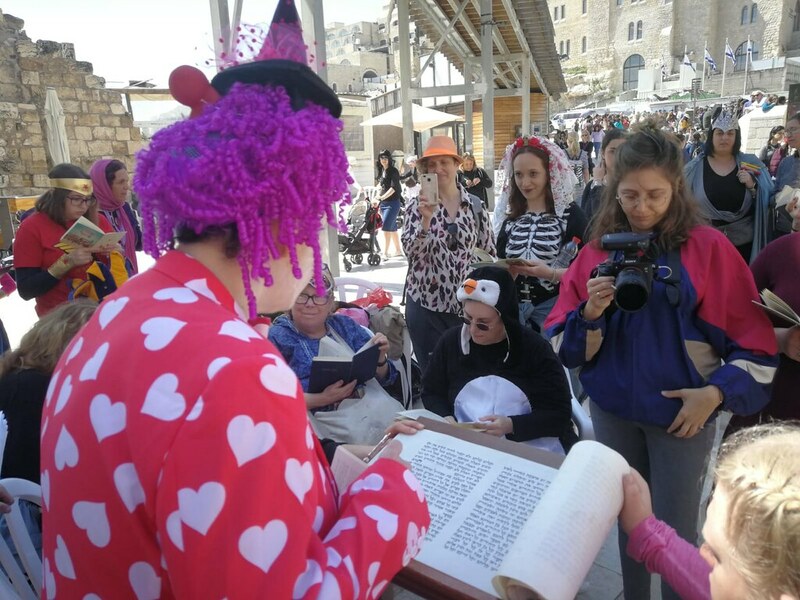 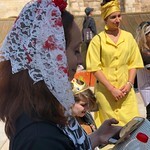 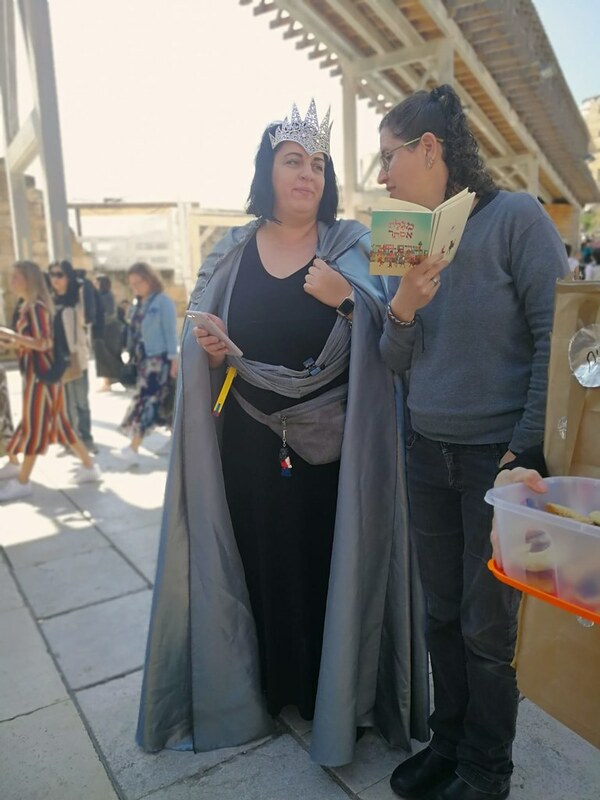 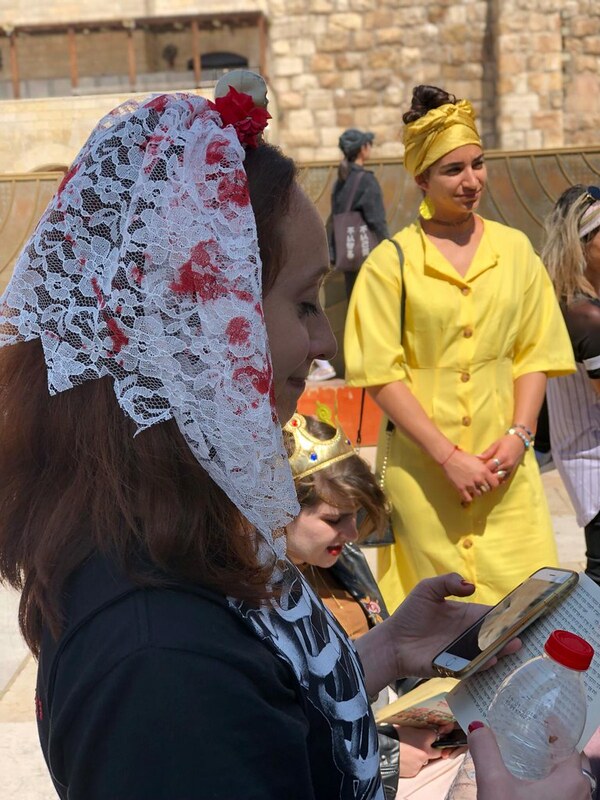 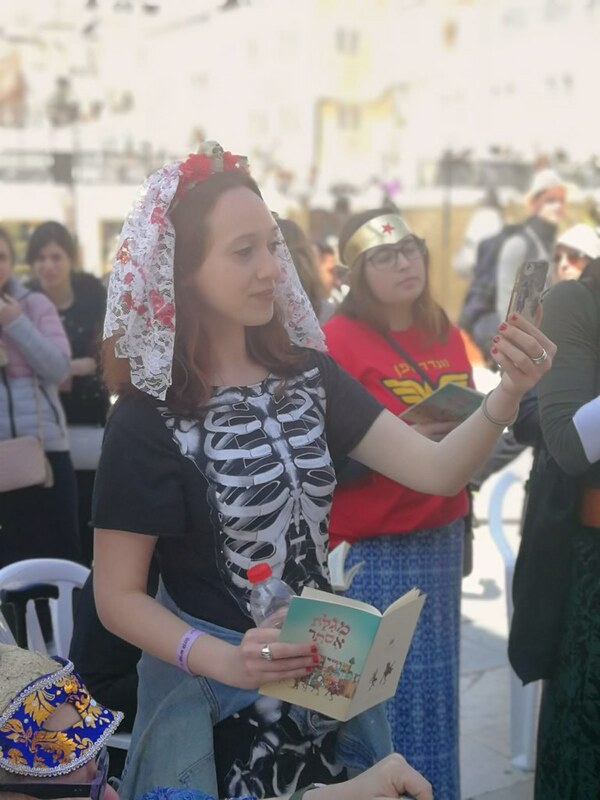 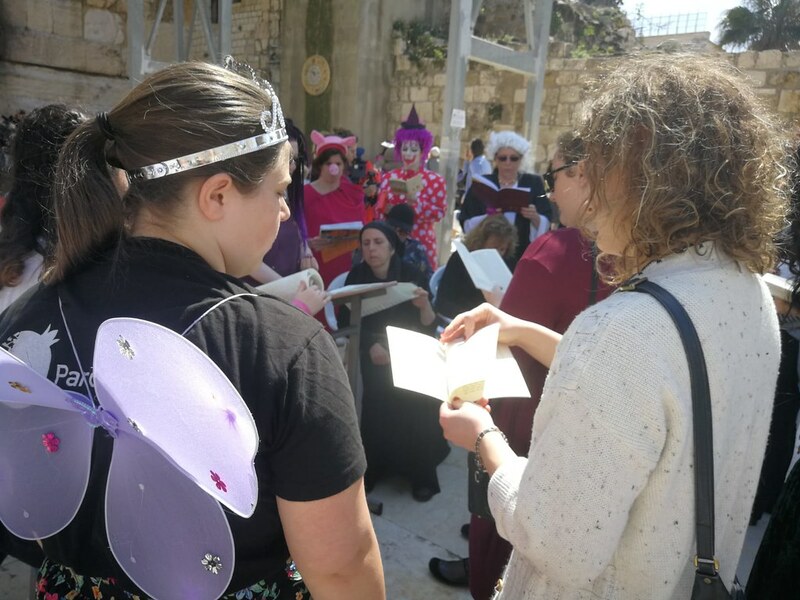 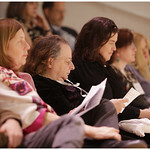 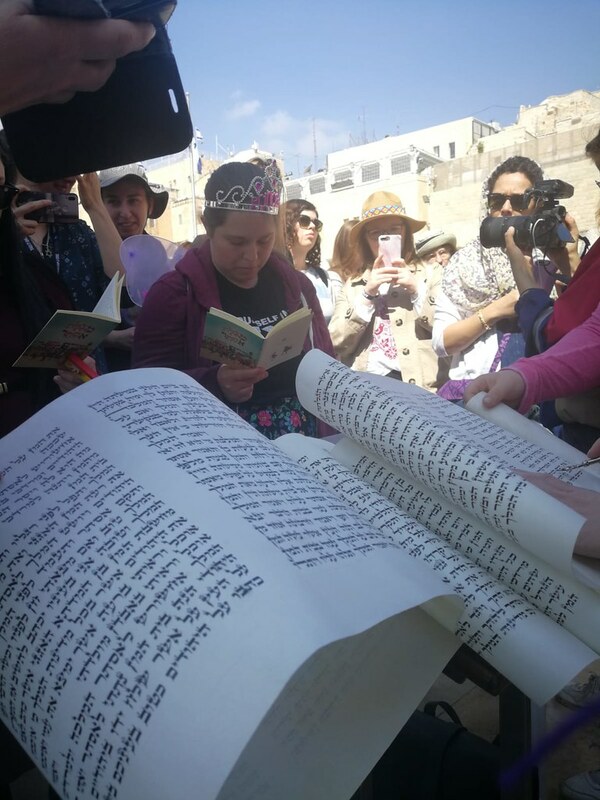 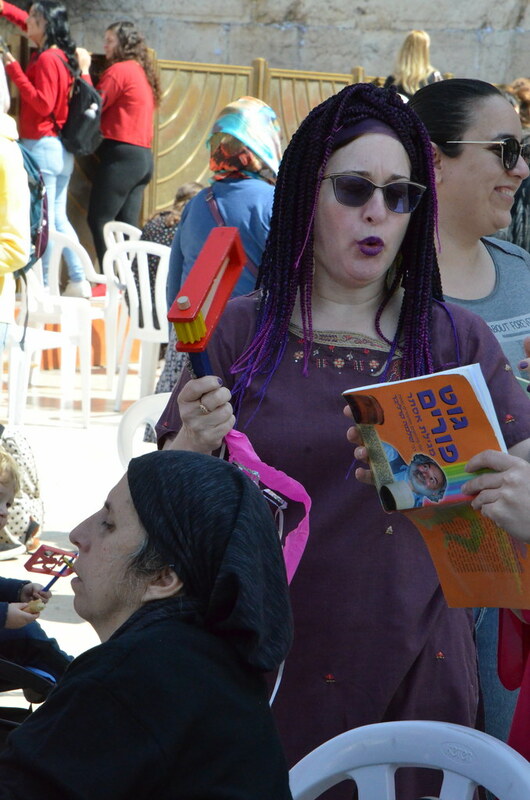 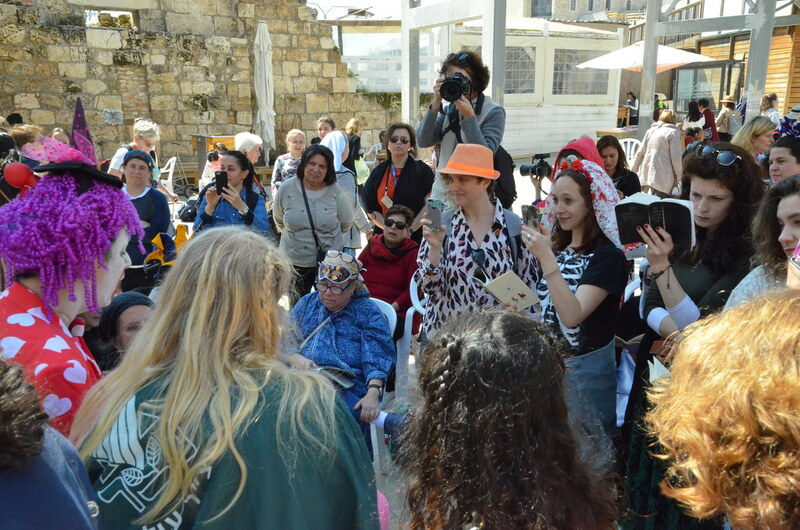 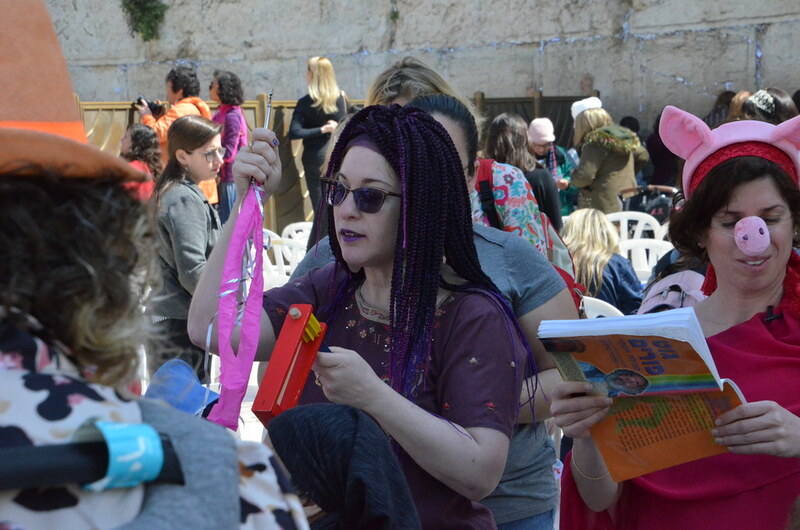 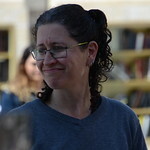 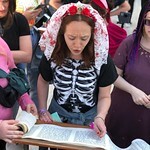 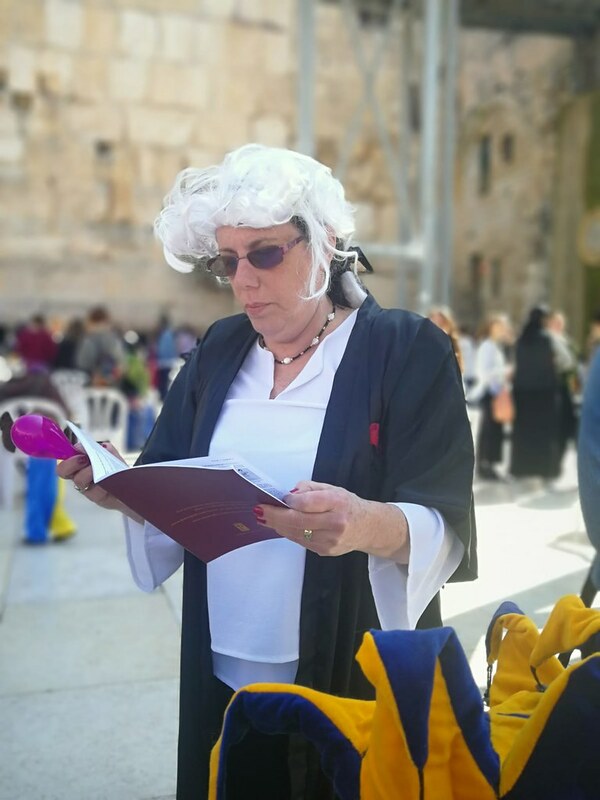 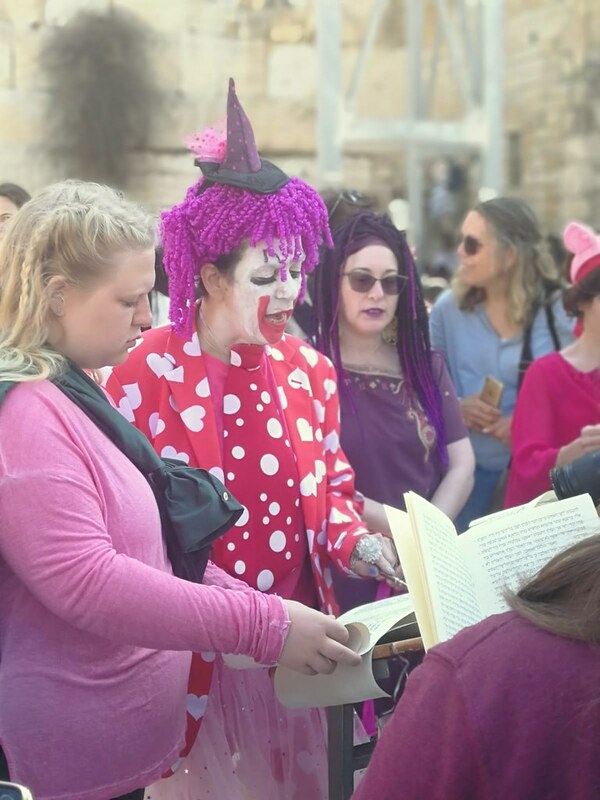 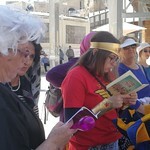 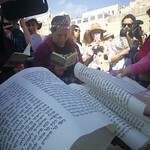 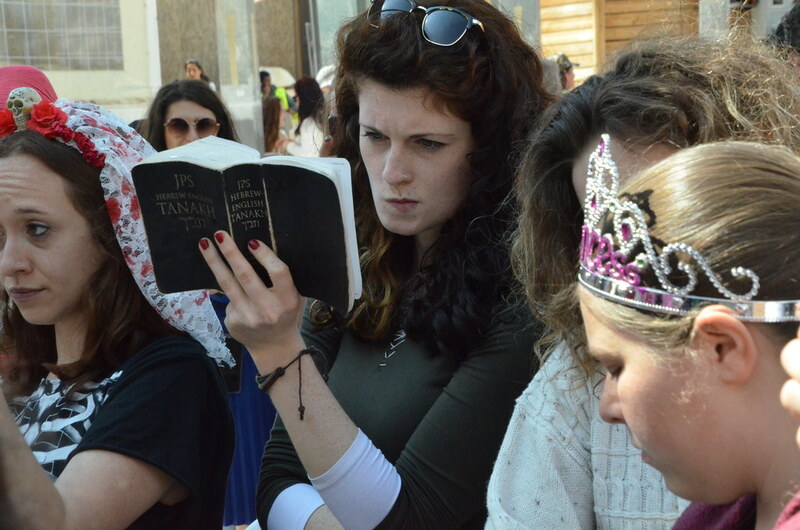 Women’s prayer groups, like Women of the Women, that wish to read Torah will have full access to Torah scrolls and a space set aside from mixed prayer to do so at the Kotel. 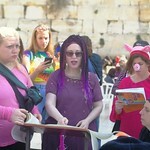 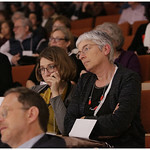 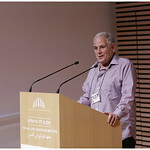 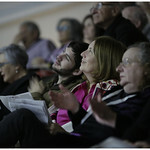 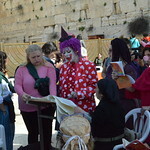 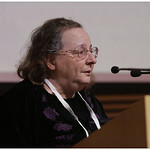 The new section will be managed not by ultra-Orthodox hegemony but by a council of representatives who are committed to pluralism and inclusion in Jewish ritual life: the Jewish Agency, the Jewish Federations of North America, the Reform Movement, the Conservative/Masorti Movements and Women of the Wall. 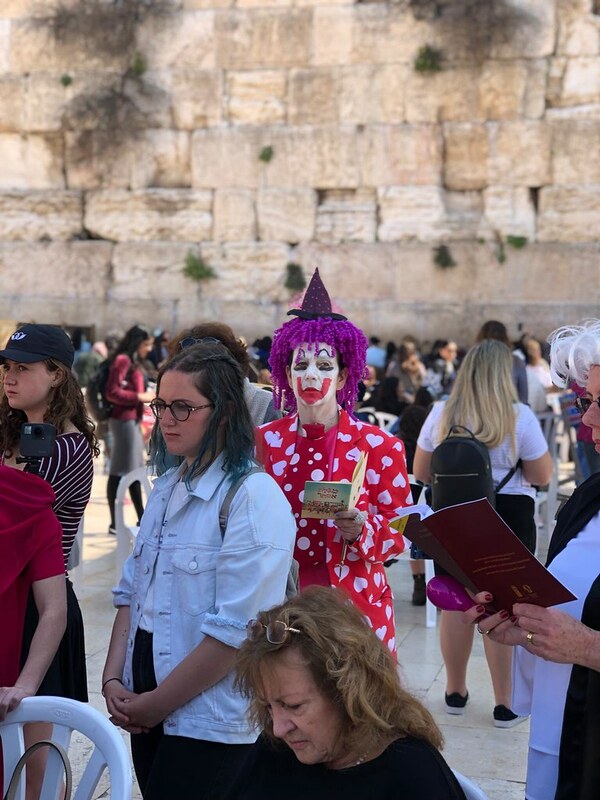 Once built, the new section will welcome school groups, birthright trips, ceremonies, mass prayers and visiting dignitaries regularly and with open arms. 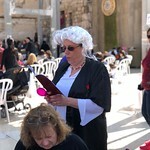 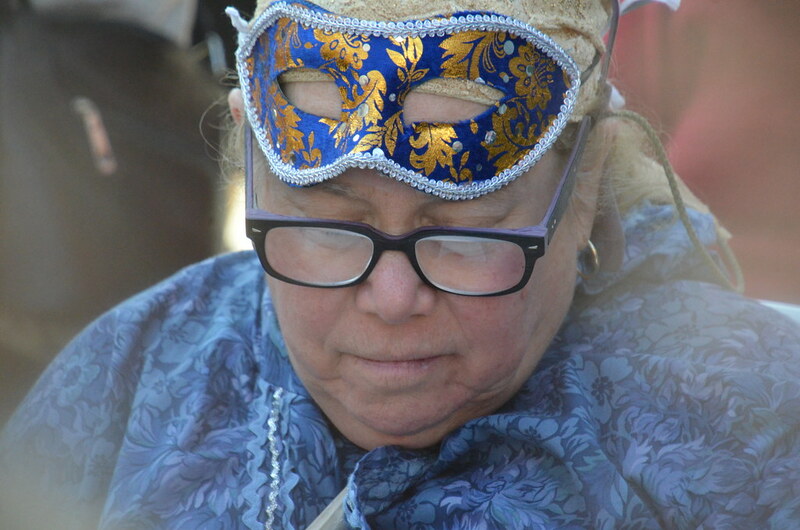 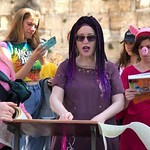 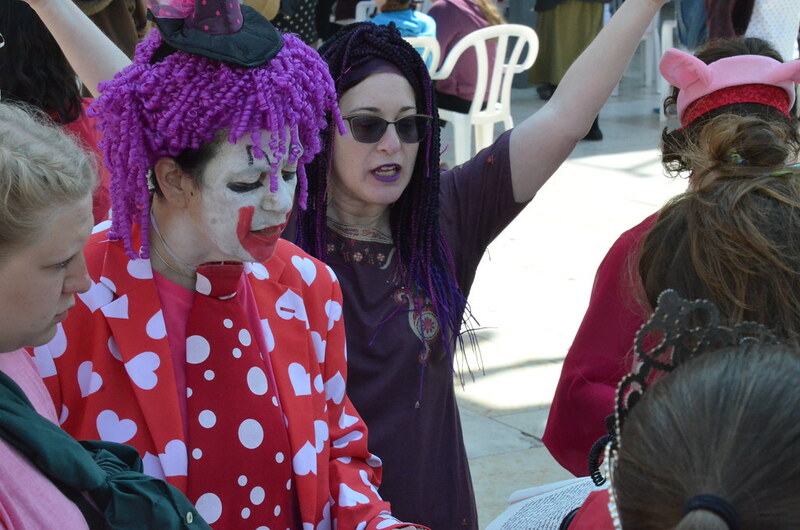 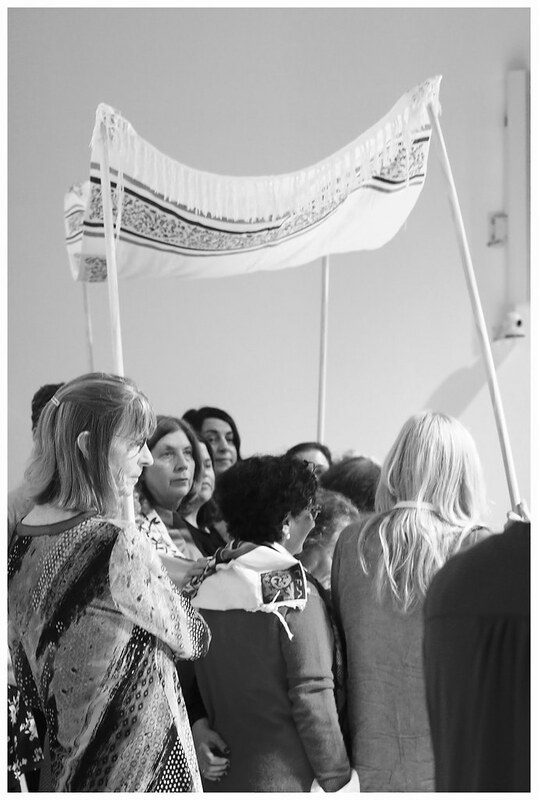 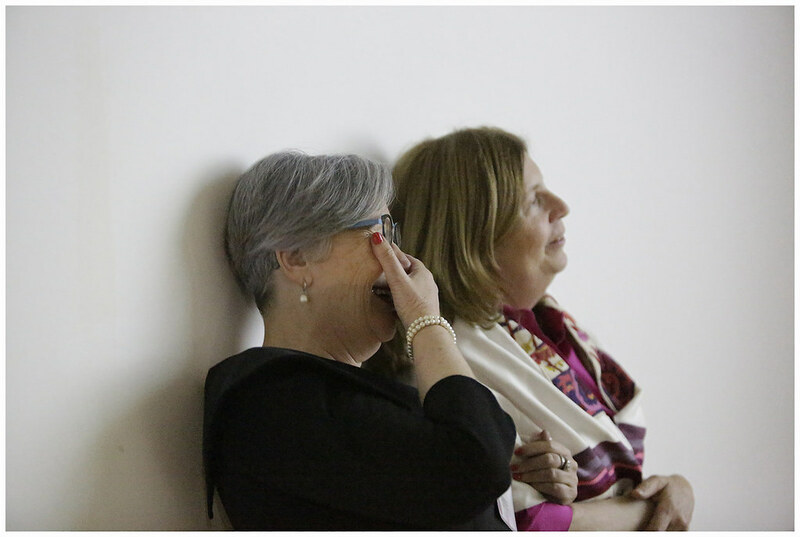 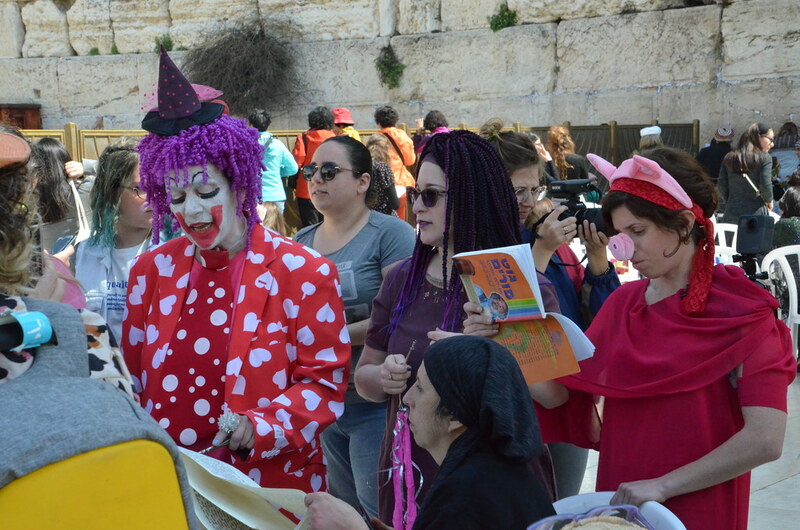 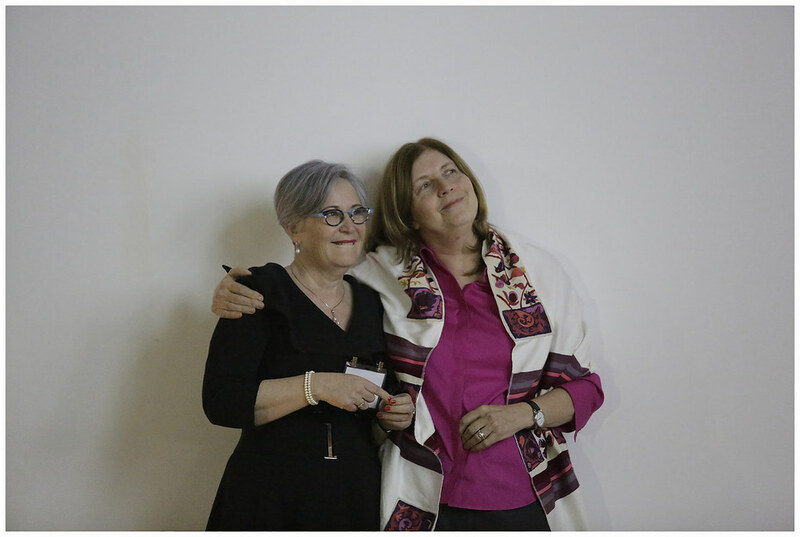 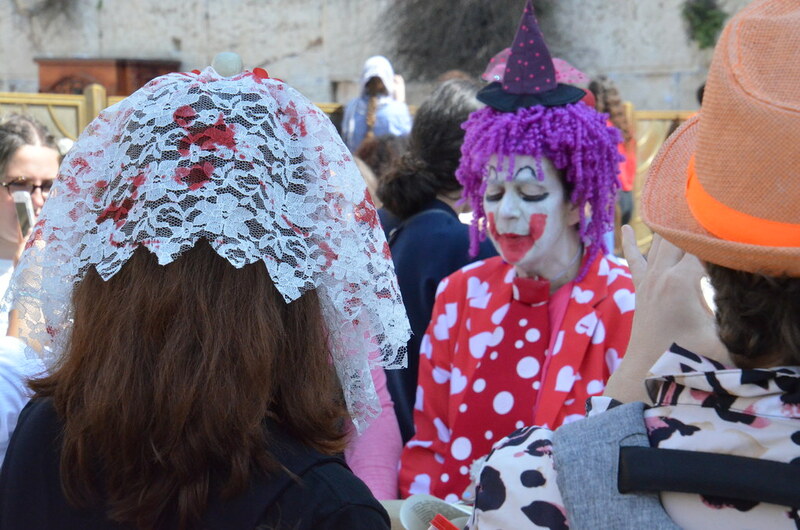 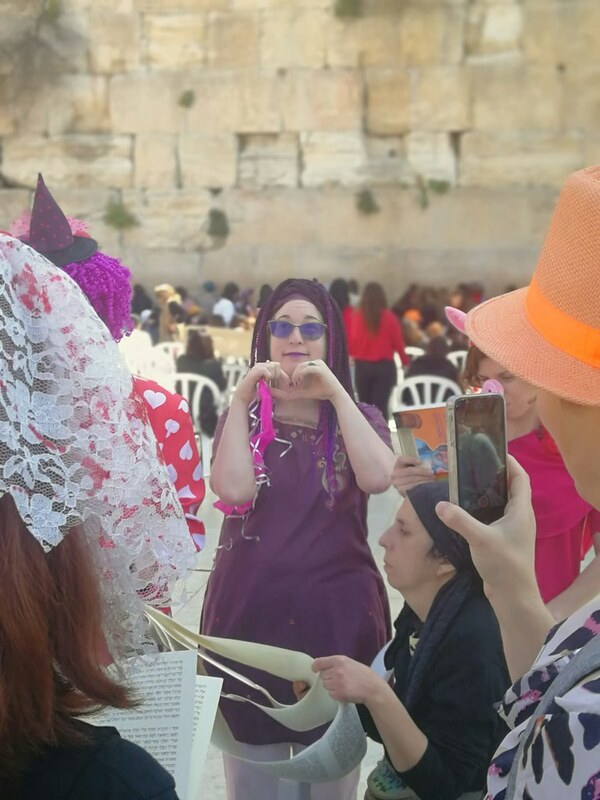 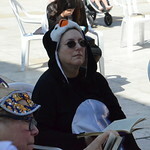 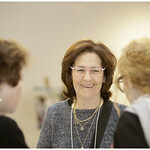 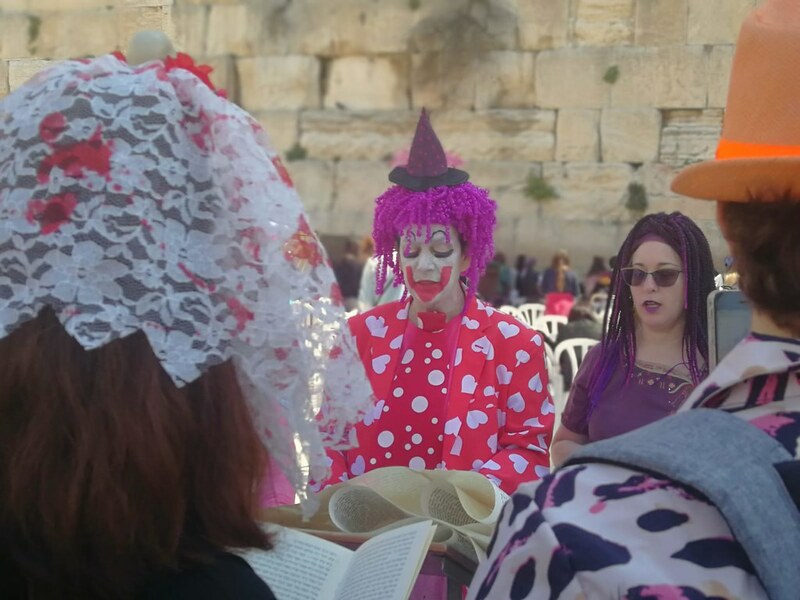 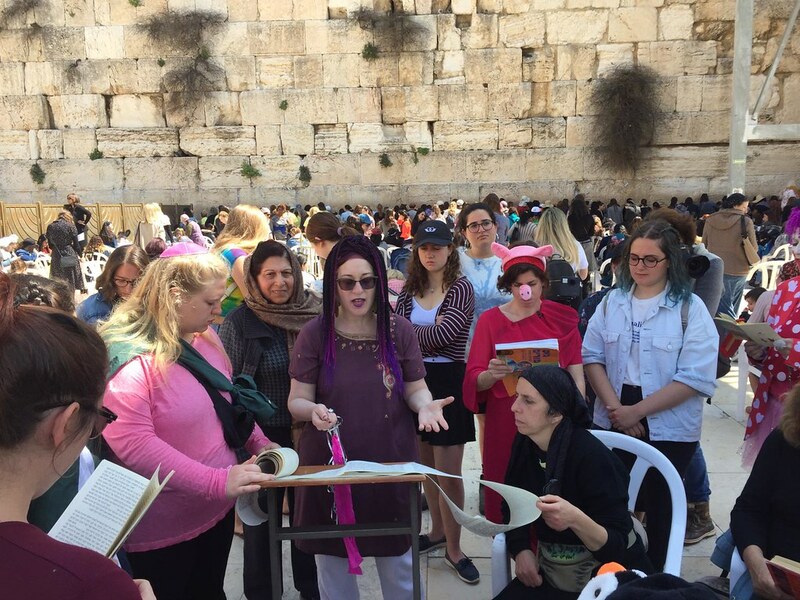 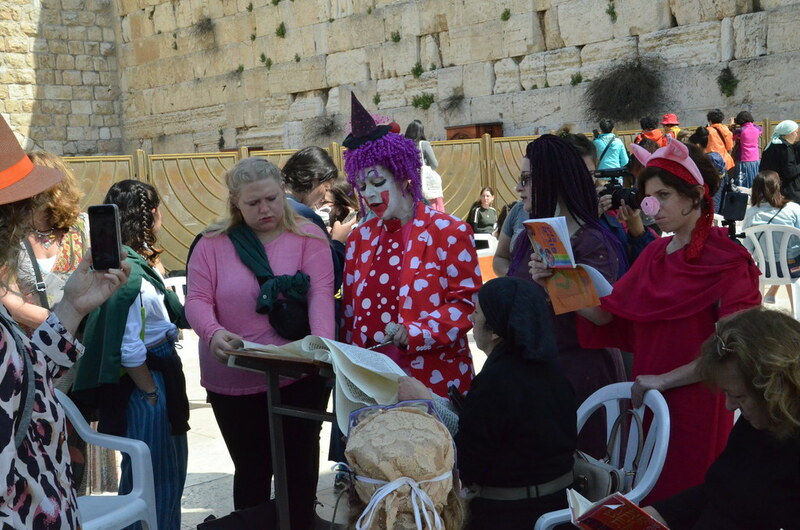 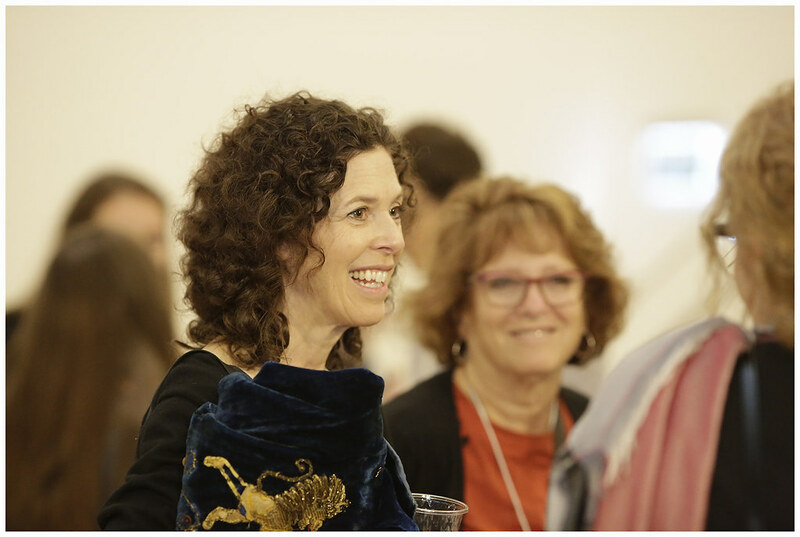 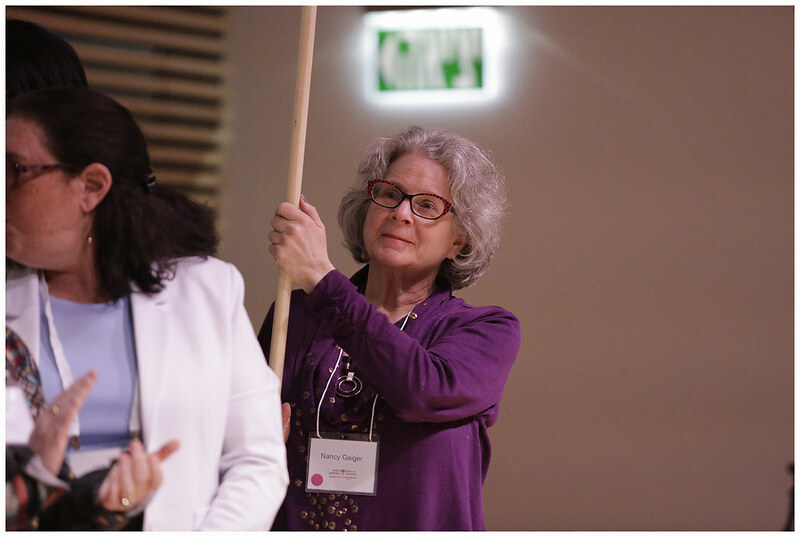 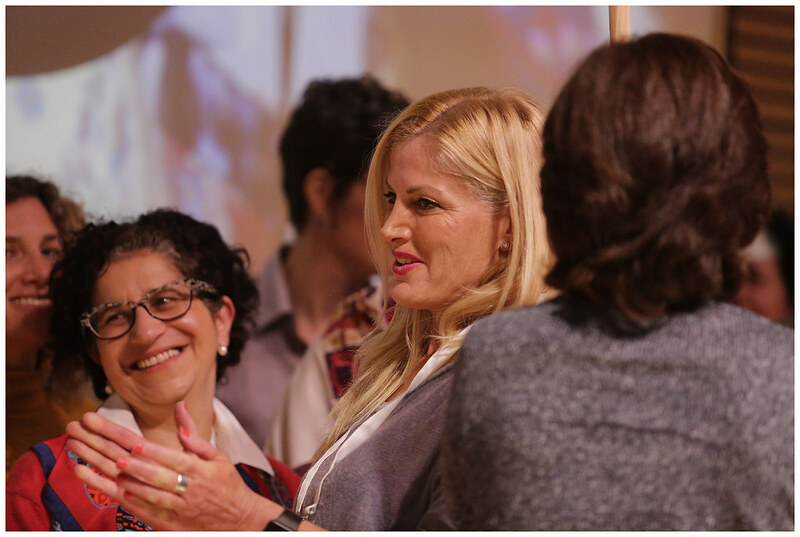 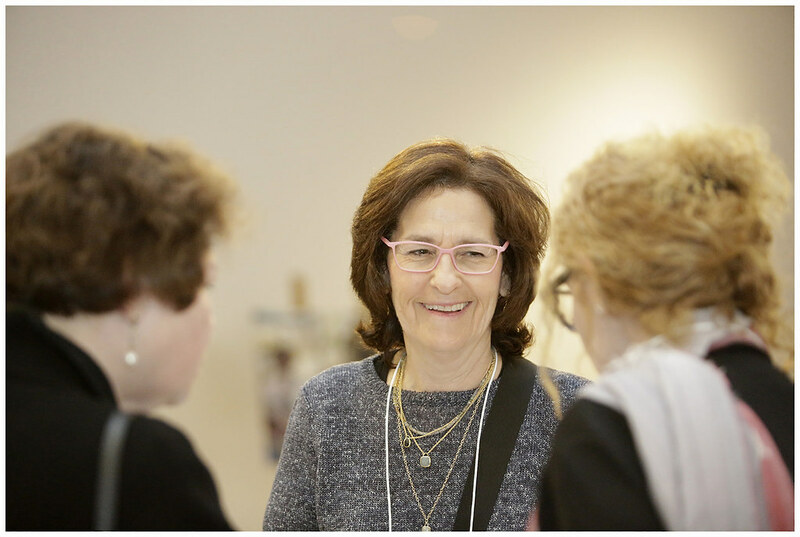 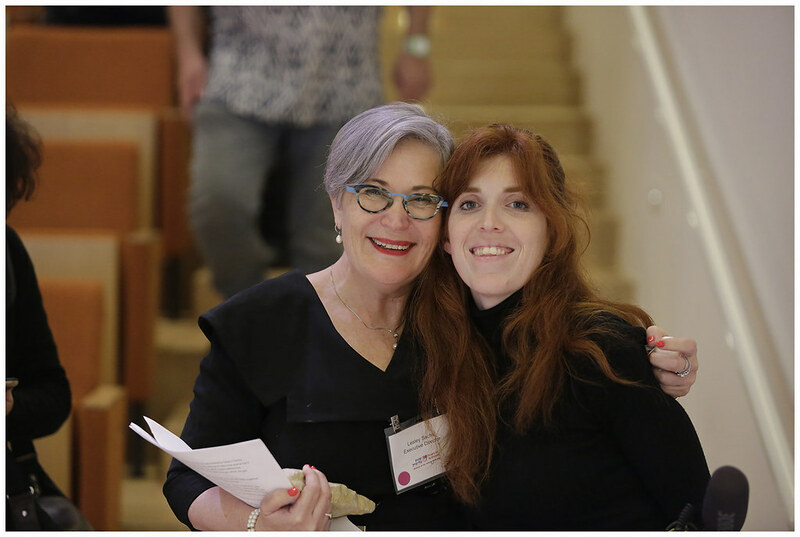 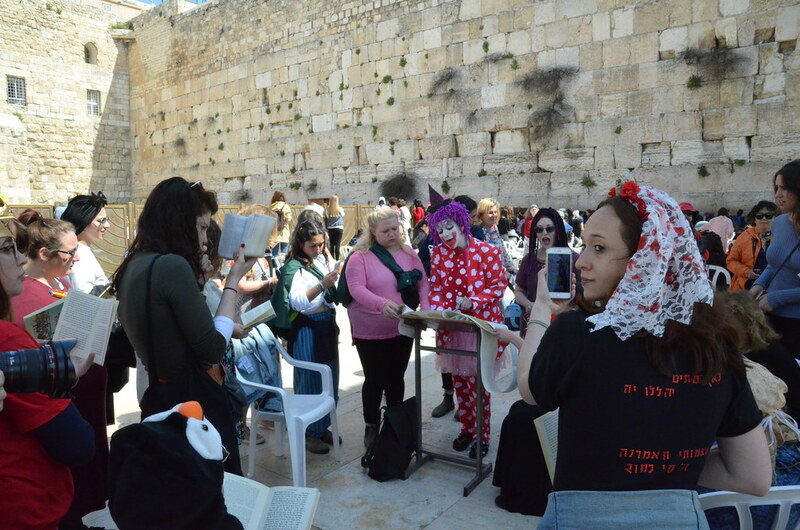 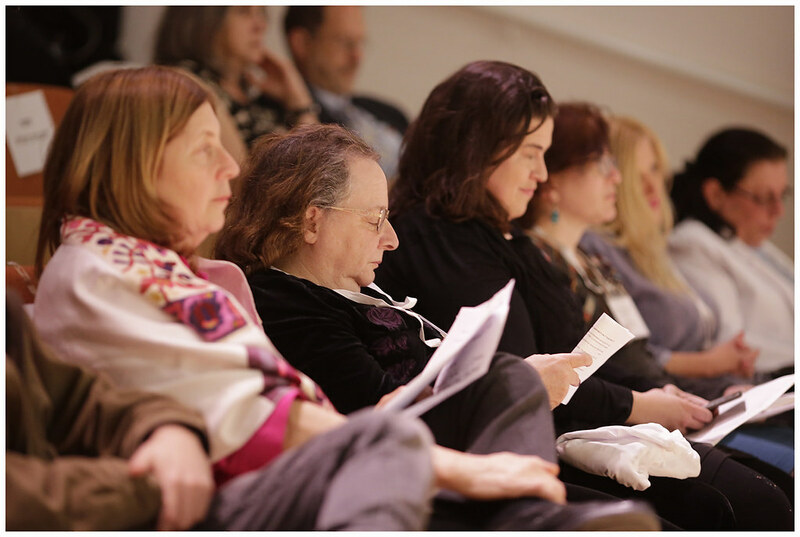 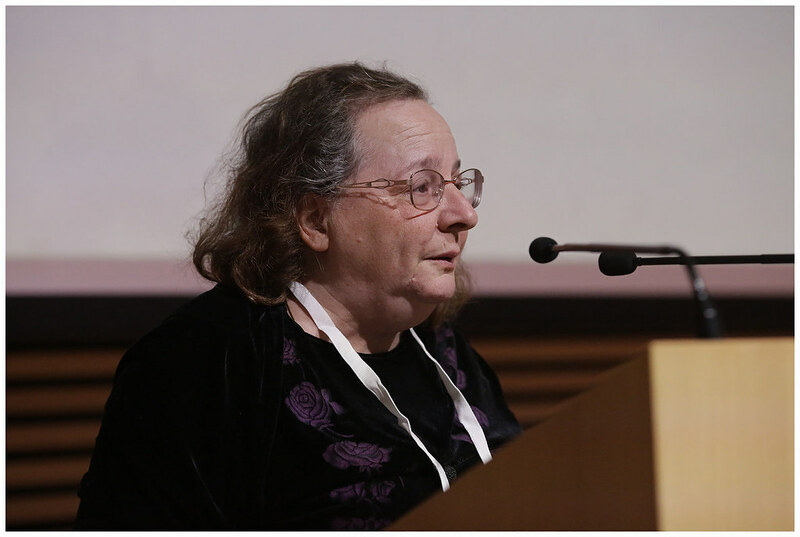 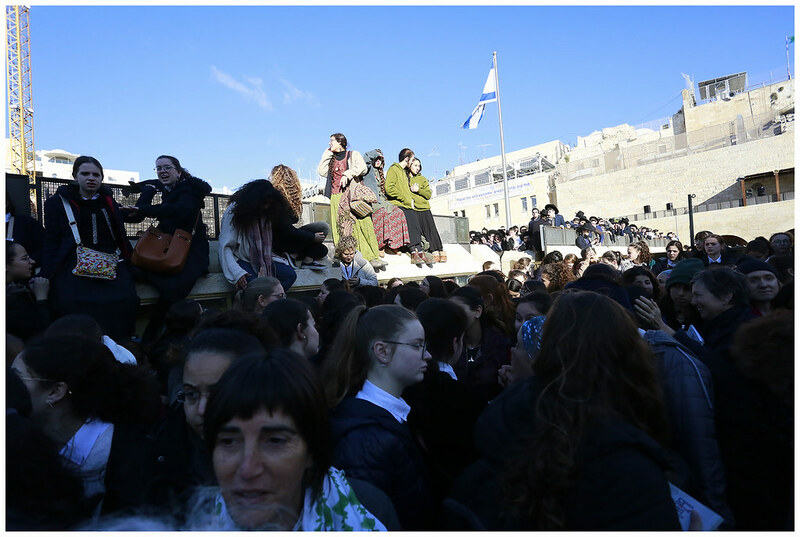 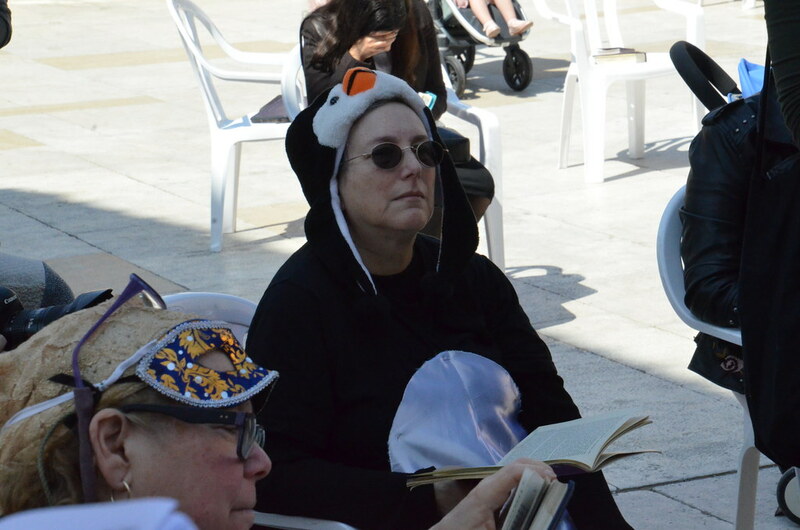 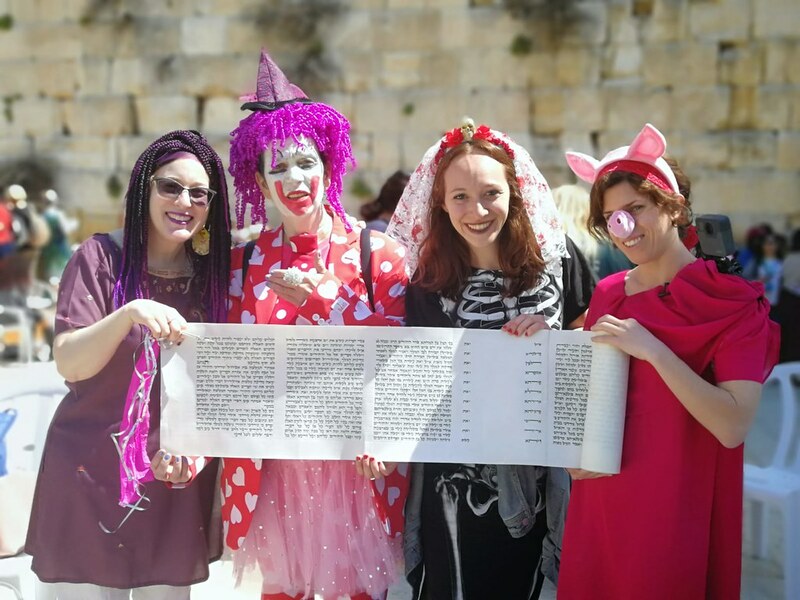 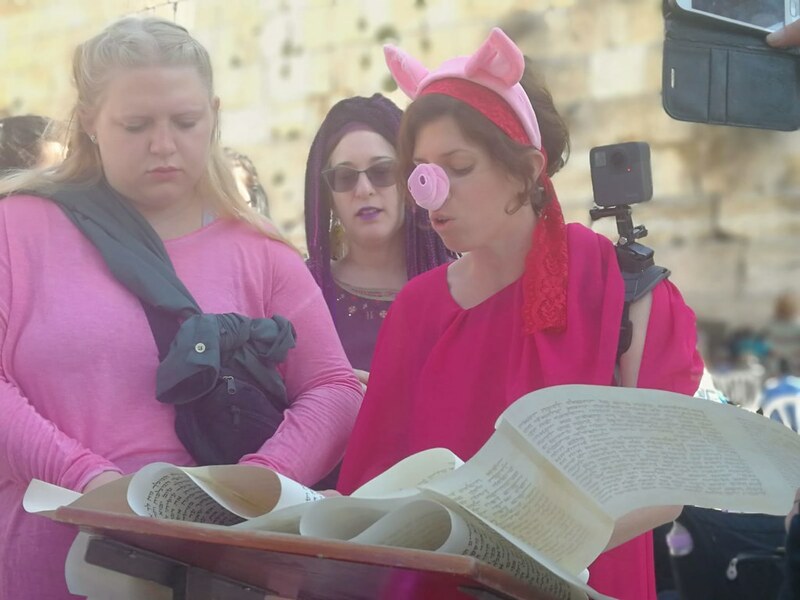 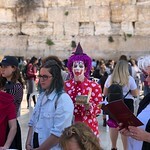 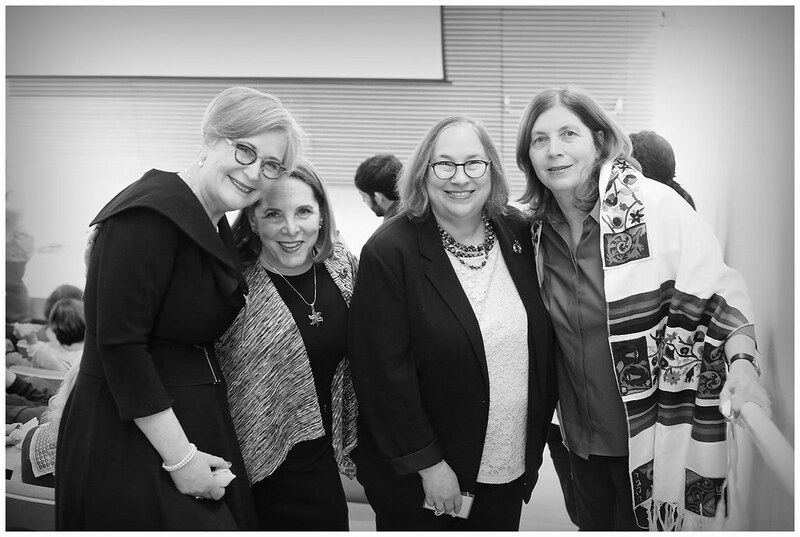 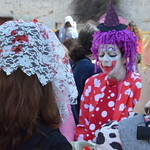 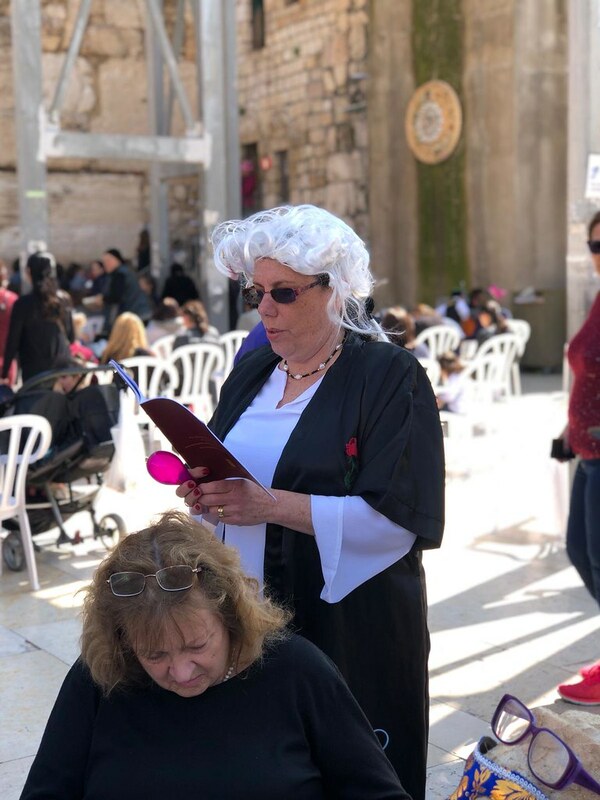 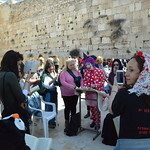 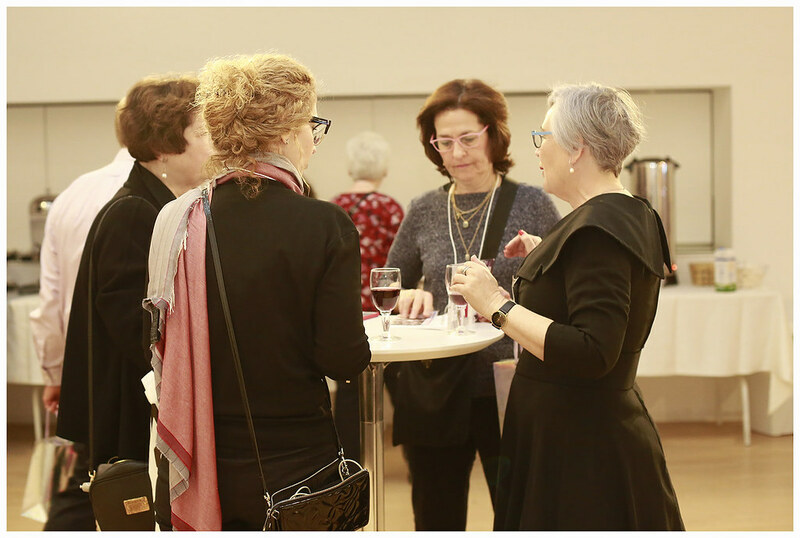 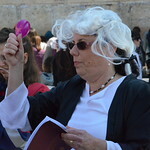 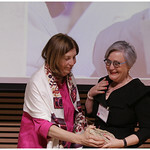 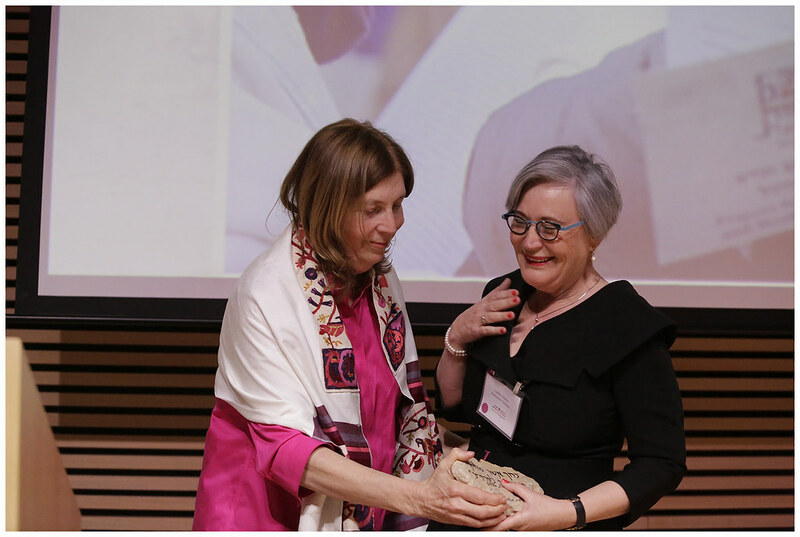 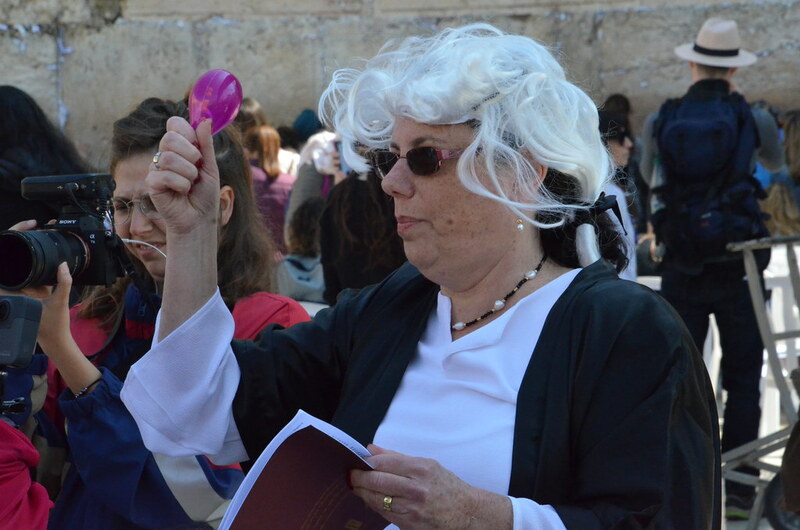 Until Women of the Wall move to the new section of the Kotel, the women’s prayer group will continue to pray according to their traditions in the women’s section as part of the “local custom,” as defined in the 2013 District Court Decision by Judge Sobell. 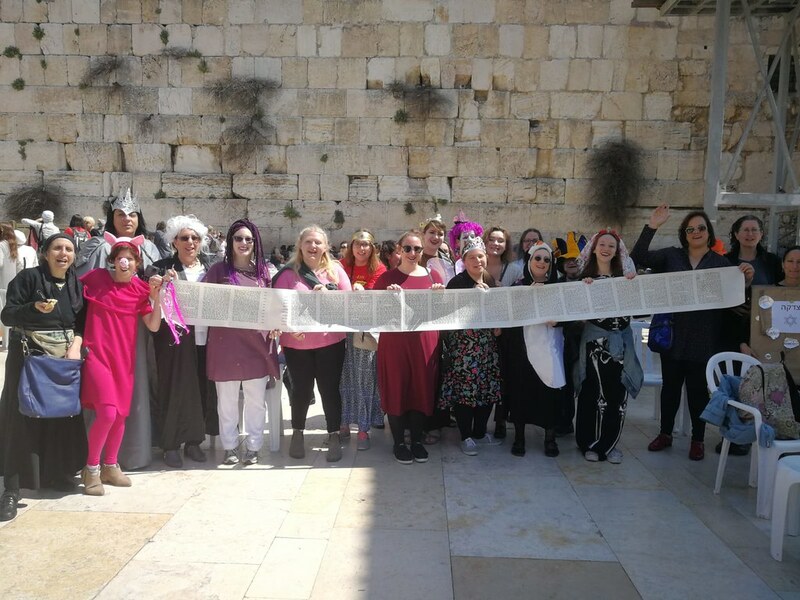 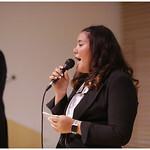 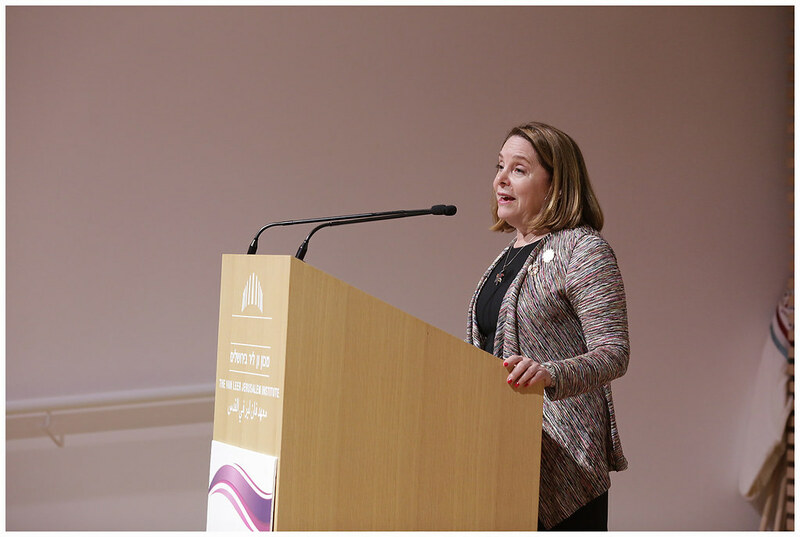 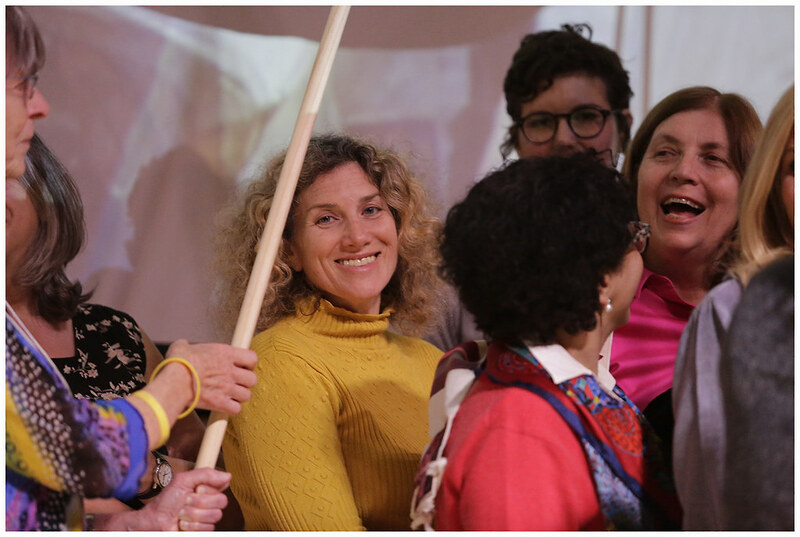 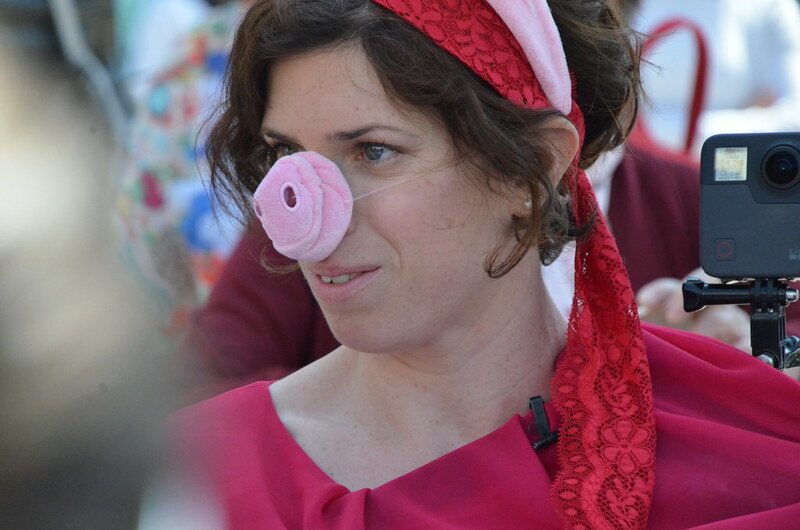 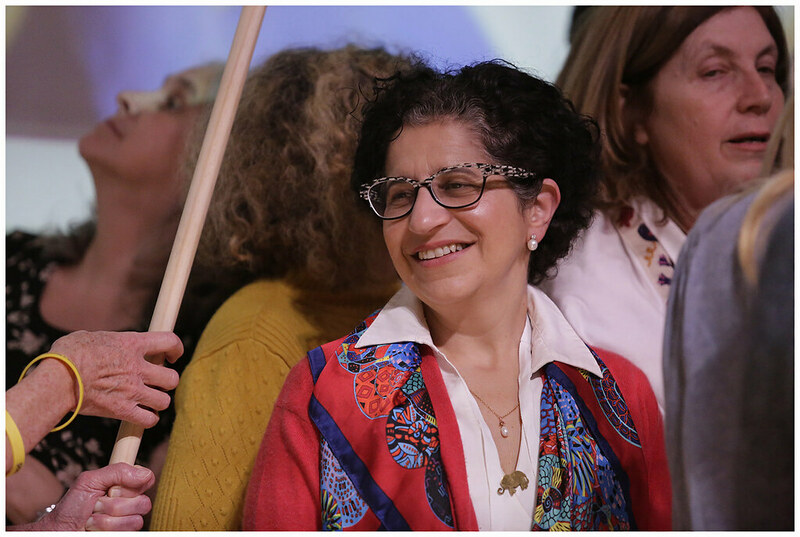 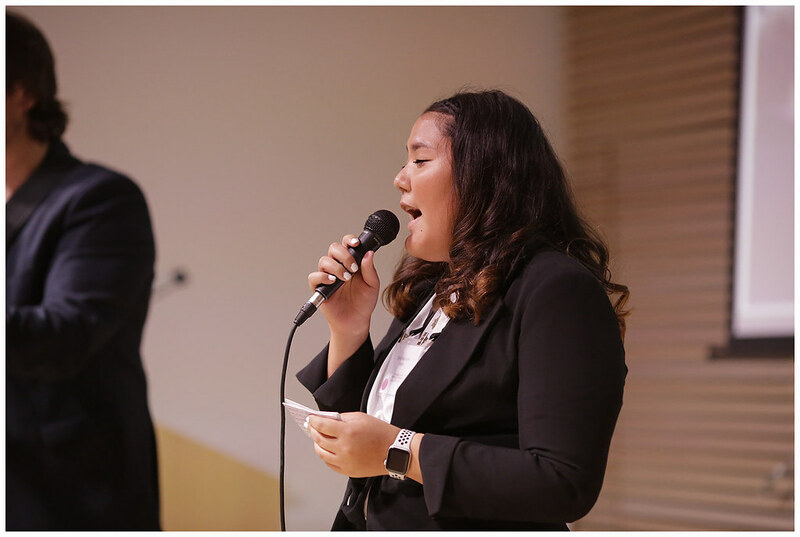 Until Women of the Wall’s executive board is satisfied with the full (not partial) implementation of this agreement, the group will continue to pray in the women’s section and to struggle for full rights there. 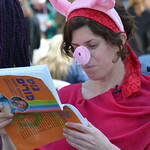 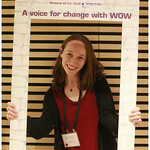 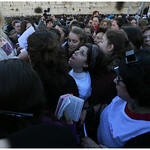 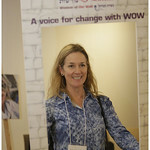 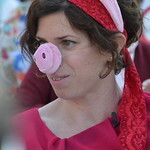 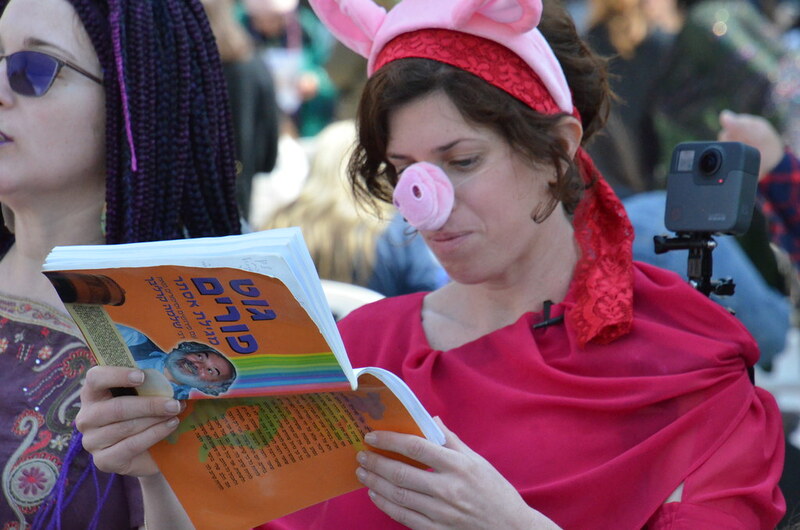 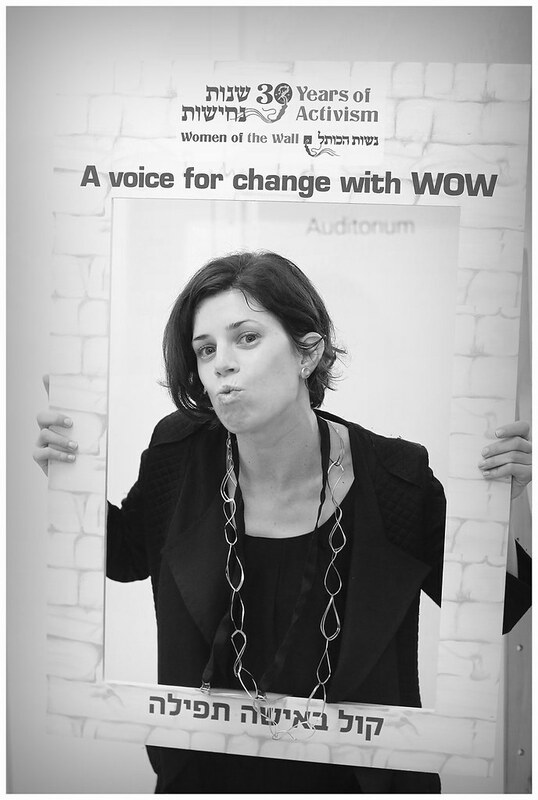 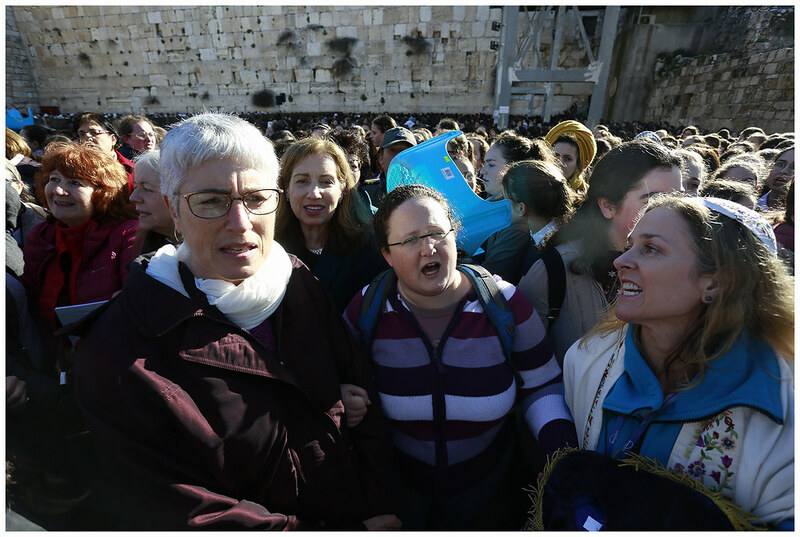 Women of the Wall will not stop fighting for women’s free access to the Torah. 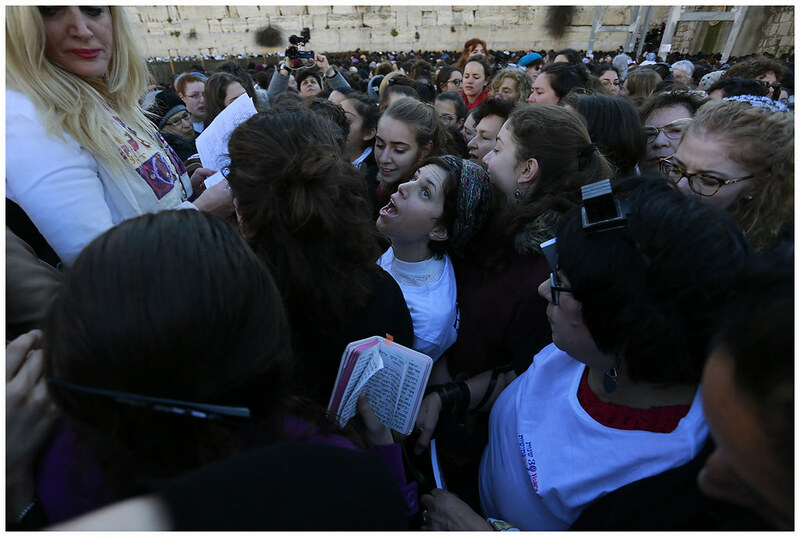 Until a pluralist third section is available and suitable for such prayer, Women of the Wall’s place remains in the women’s section. 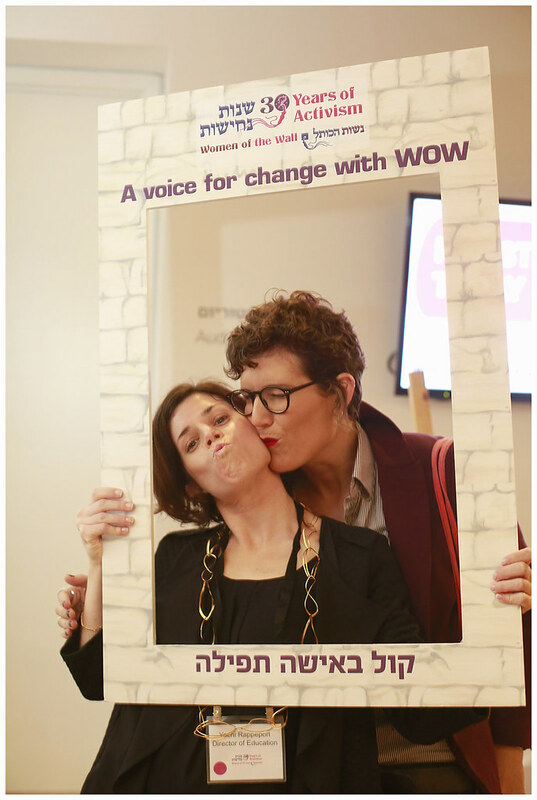 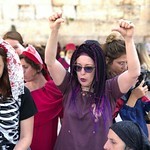 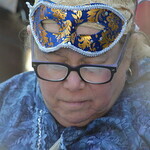 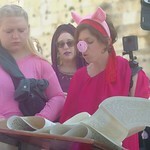 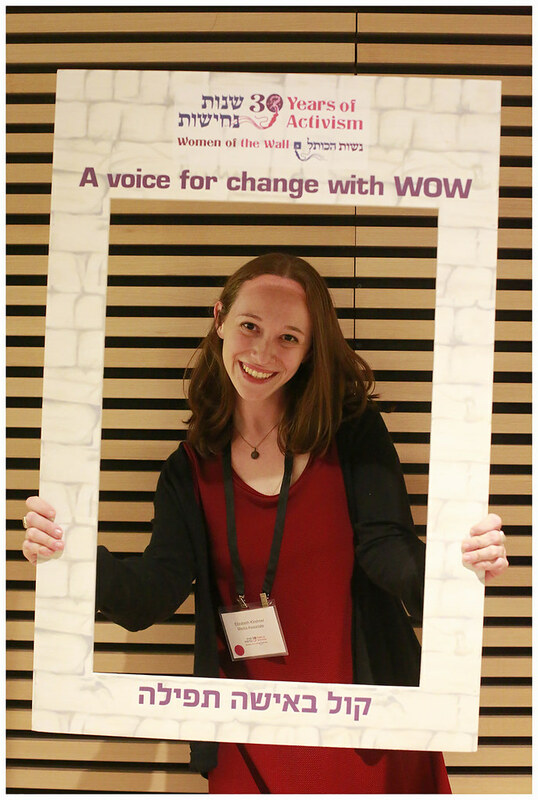 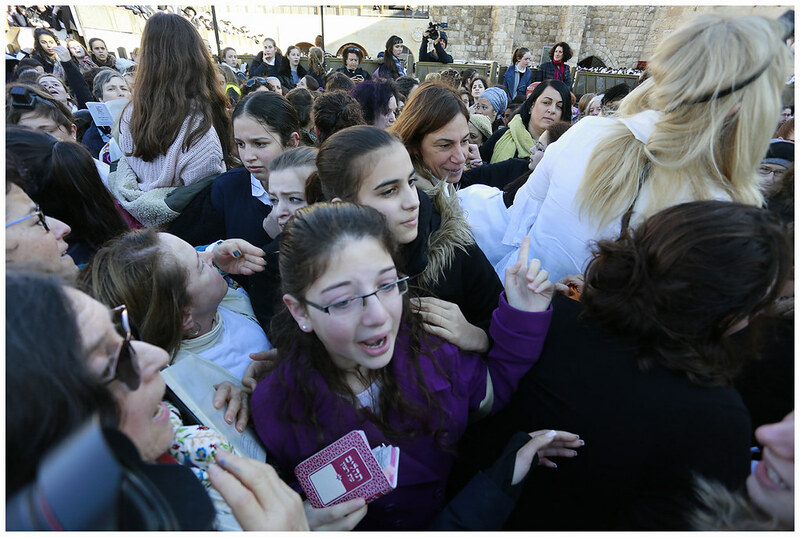 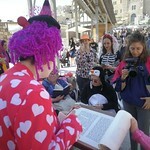 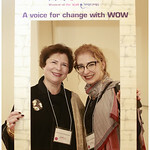 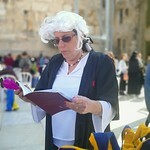 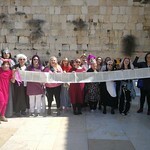 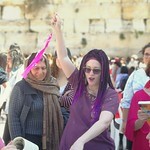 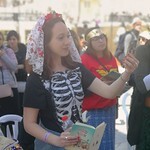 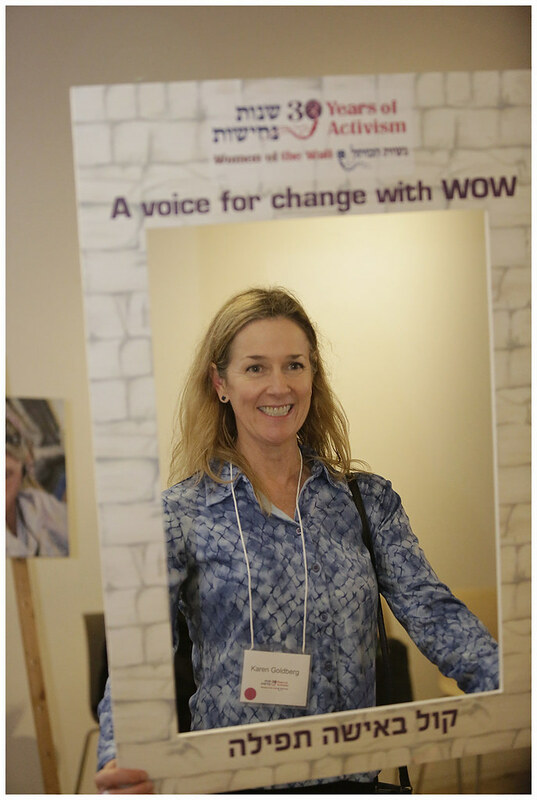 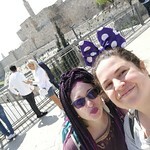 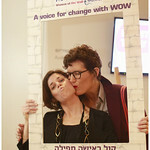 Women of the Wall’s goal has always been women’s freedom and empowerment in prayer at the Kotel. 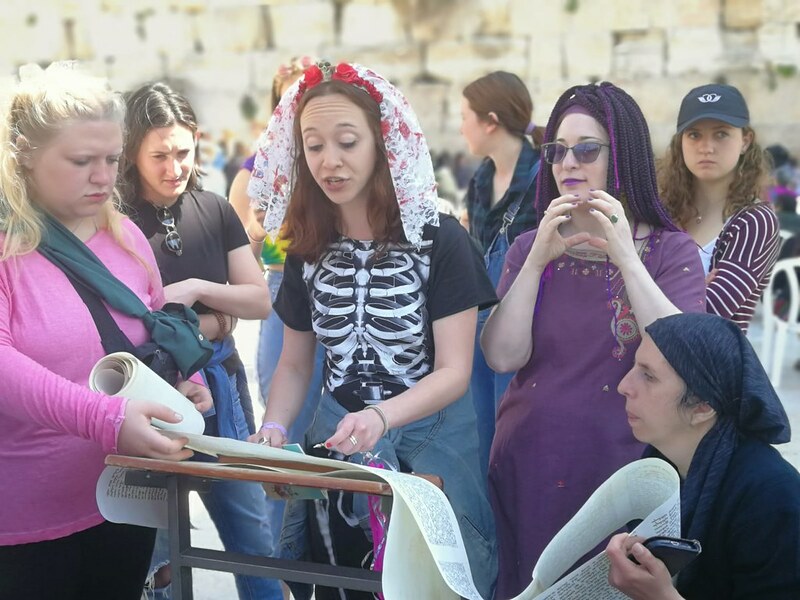 Now, all Kotel visitors will see a range of choices in front of them: the ultra-Orthodox prayer sections as well as a spacious, open, welcoming pluralist prayer section for families and groups of all kinds. 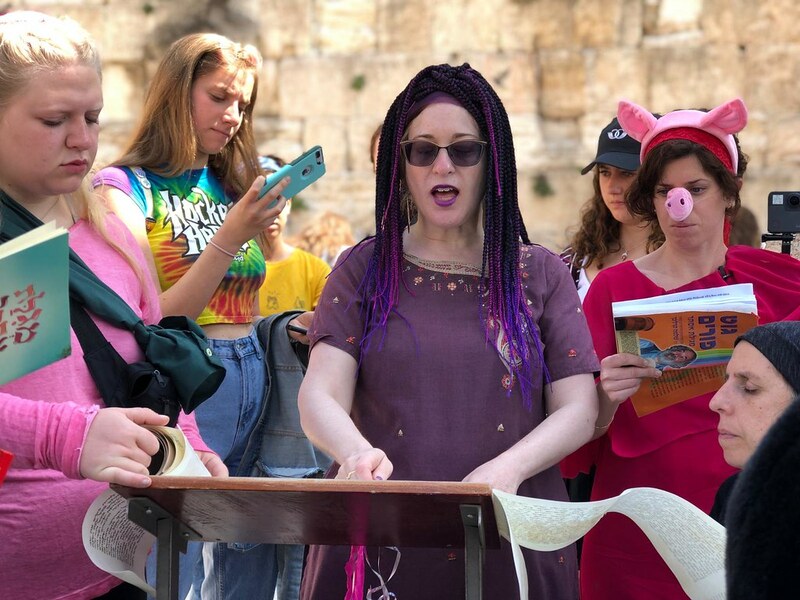 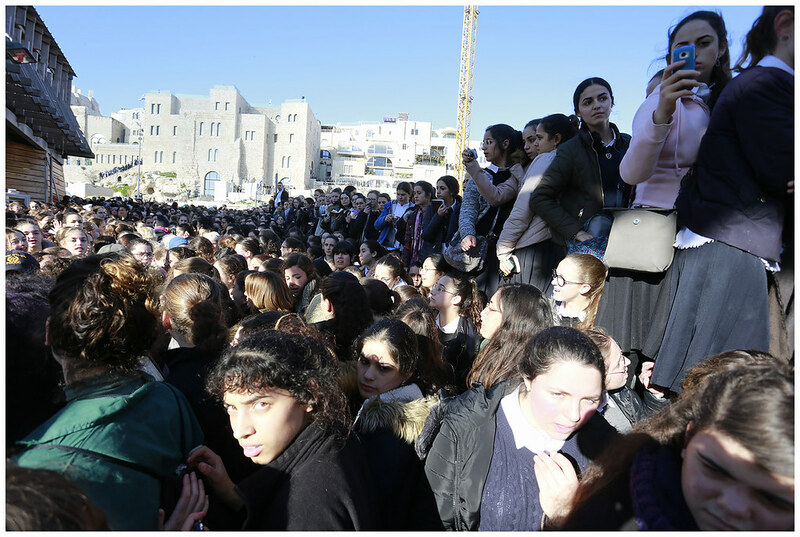 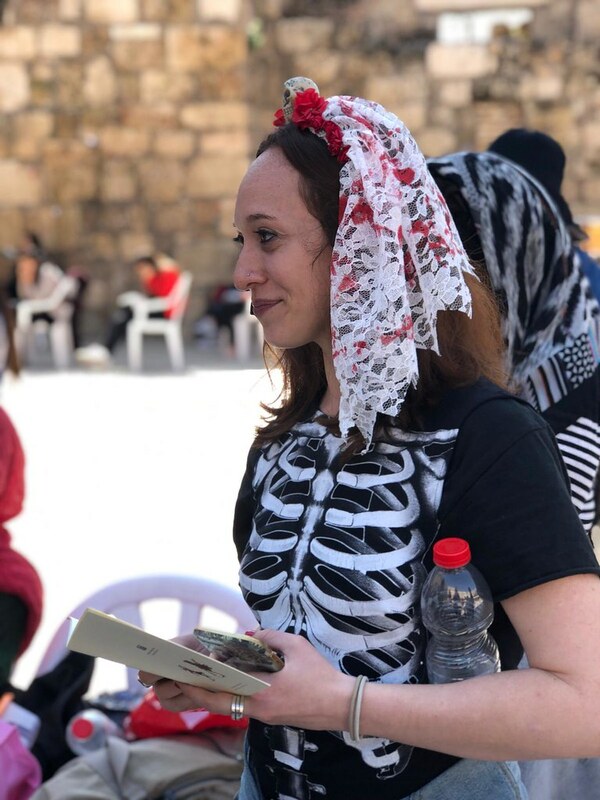 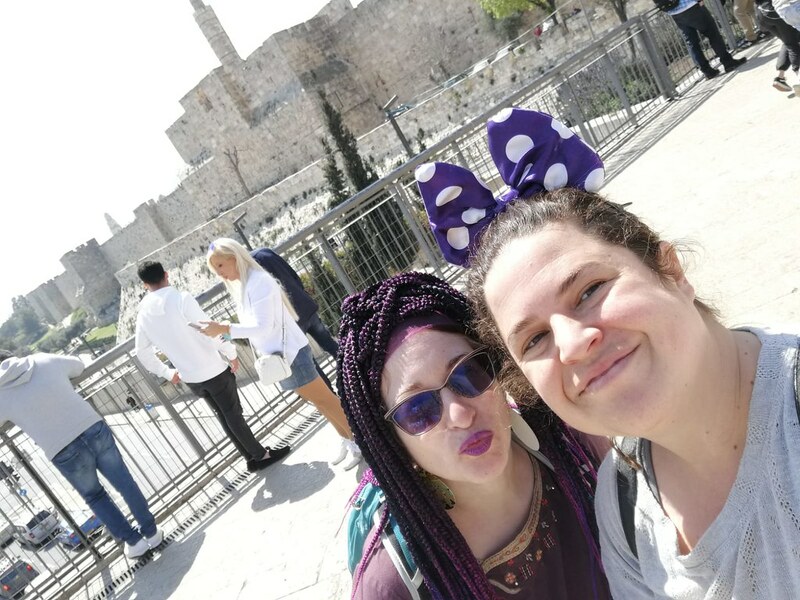 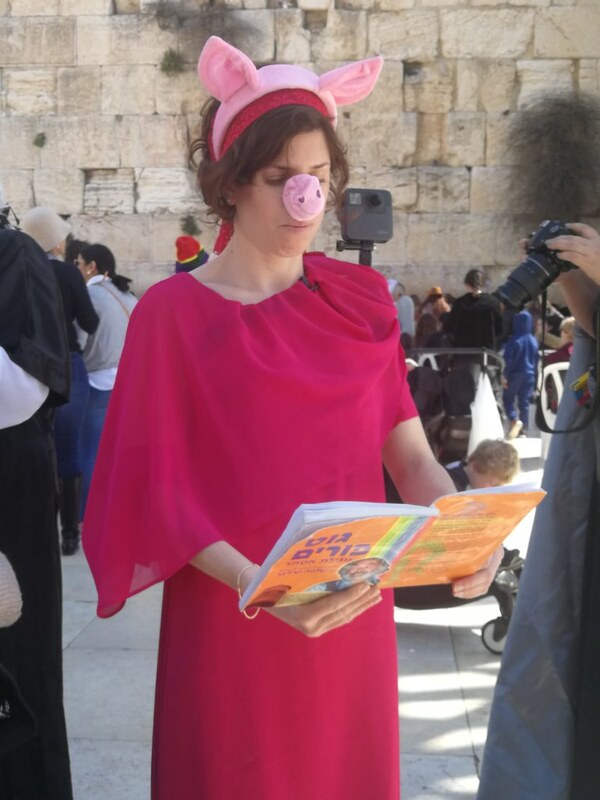 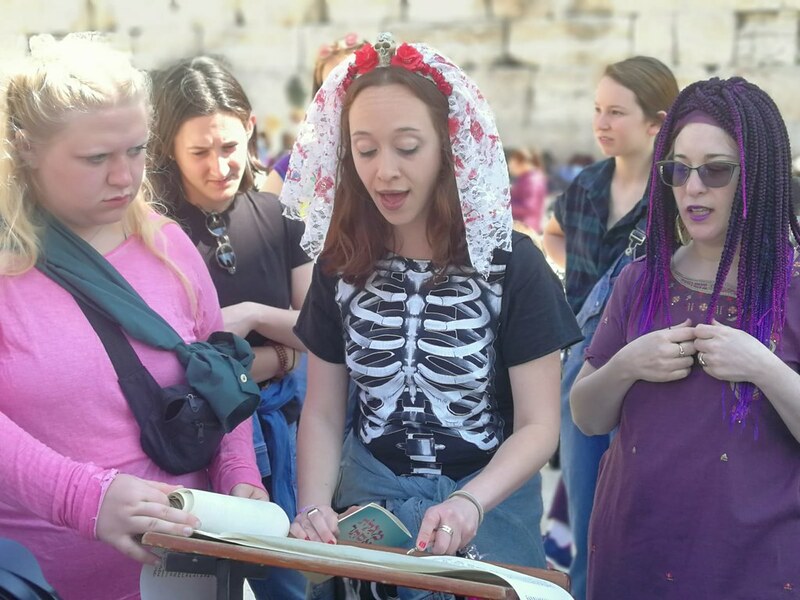 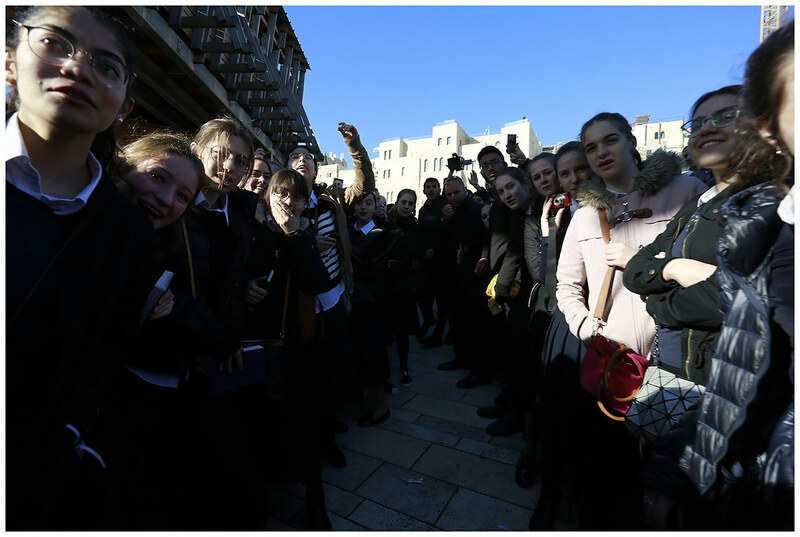 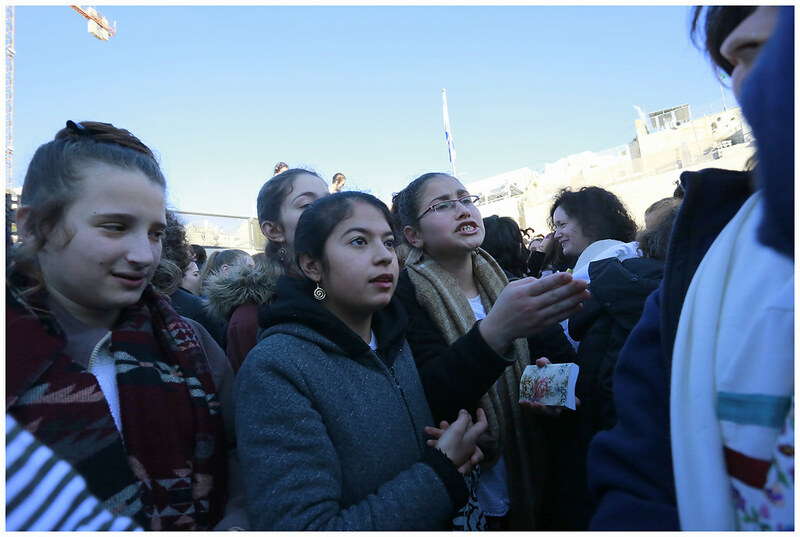 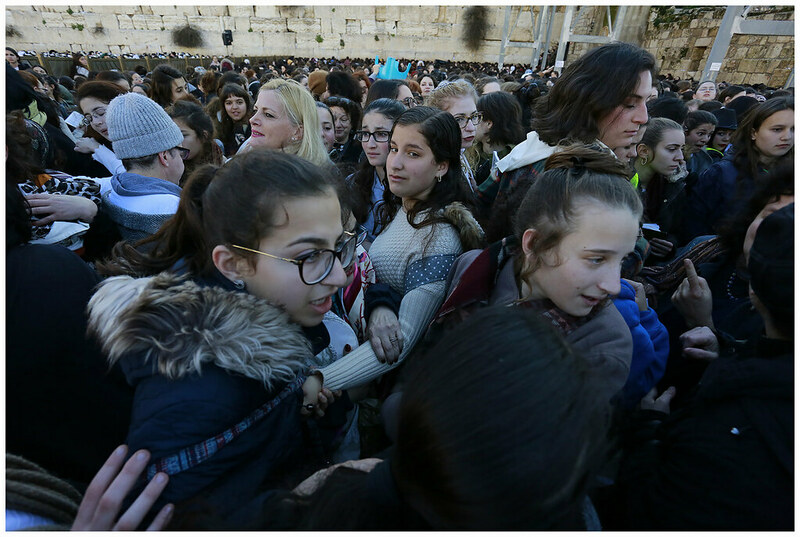 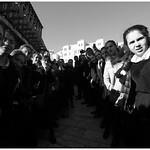 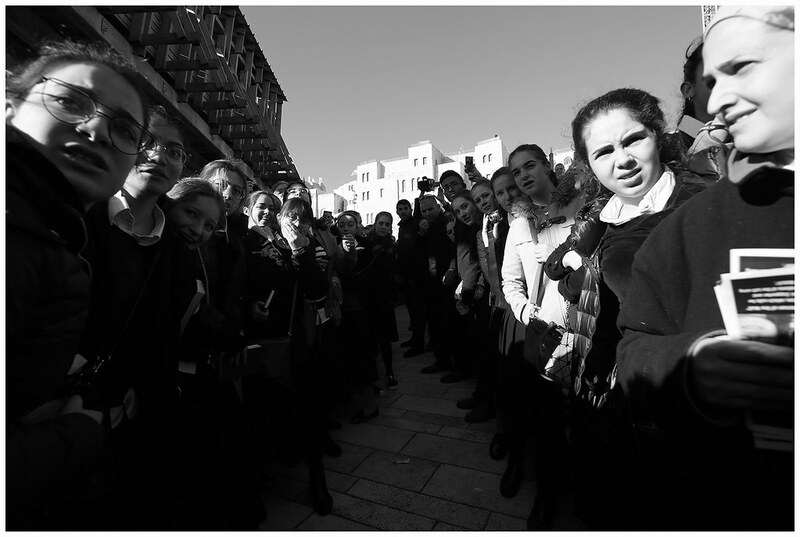 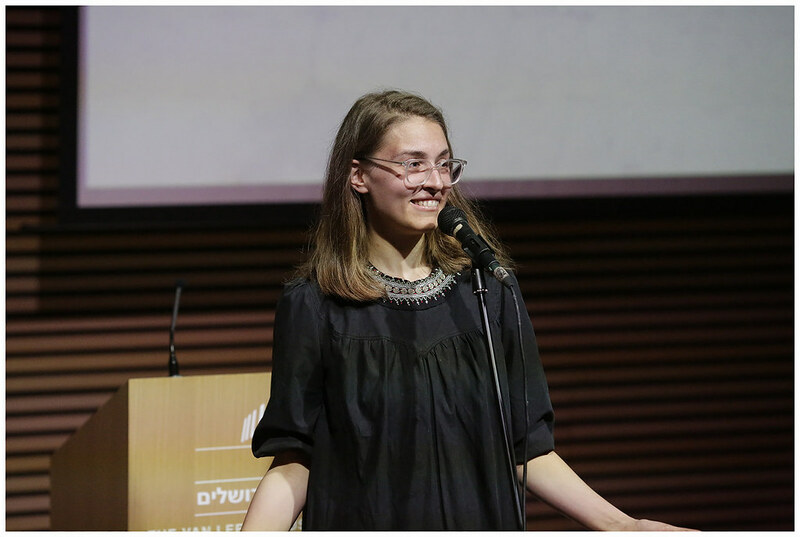 School children who visit the Kotel on mandatory educational trips will see all of the Jewish possibilities before them and most importantly, Israeli girls will see that women need not be excluded, marginalized and silenced by Judaism. 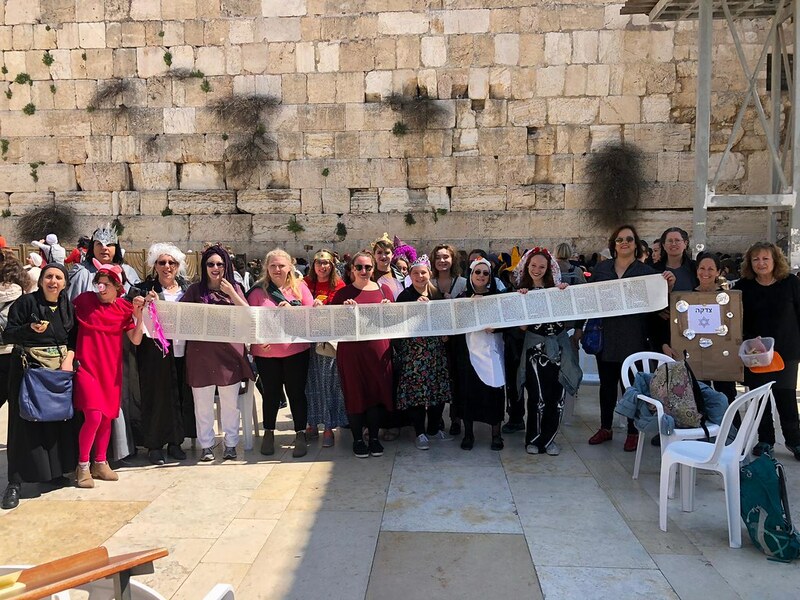 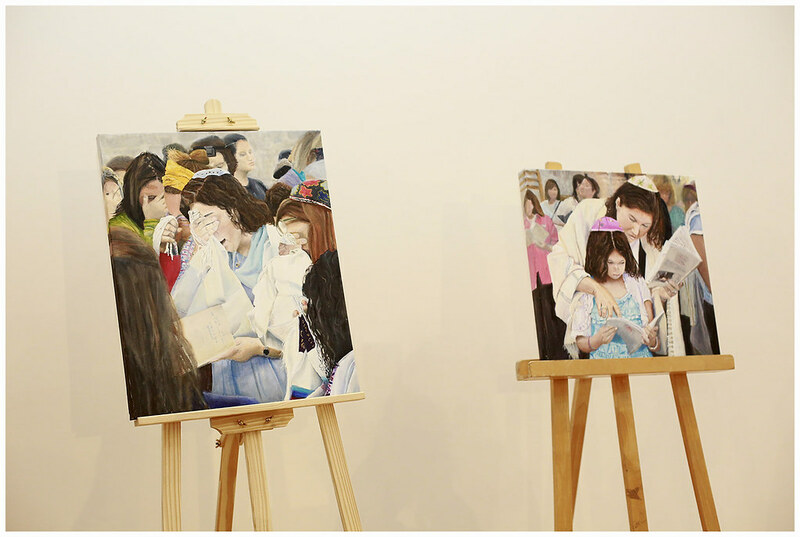 Families who wish to celebrate Jewish life cycle events no longer have to sneak in a Torah for women, stand on plastic chairs to catch a glimpse of their bar mitzvah (currently there is no current option of an official bat mitzvah ceremony at the Kotel), or face harassment. 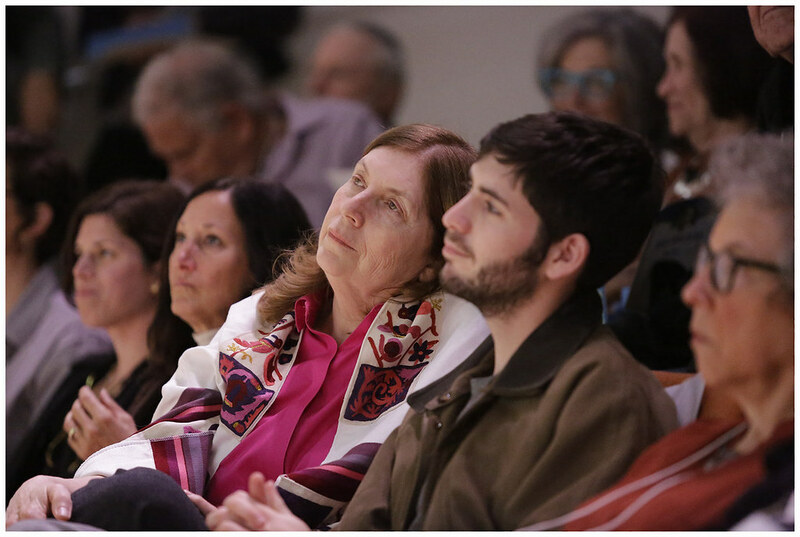 It is our belief that once it is completed, all visitors, worshippers, soldiers, immigrants, families, groups and individuals of all kinds will all find their place in the new section. 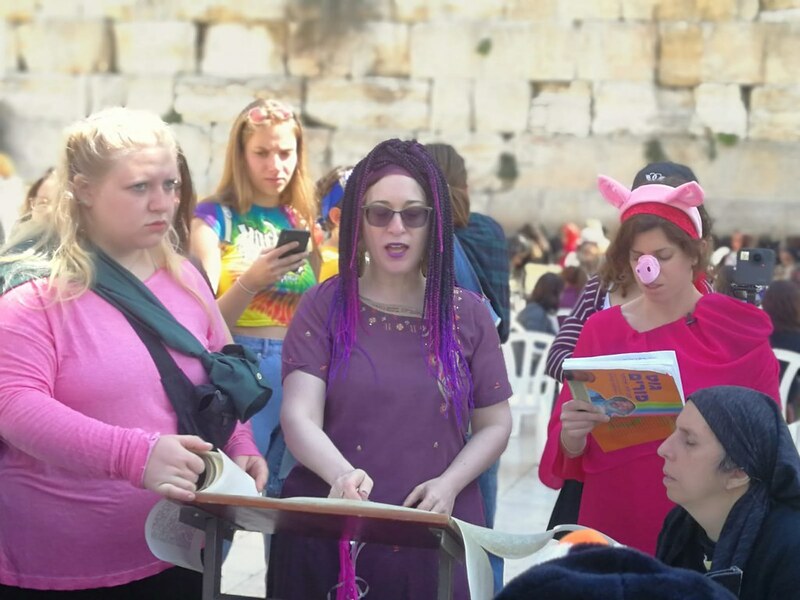 It stands to reason that a public prayer space at the Kotel created with great care to reflect the diverse identities of the Jewish people will attract just that- am yisrael. 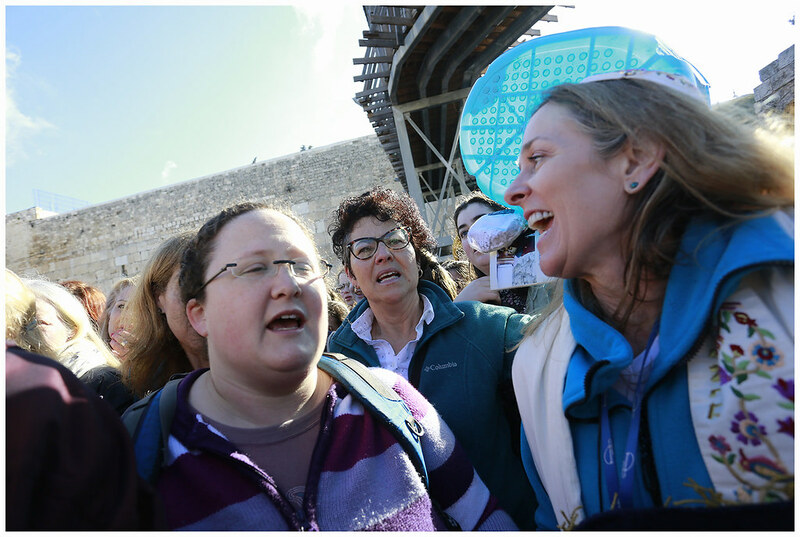 These negotiations and this agreement which, if implemented, will change the way Jews experience the holiest place in Israel for future generations, would never have come to be were it not for the dedicated, determined struggle, feminist activism and prayer of Women of the Wall for over 27 years. 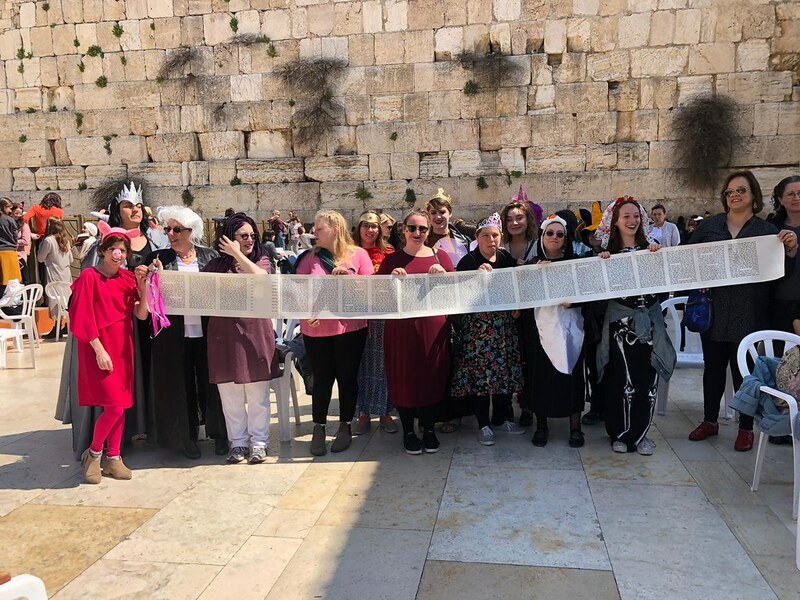 The real heroes will be the women and men who came to the Kotel with Women of the Wall each month and those who stood in solidarity with us all over the world. 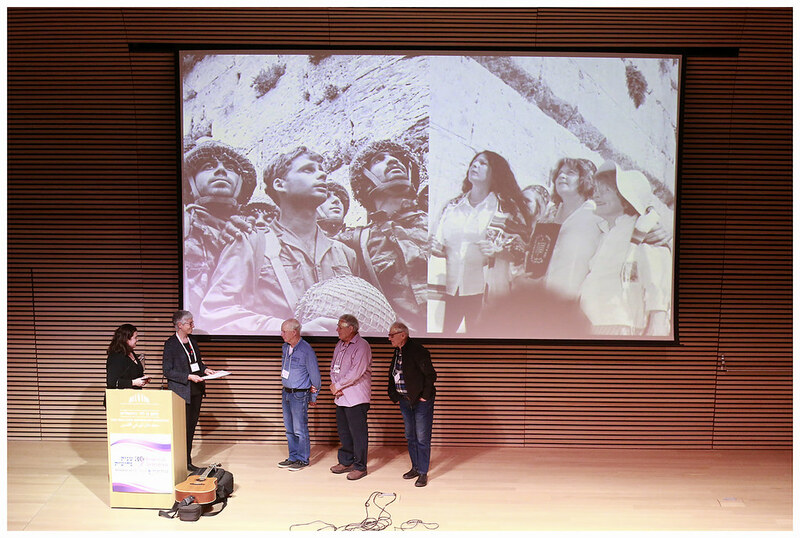 It was their influence and their determination that forced the government of Israel to negotiate a solution that dignifies all Jews.